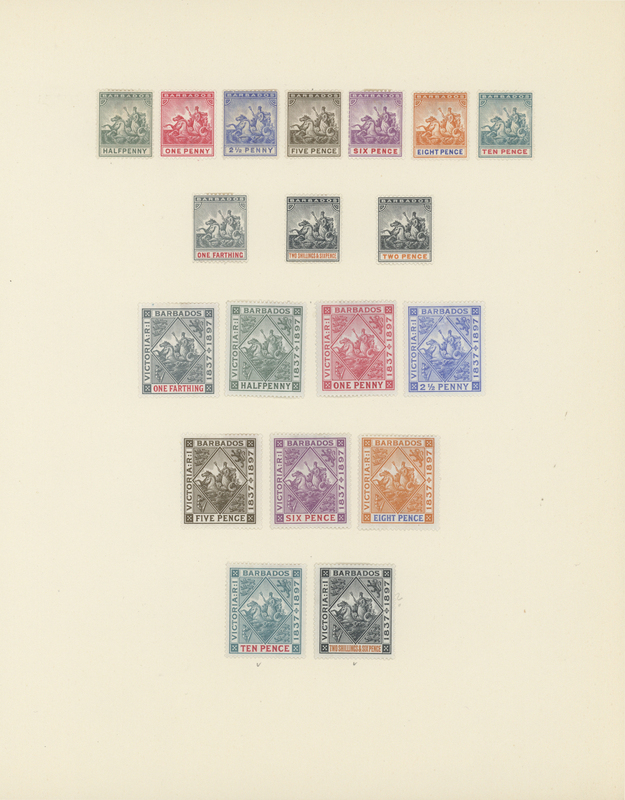 29258 Ganzsache (Complete) 1953/1967 (ca. 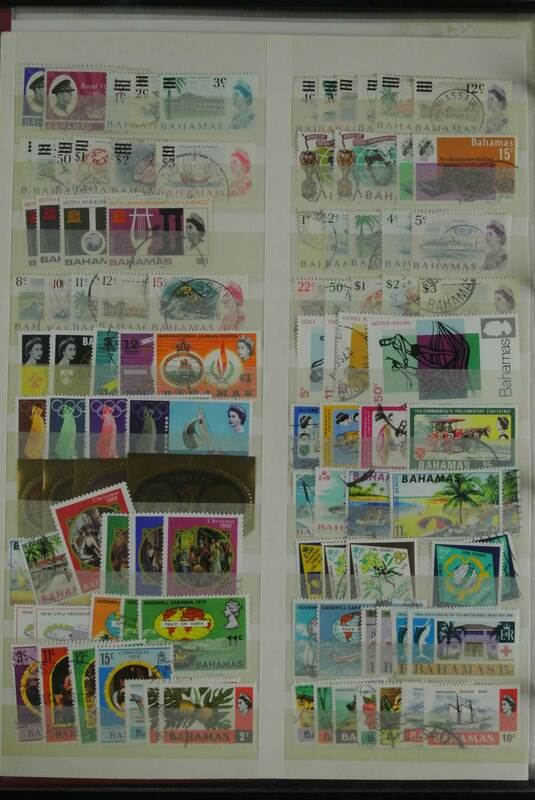 ), accumulation with about 600 LETTER-SHEETS and LETTER-CARDS unused with some CTO mostly in quantities and additionally approx. 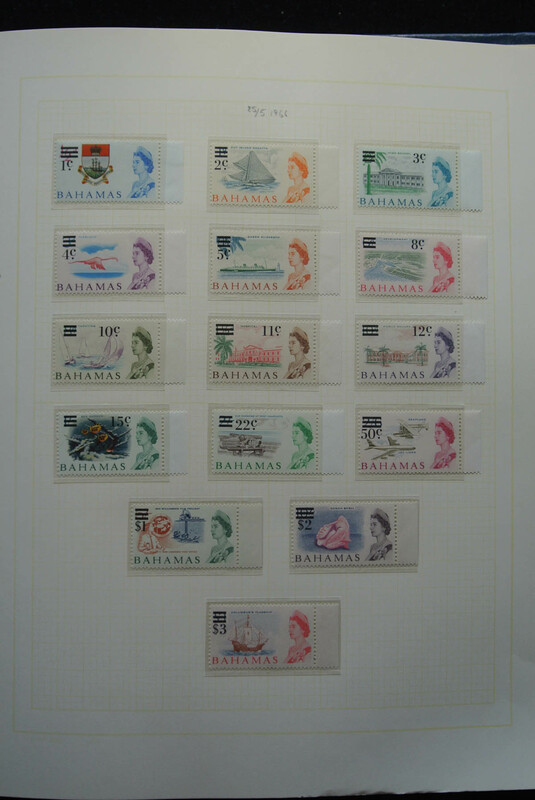 150 modern PSE's all CTO and unadressed (up to 1980), most in fine condition. 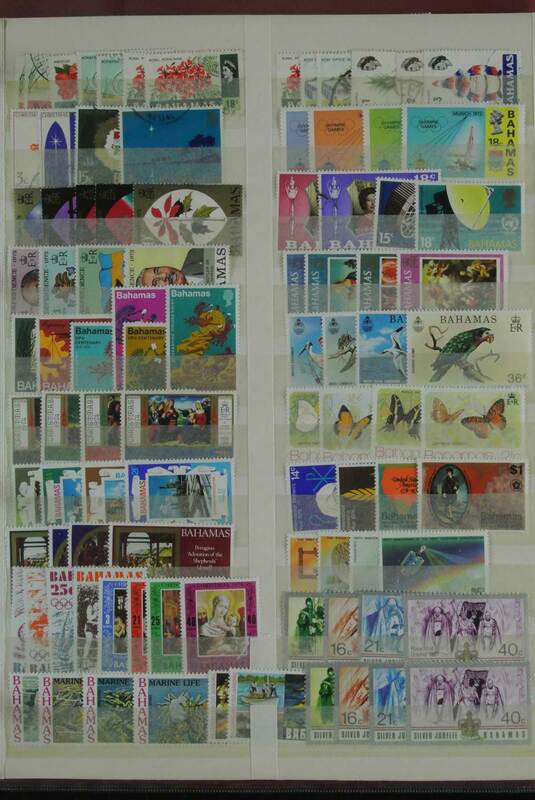 29261 Ganzsache (Complete) 1971/2009 (ca. 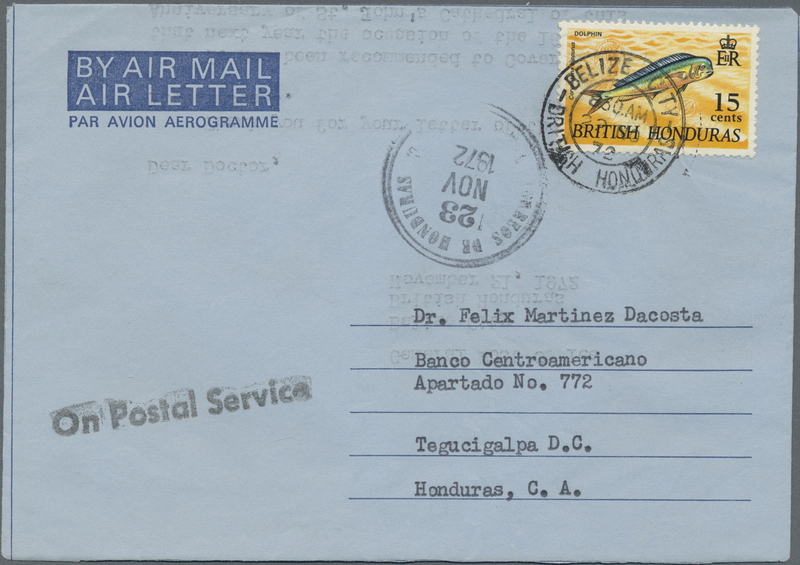 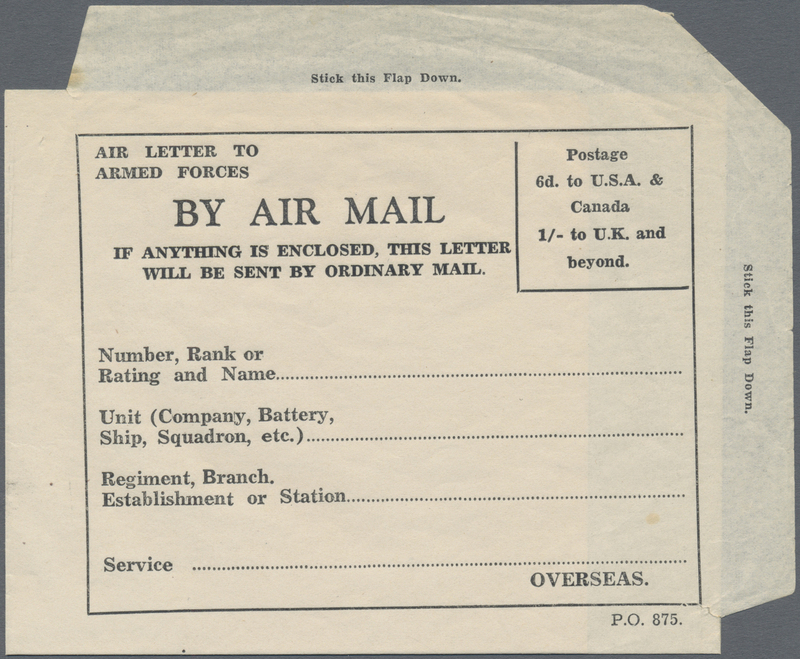 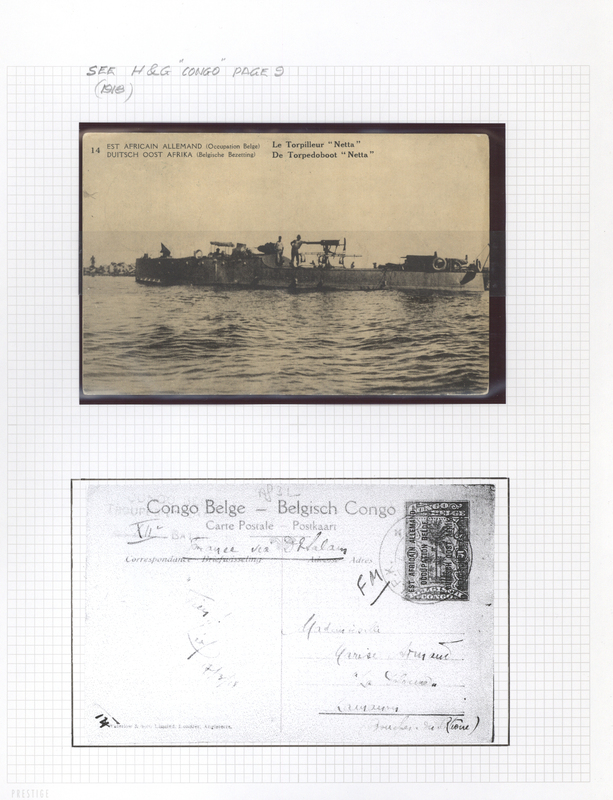 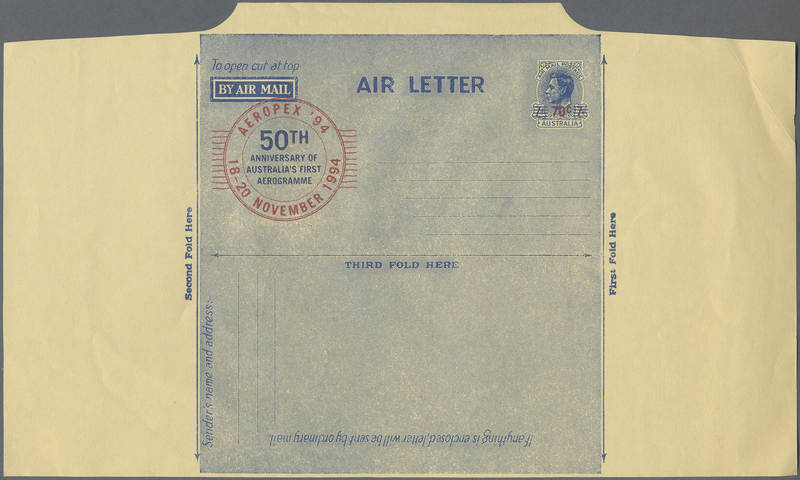 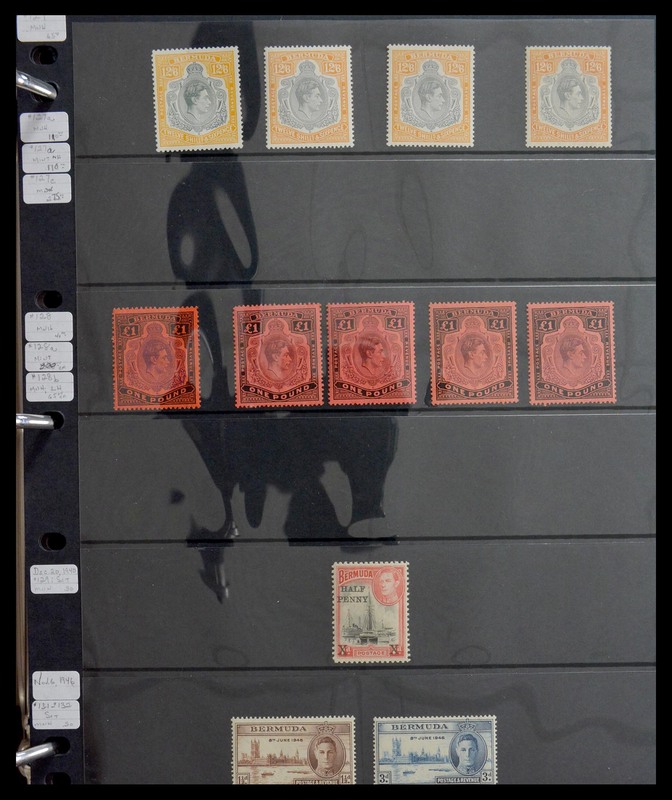 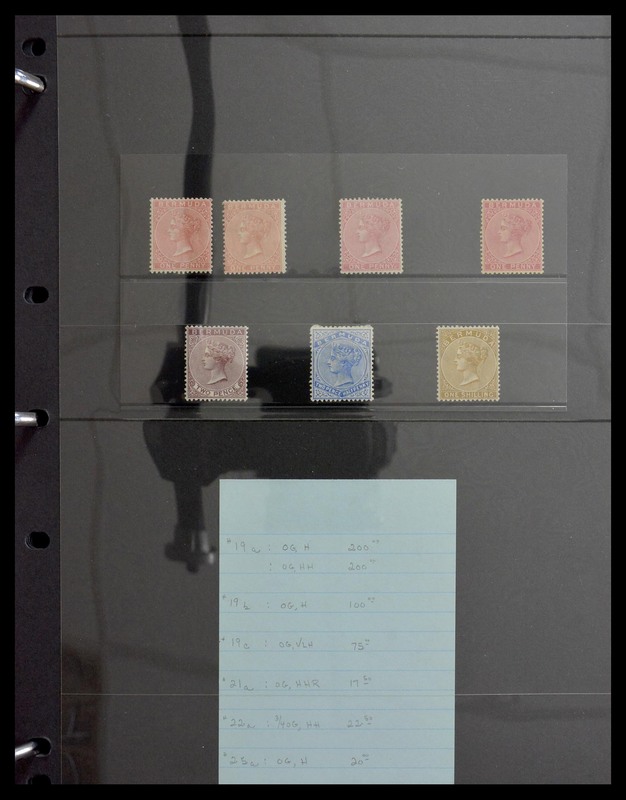 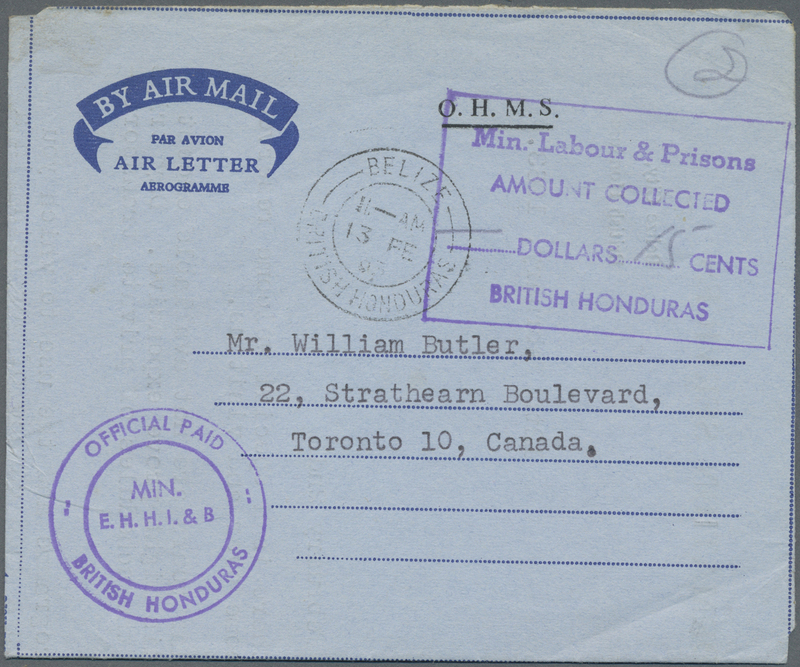 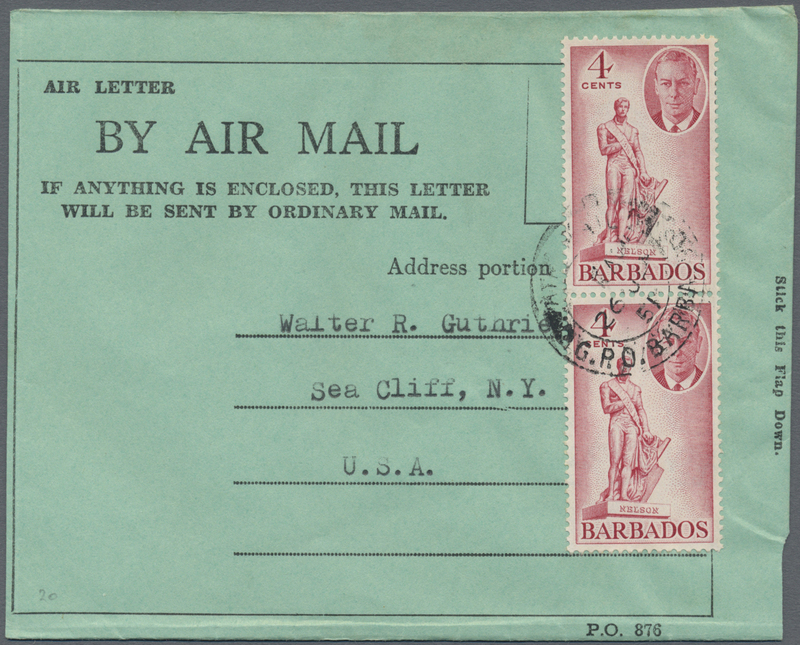 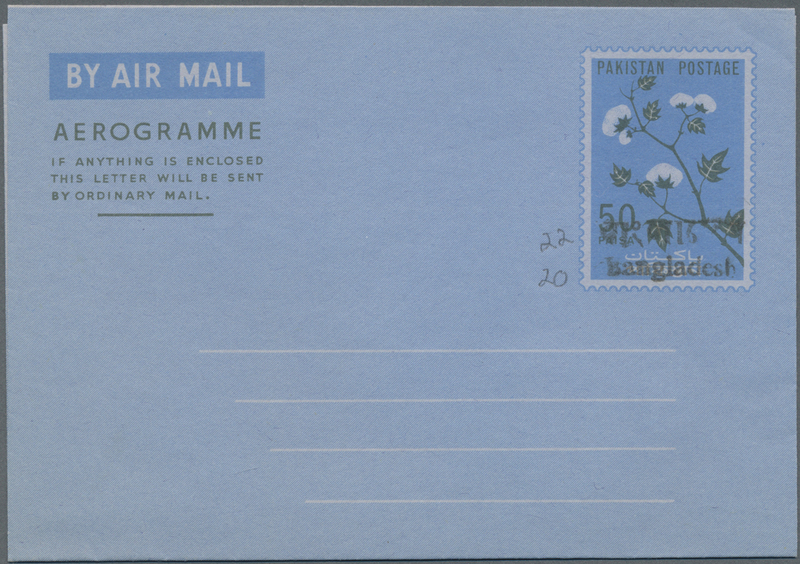 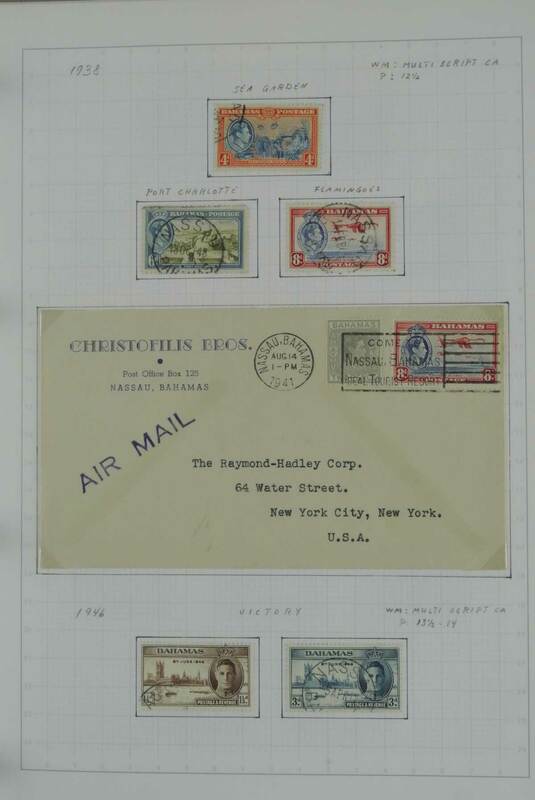 ), Airletters/Aerogrammes: accumulation of about 650 items with a wide variety of different types, commemorative and nice thematic issues incl. 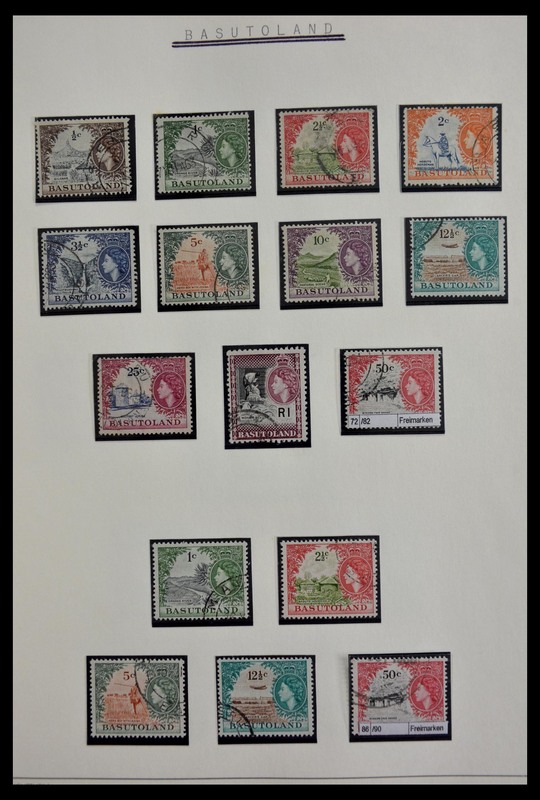 complete sets, all CTO and unadressed and mostly First Day pmks. 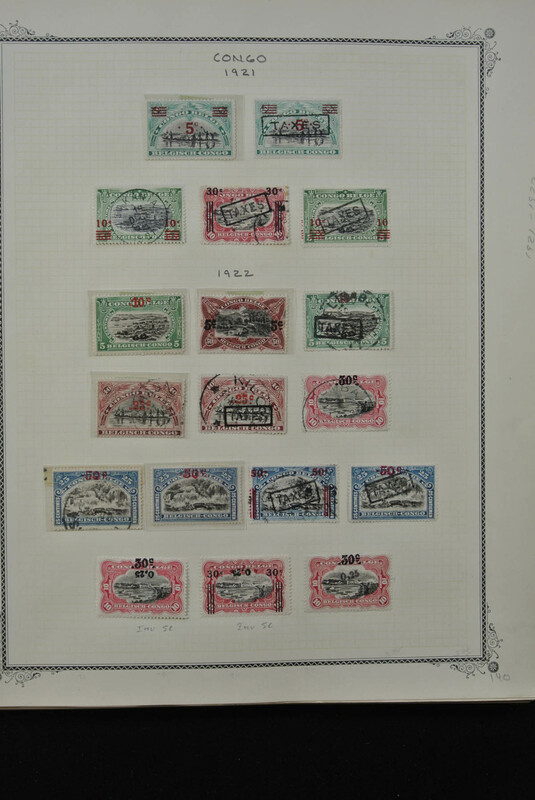 but also some commemorative cancels etc., very fine condition and high cat. 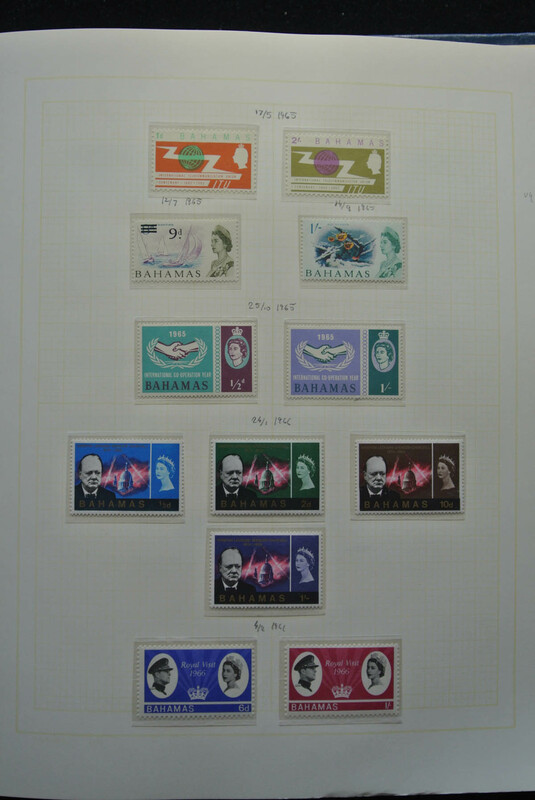 value. 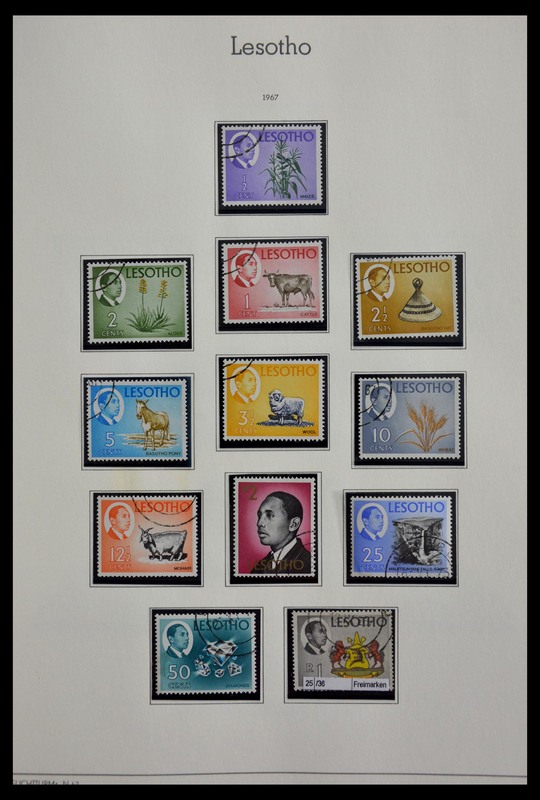 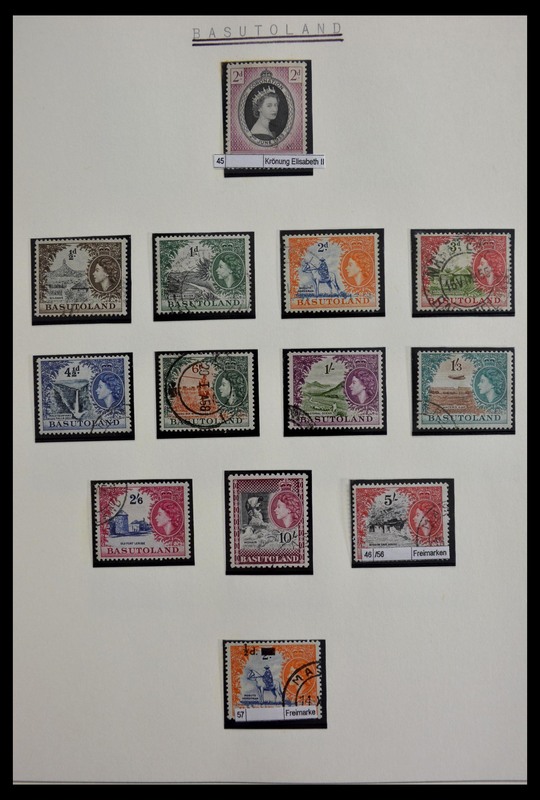 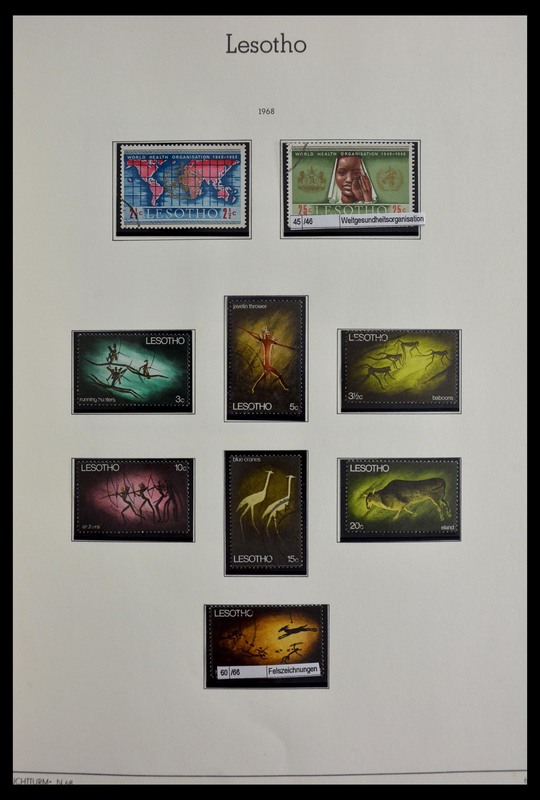 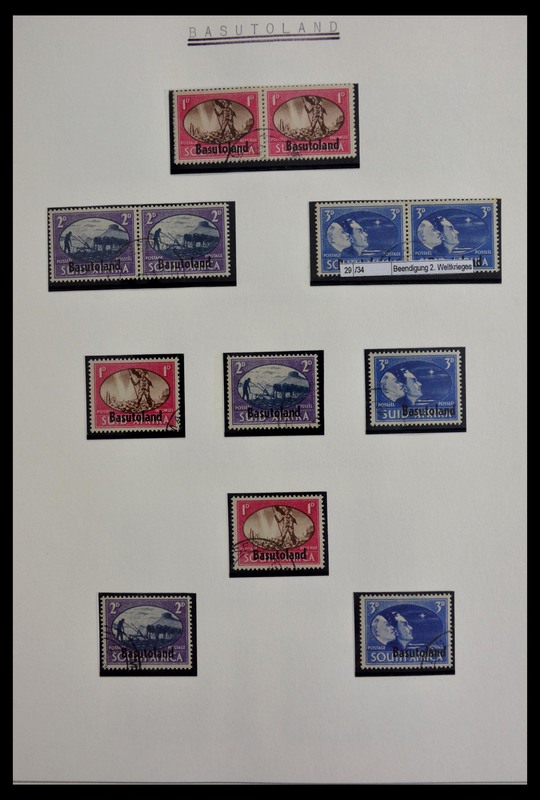 Plus 1962, British Empire and Commonwealth Games airletters 10d complete set of 25 with the 25 different commemorative SPORT POSTMARKS all with stamped adress to New York, difficult to find in complete sets. 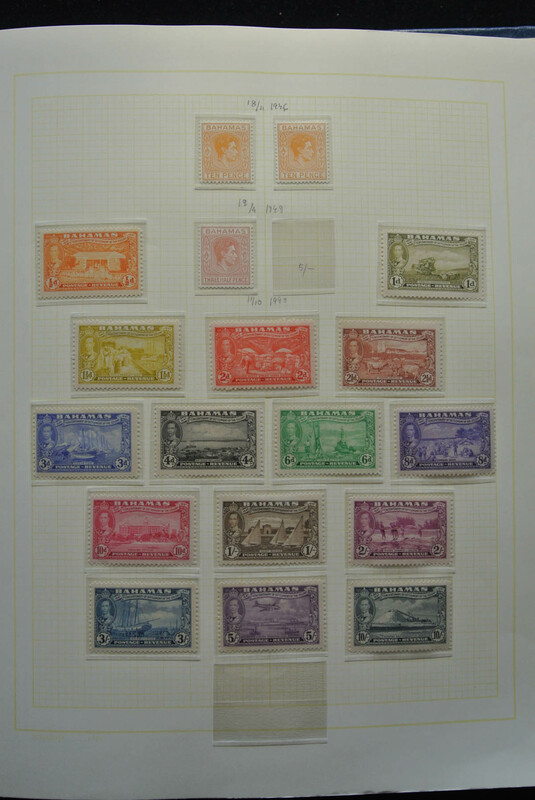 Total ca. 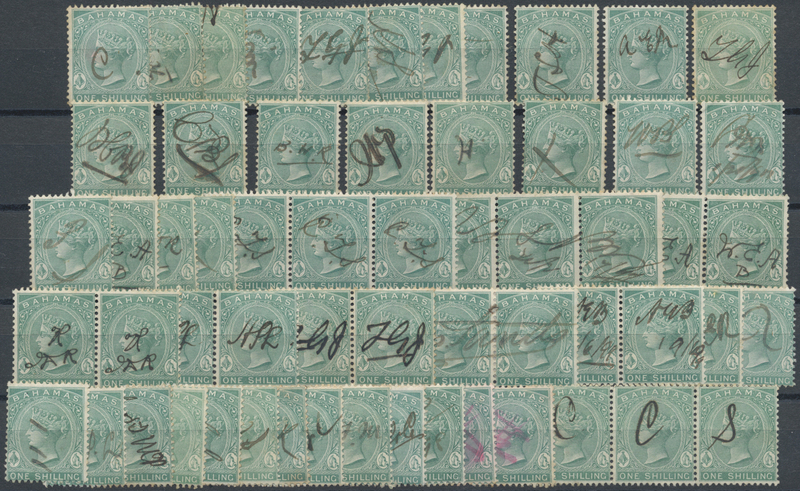 675 items. 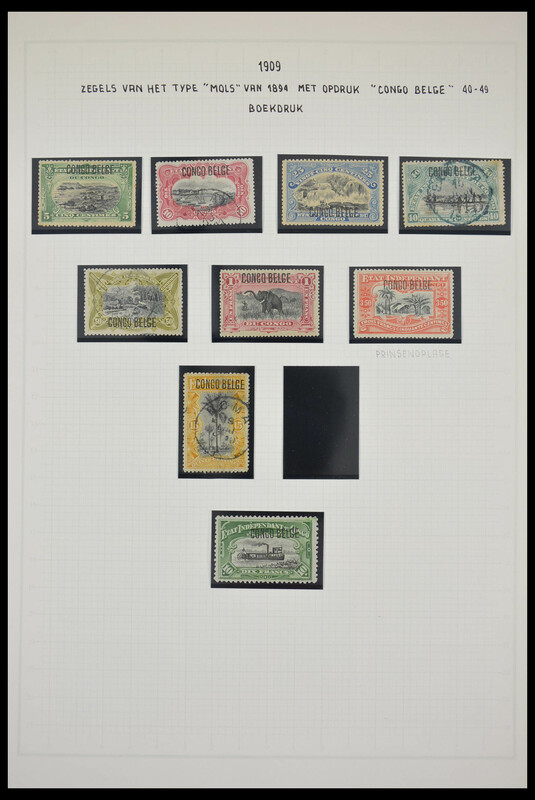 (ex J. Kasper Collection). 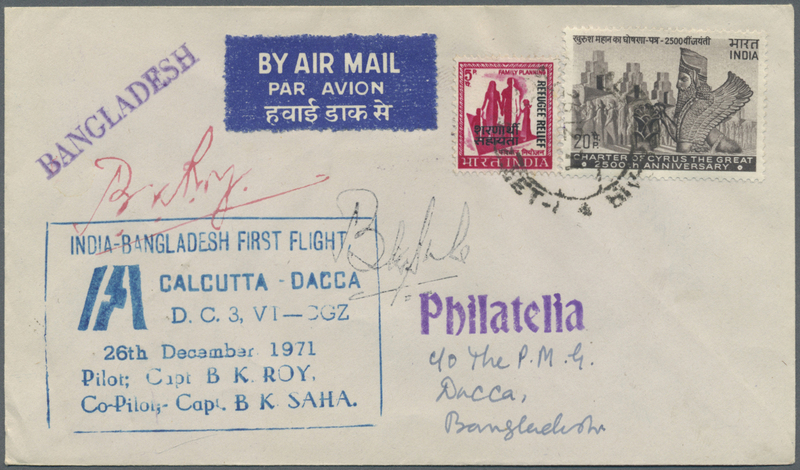 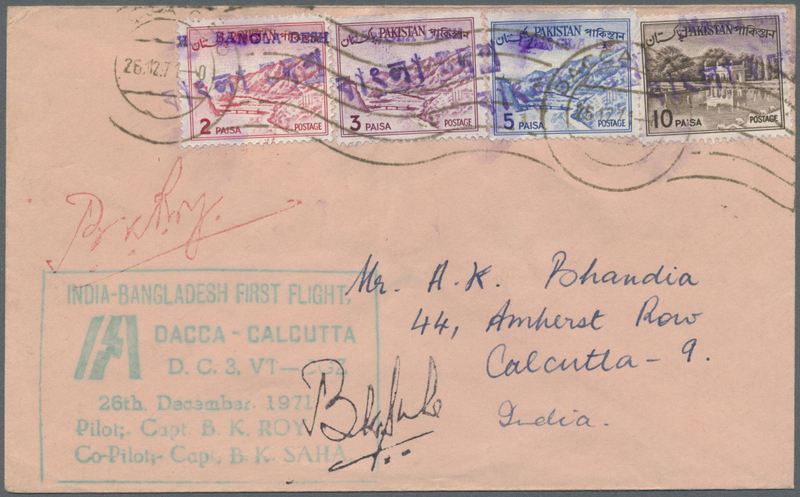 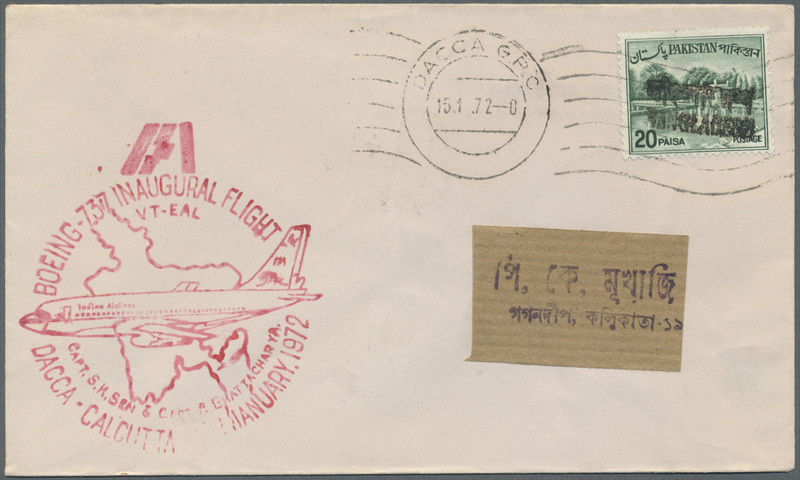 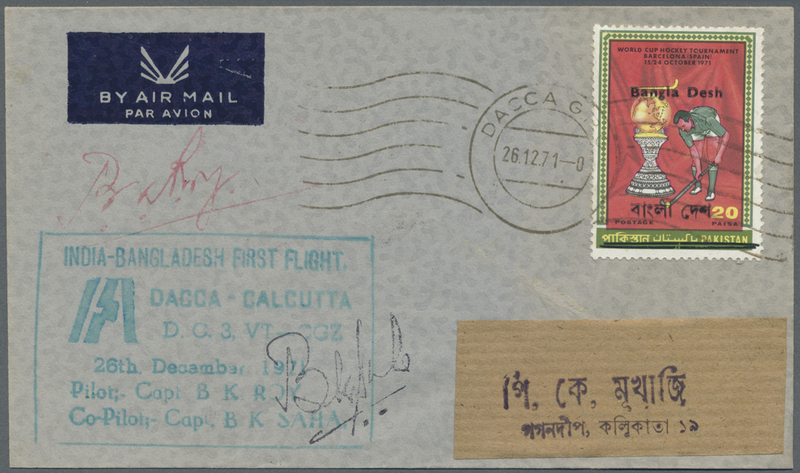 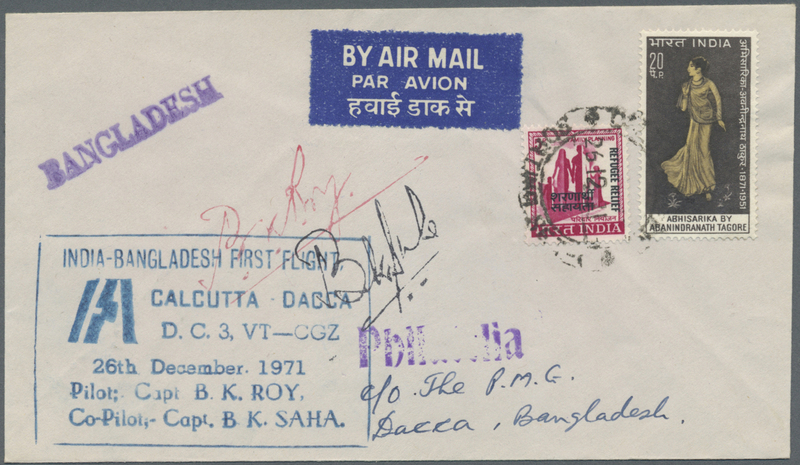 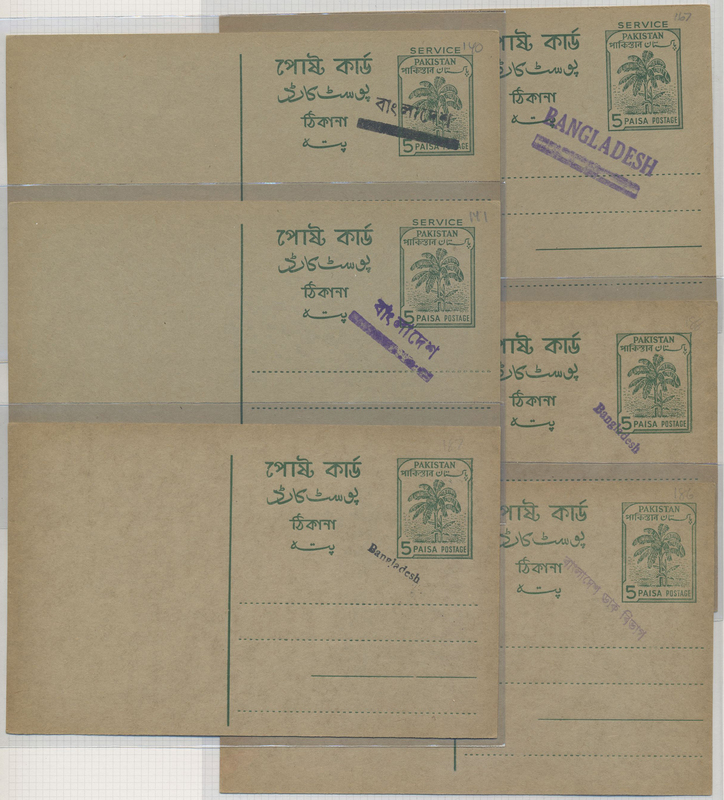 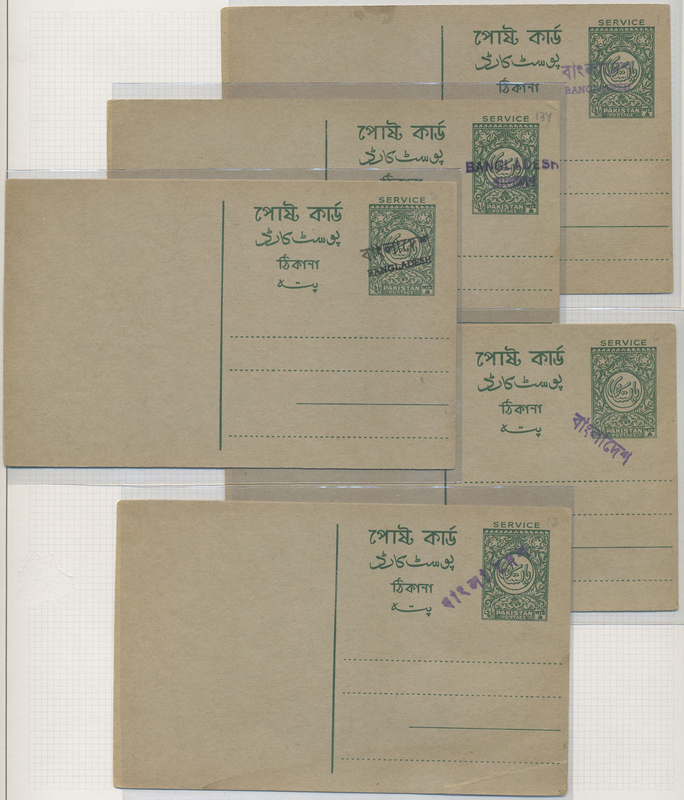 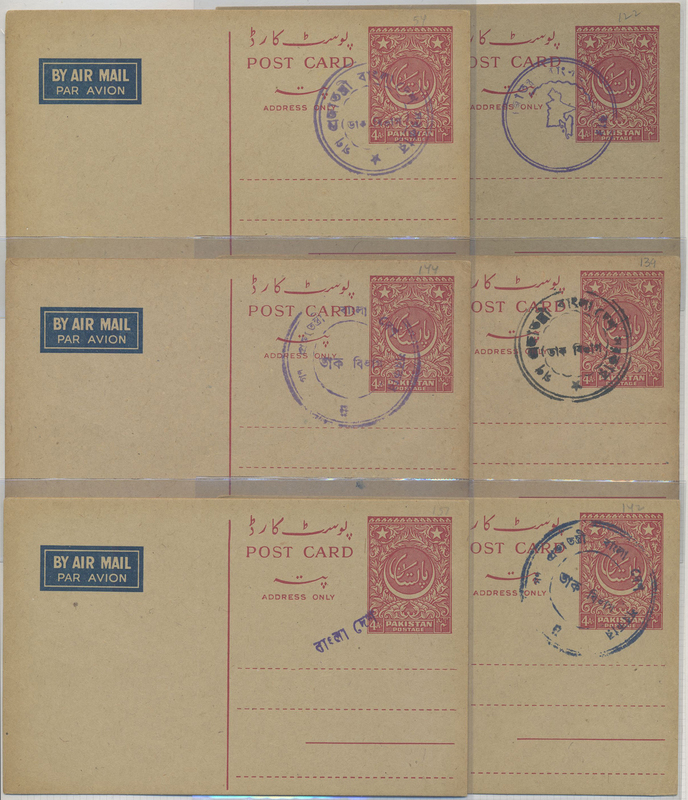 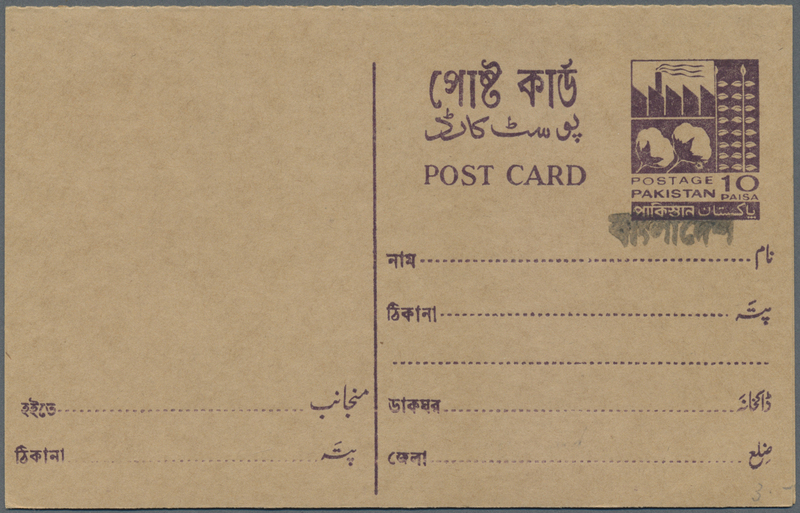 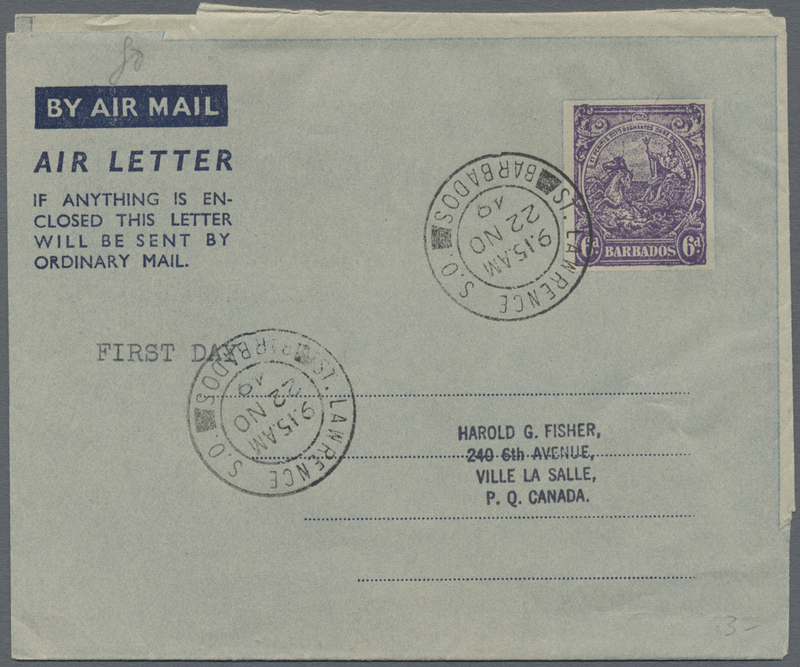 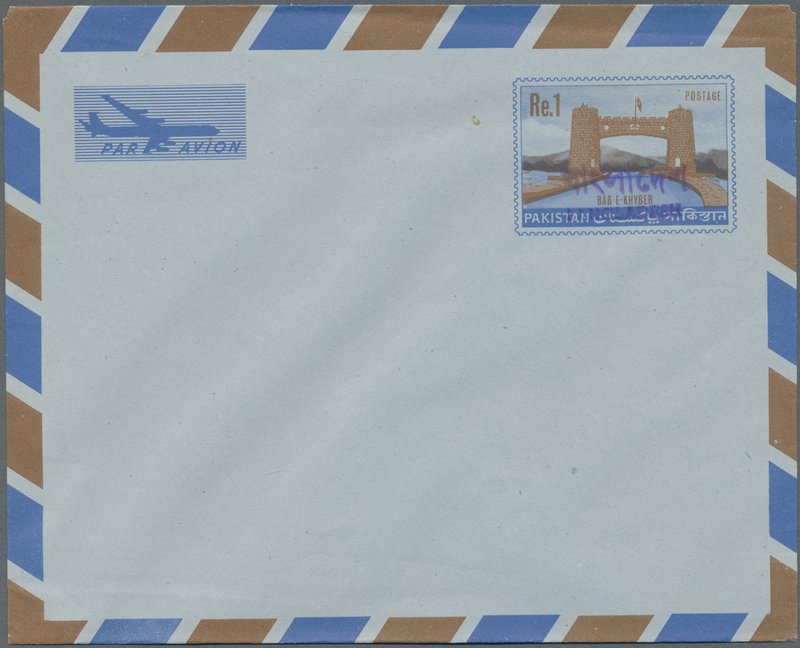 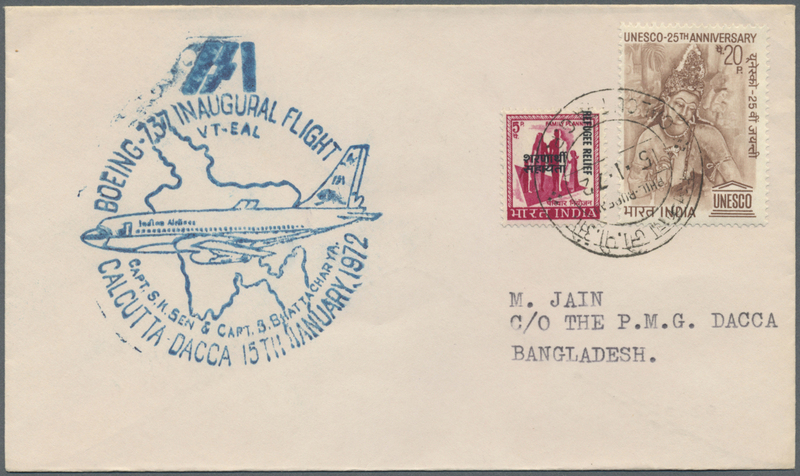 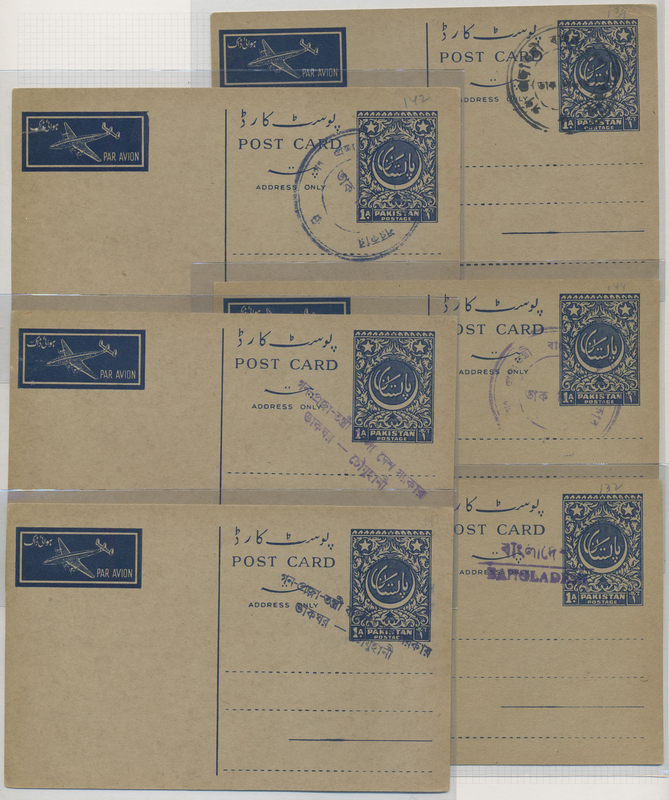 29272 Brief (cover) 1971 Dacca-Calcutta-Dacca First Flight: Six covers carried on Dec. 26th, 1971 by first flights Calcutta-Dacca (3) and Dacca-Calcutta (3), with various First Flight cachets, interesting frankings (Bangladesh with local handstamps, Indian covers with add. 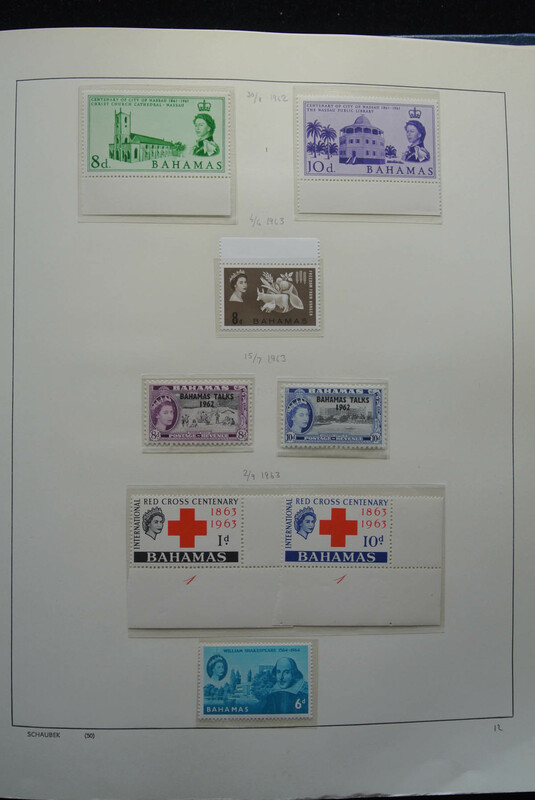 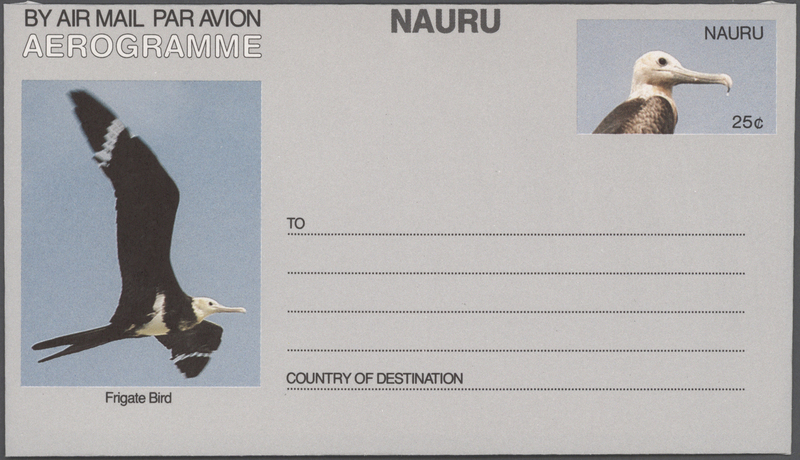 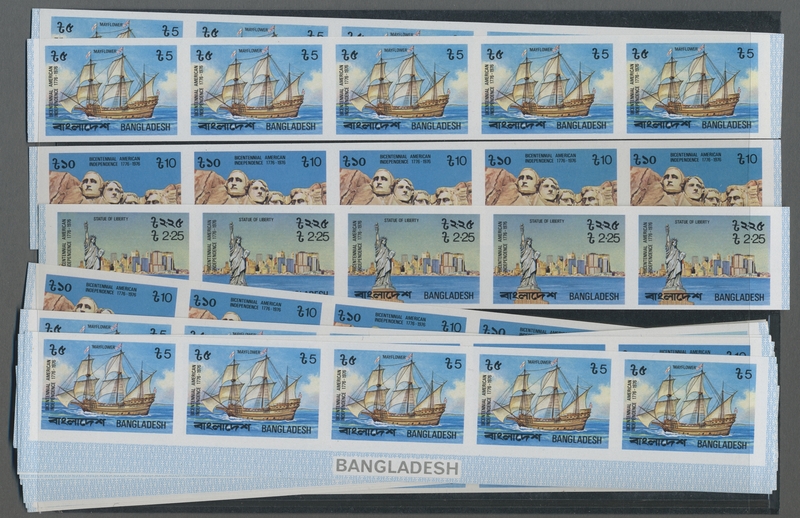 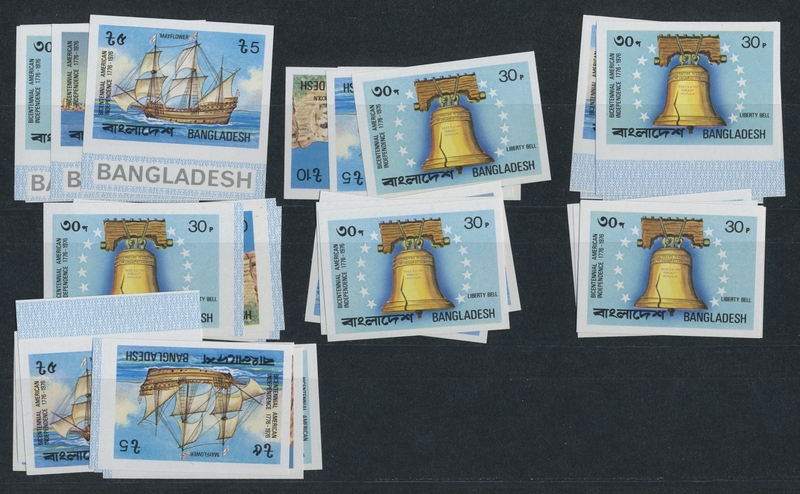 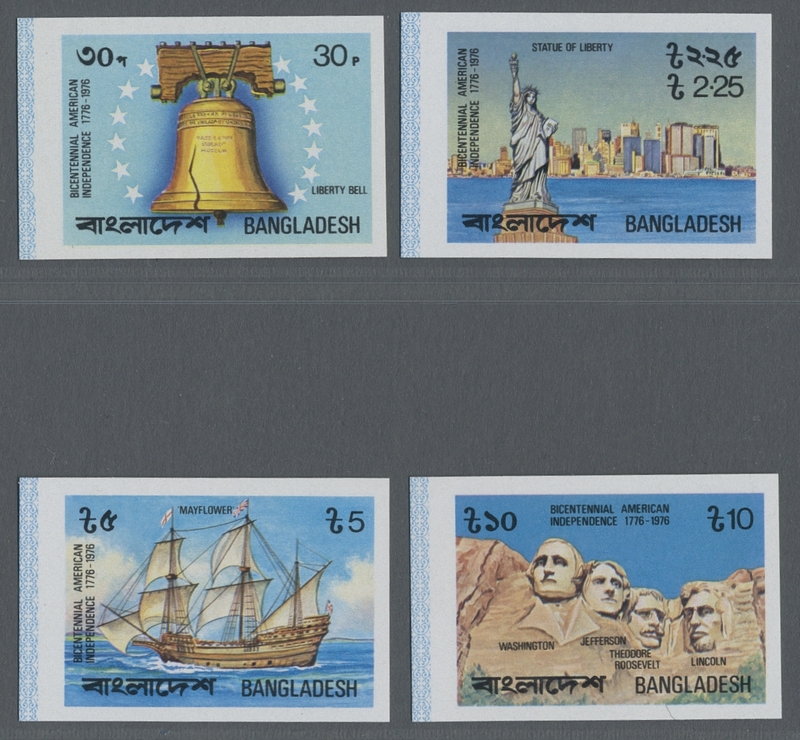 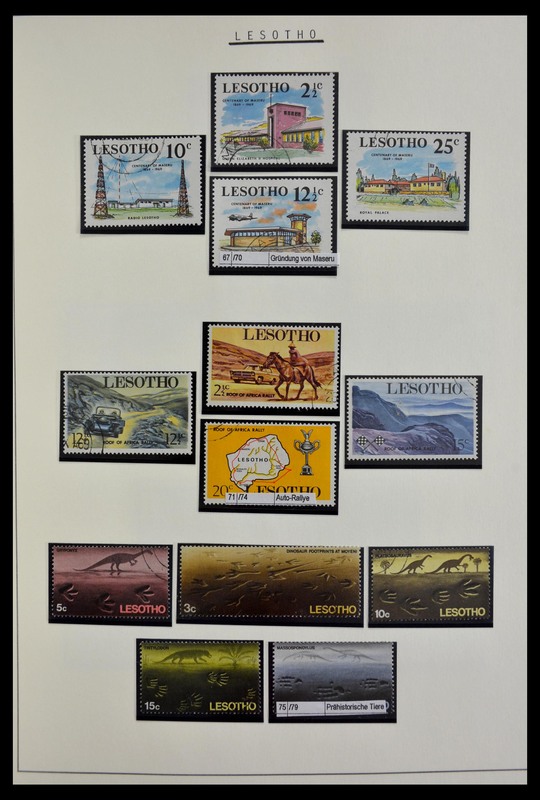 Refugee Relief stamps), etc. 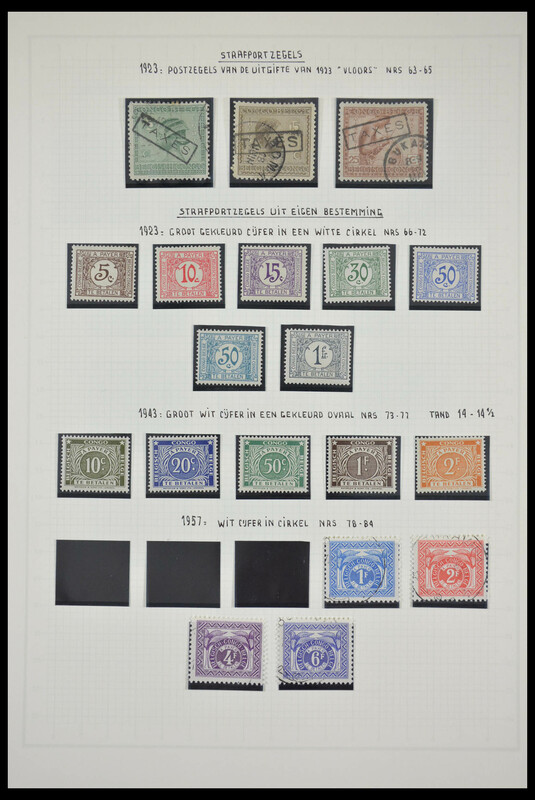 29277 ungebraucht (hinged) * 1897/1906, lot of seven stamps with Specimen overprint. 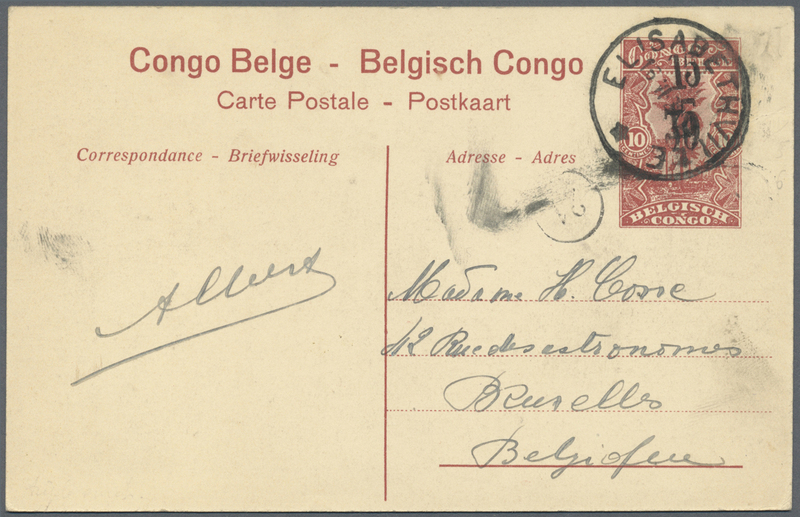 29282 Brief (cover) Ganzsache (Complete) Ansichtskarte (Picture postcard) 1870/1940 (ca. 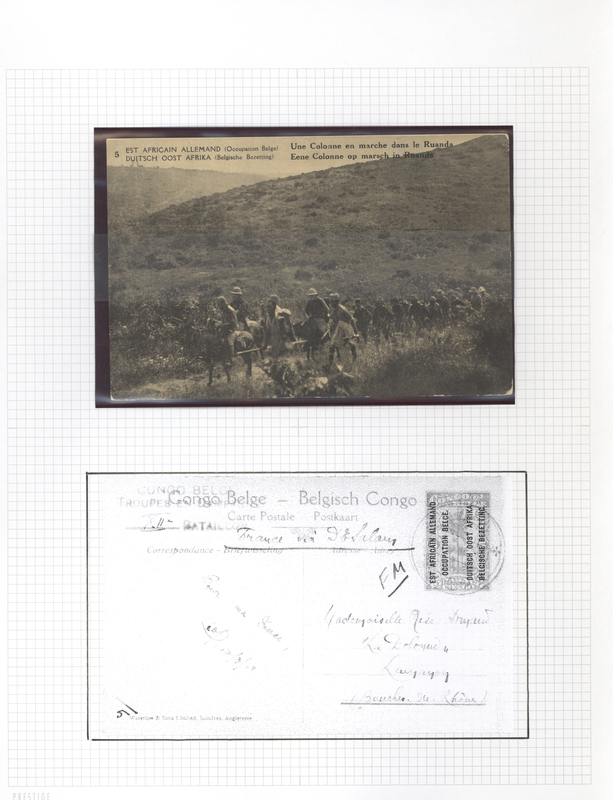 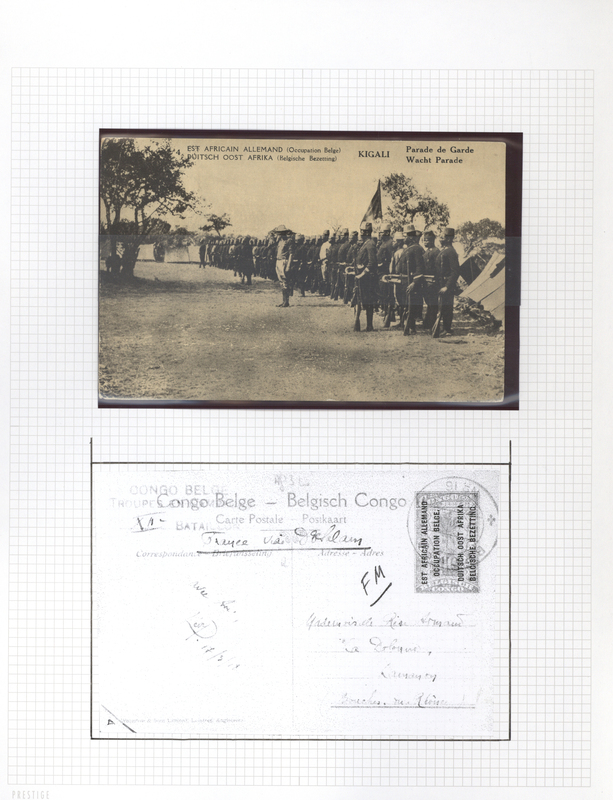 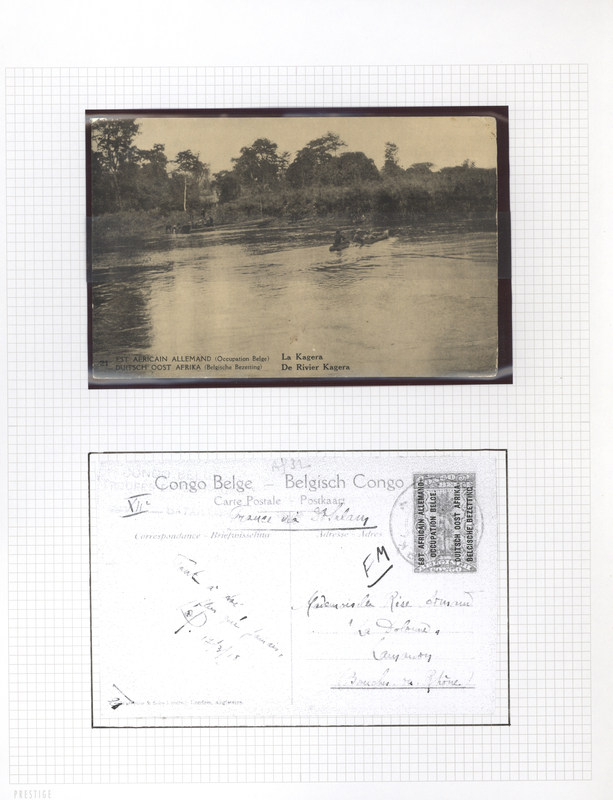 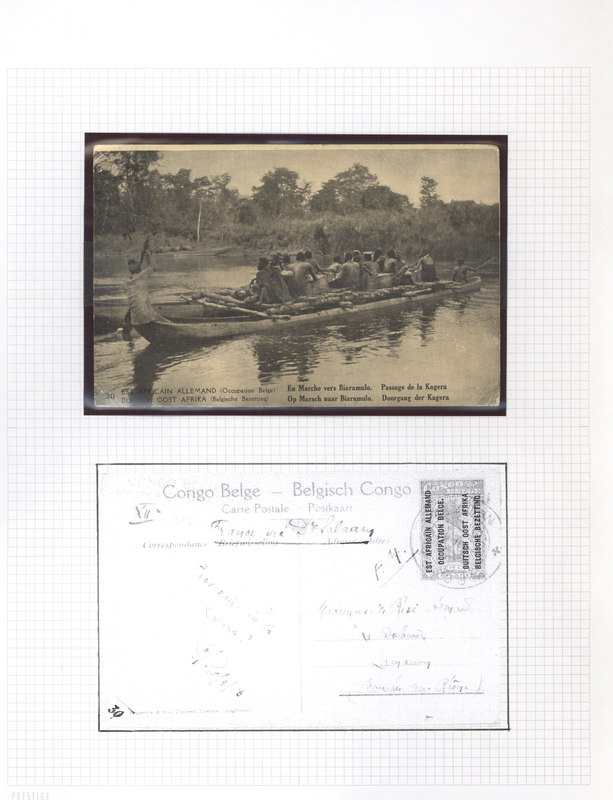 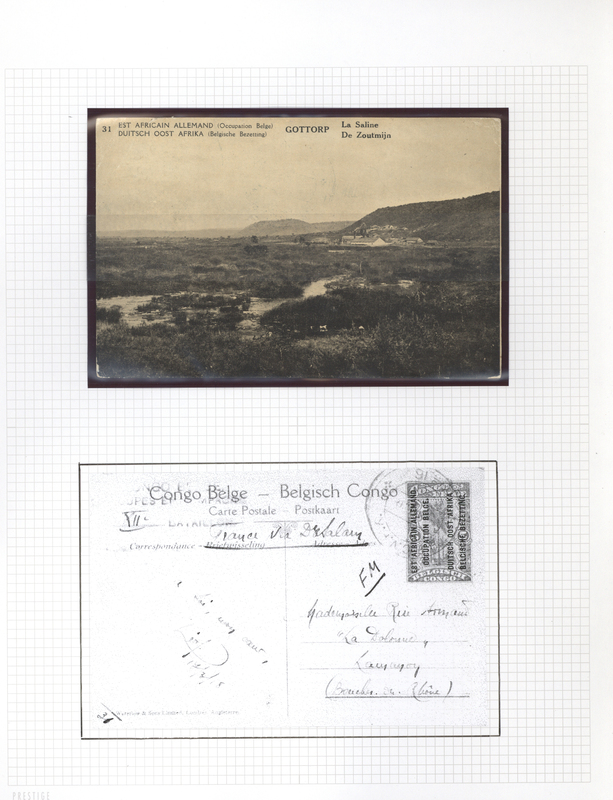 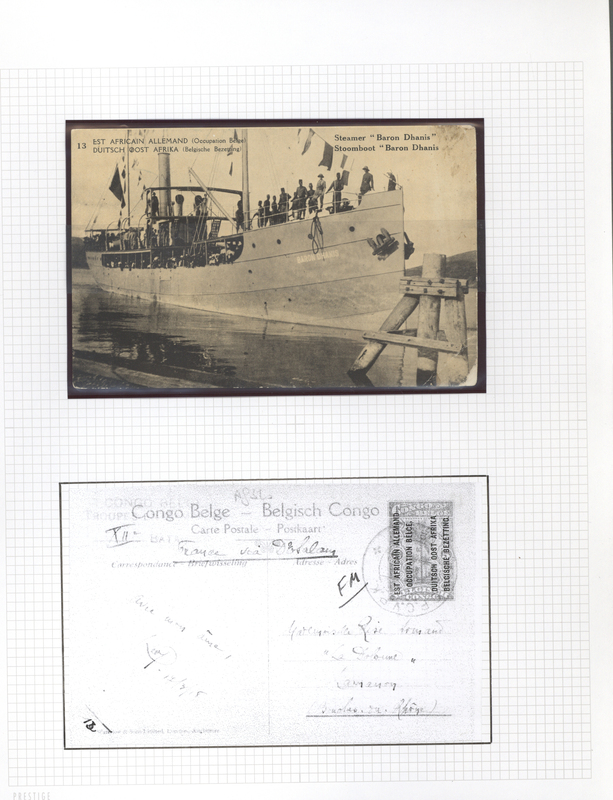 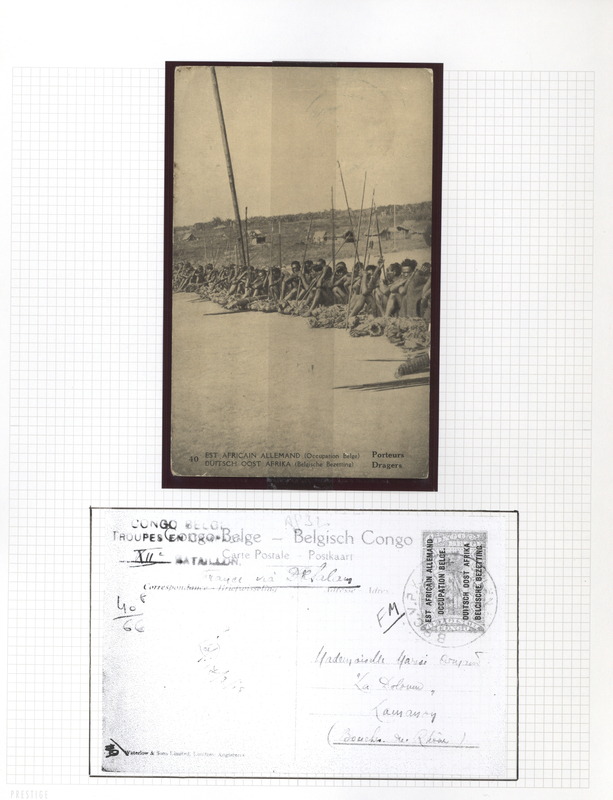 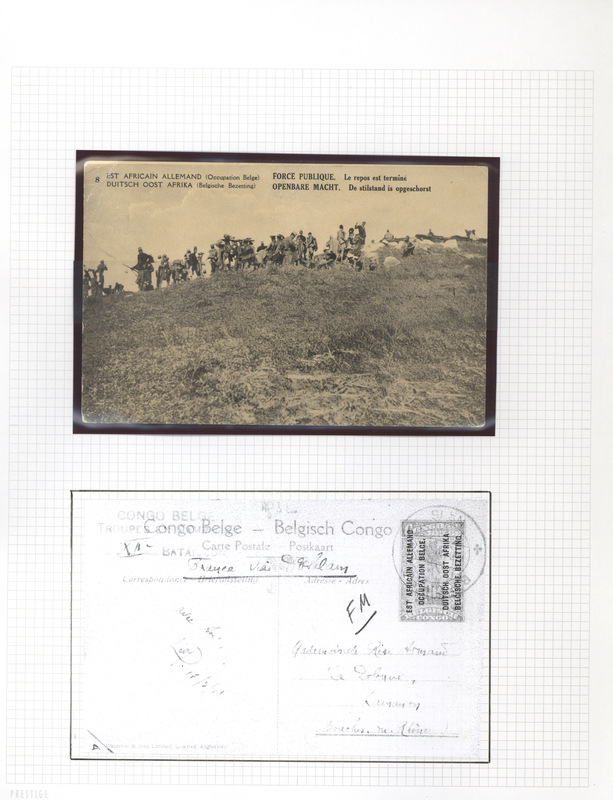 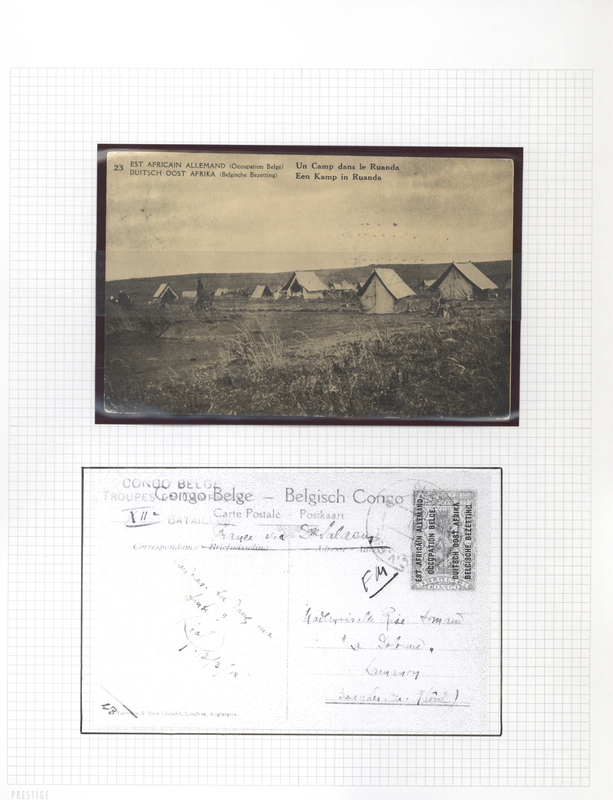 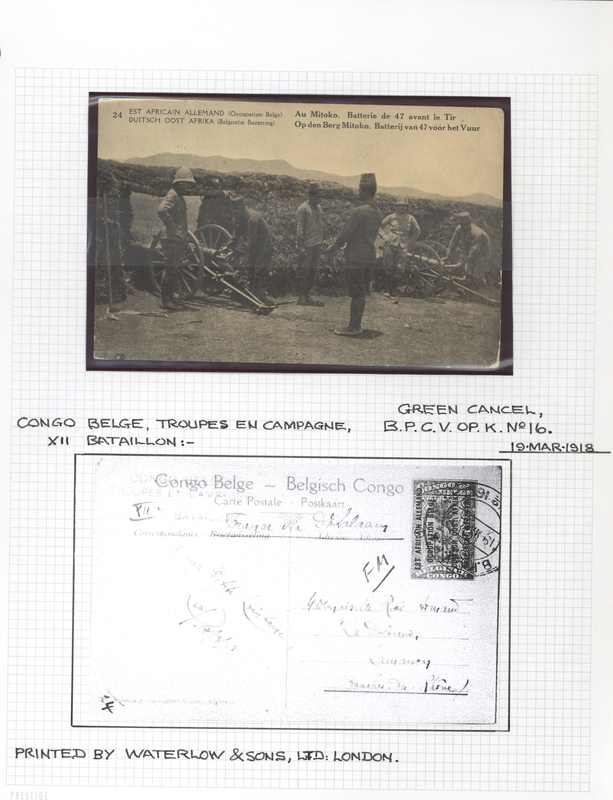 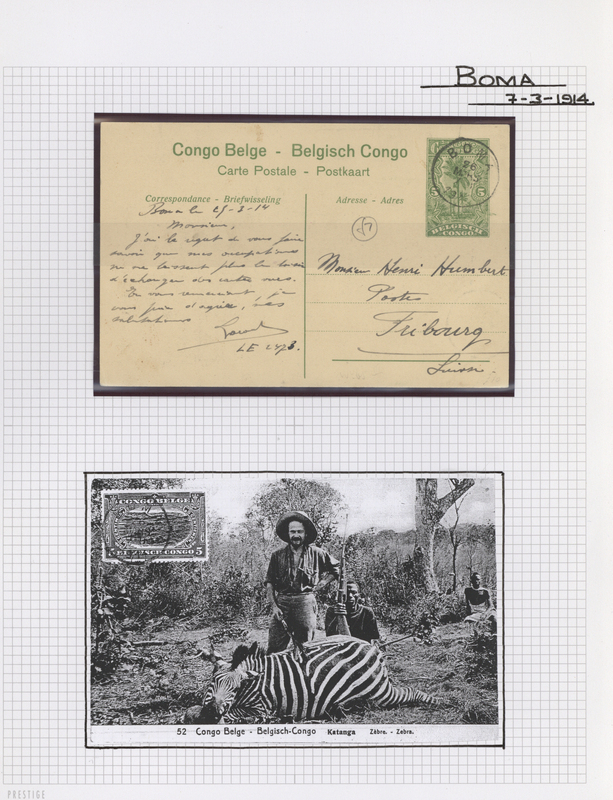 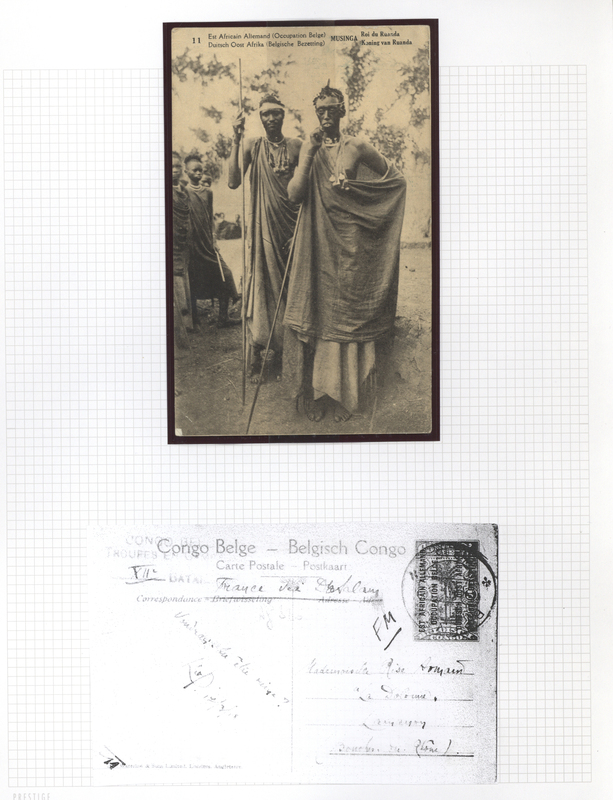 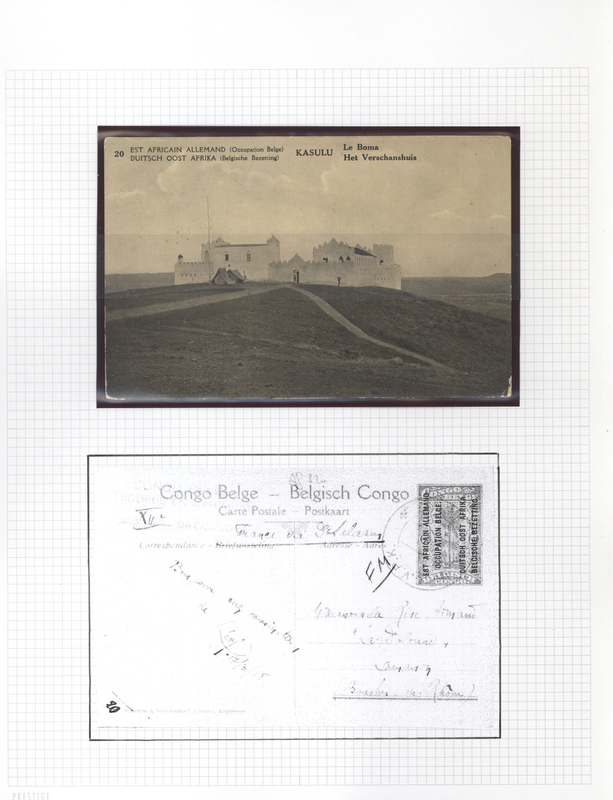 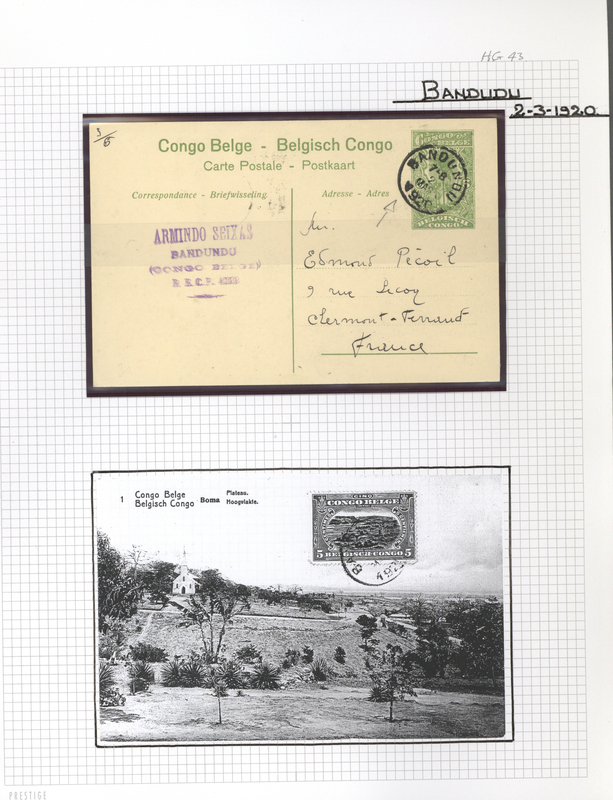 ), about 30 letters and cards from Belgian Congo, with postal stationery, registered mail, airmails and interesting cancellations. 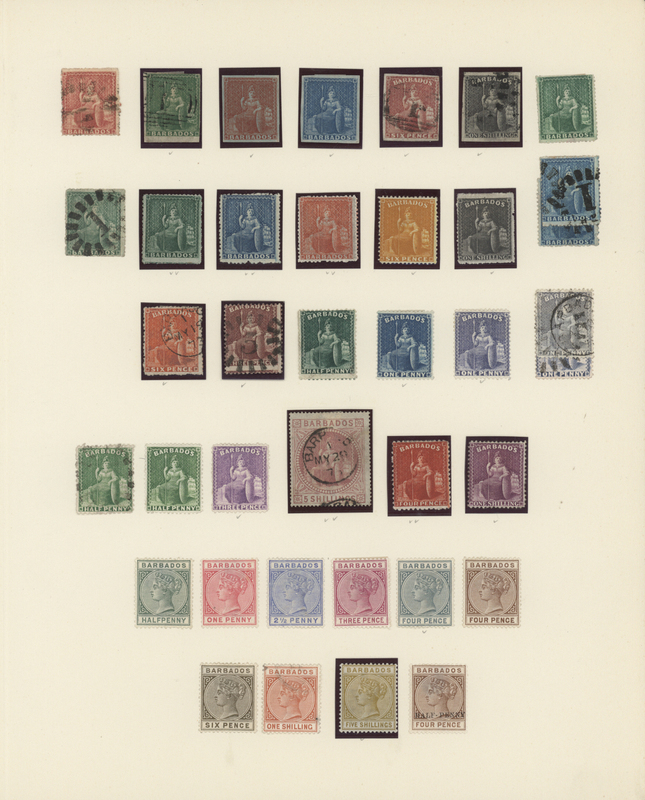 ÷ 1870/1940 (ca. 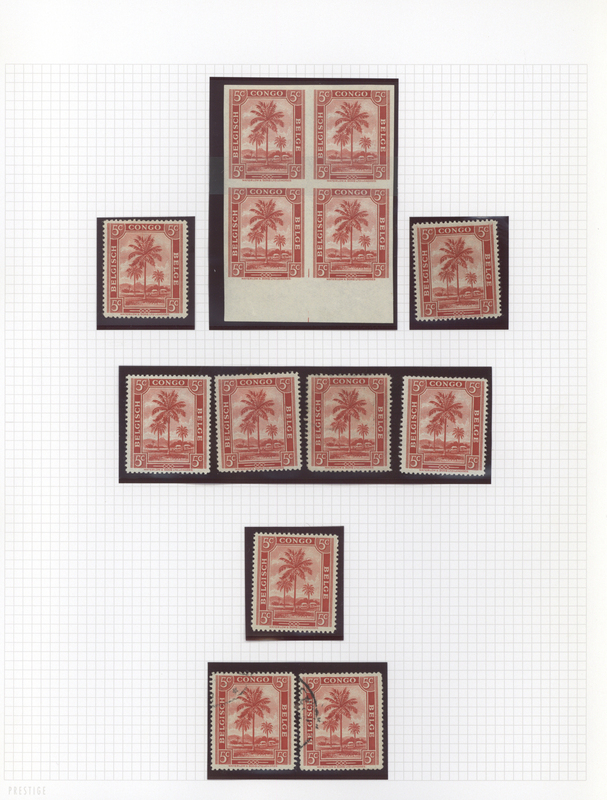 ), rd. 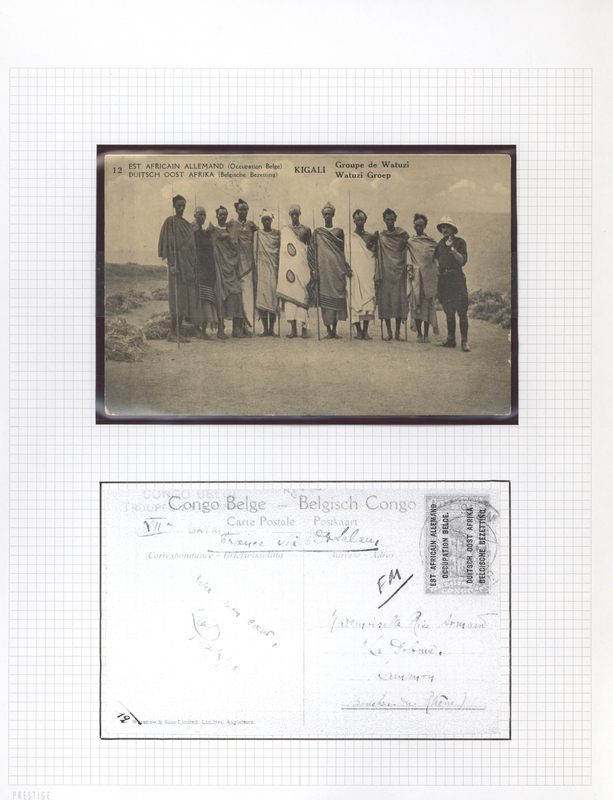 30 Briefe und Karten von Belgisch-Kongo, dabei Ganzsachen, Einschreiben, Luftpost und interessante Abstempelungen. 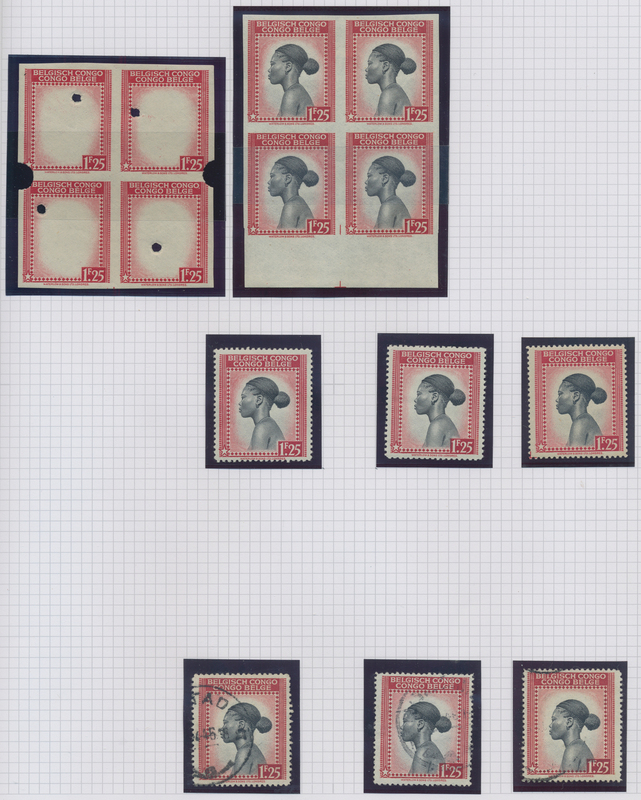 29285 Ganzsache (Complete) 1880/1930, collection of ca. 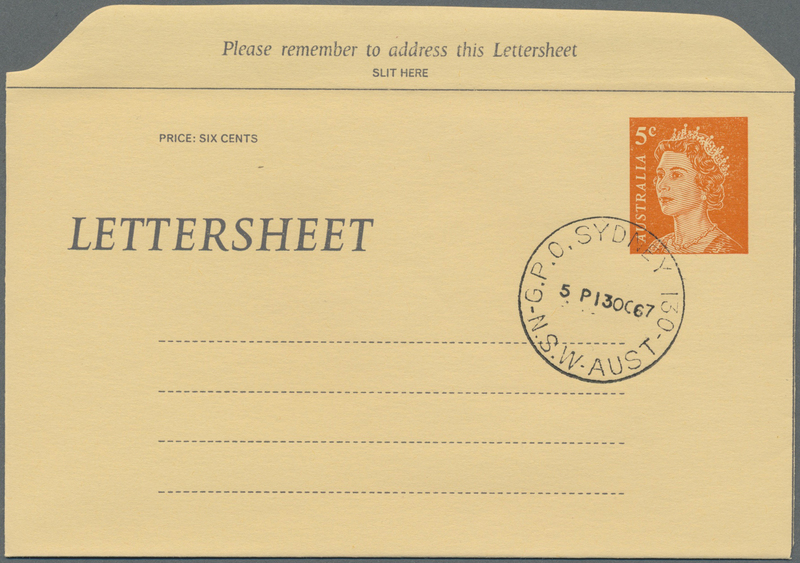 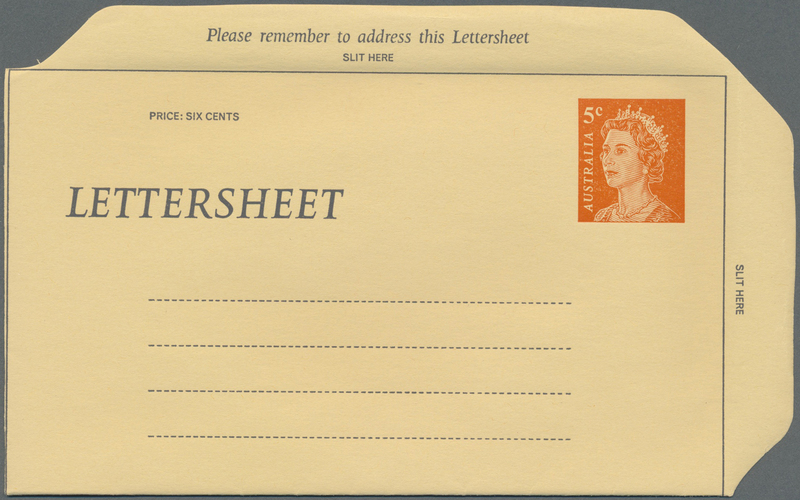 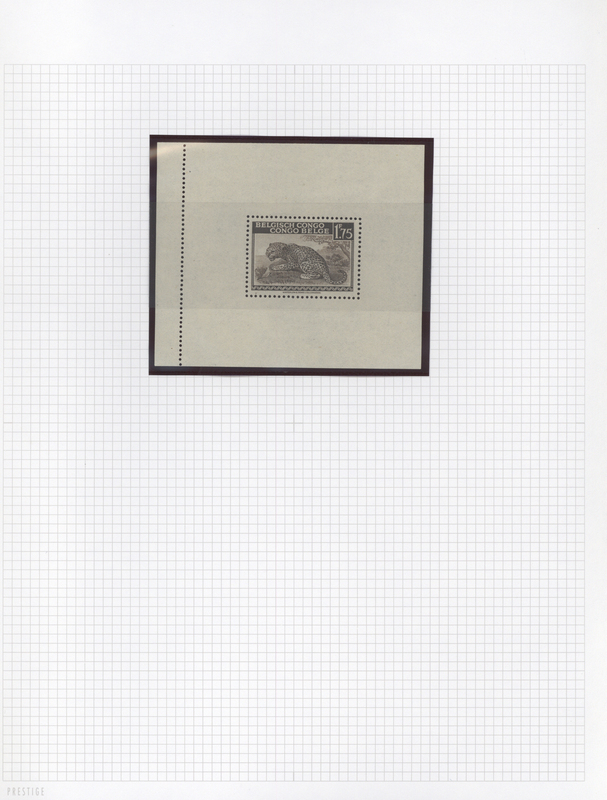 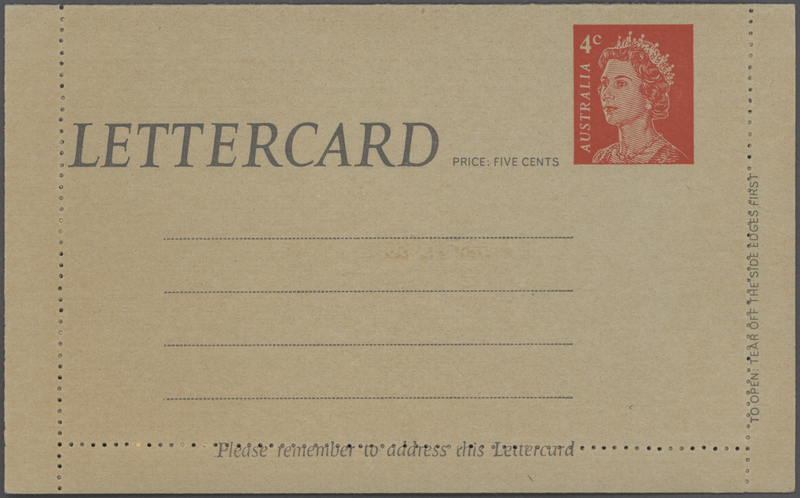 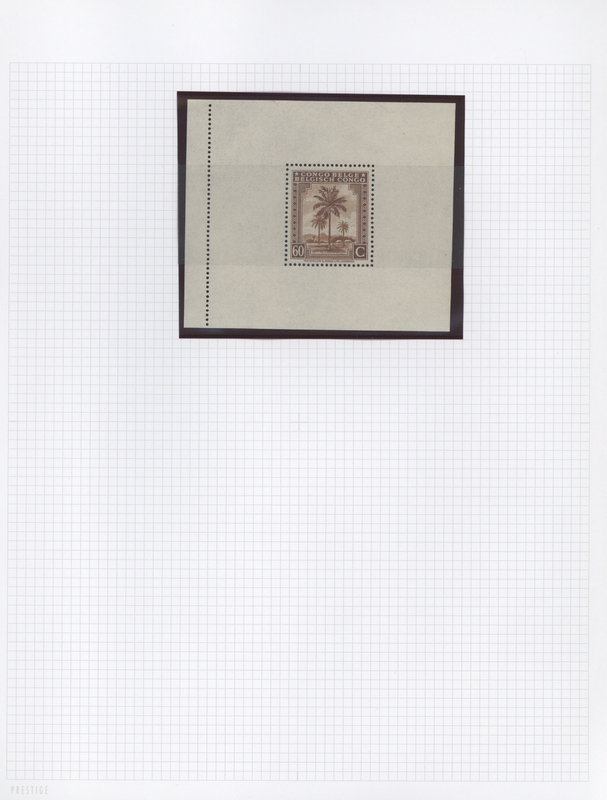 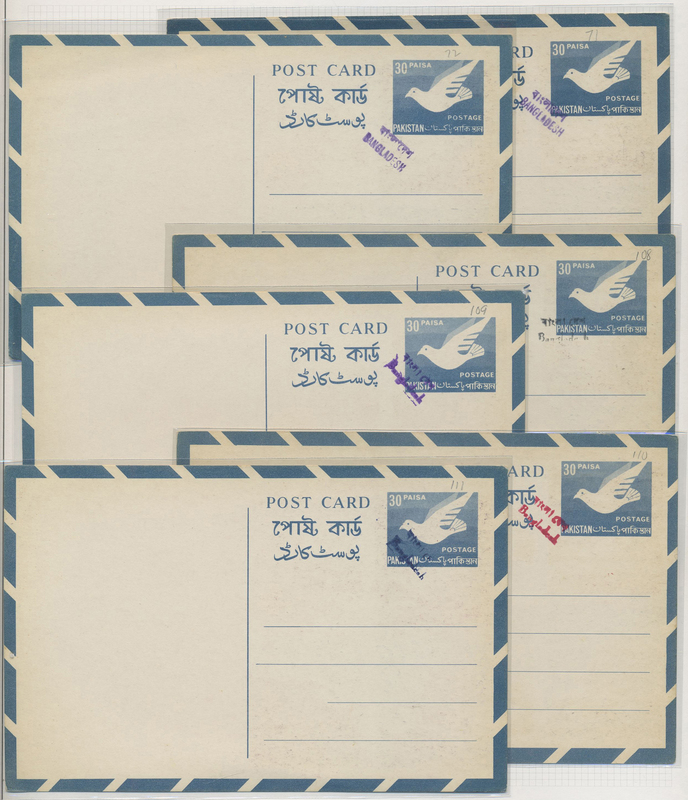 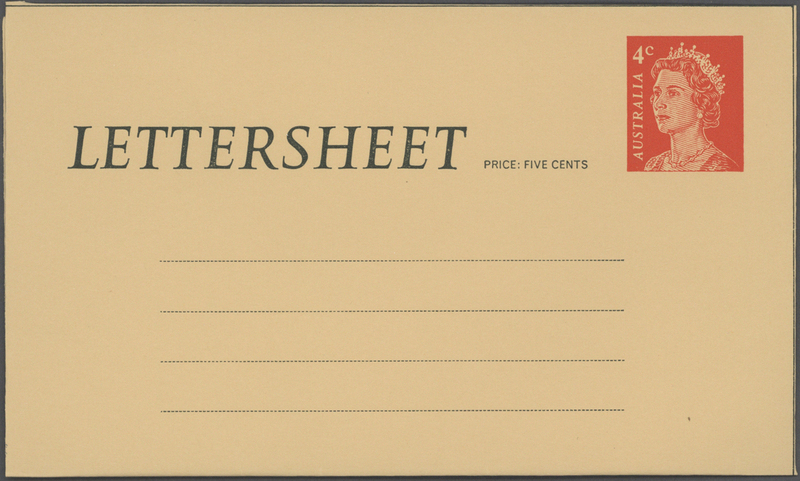 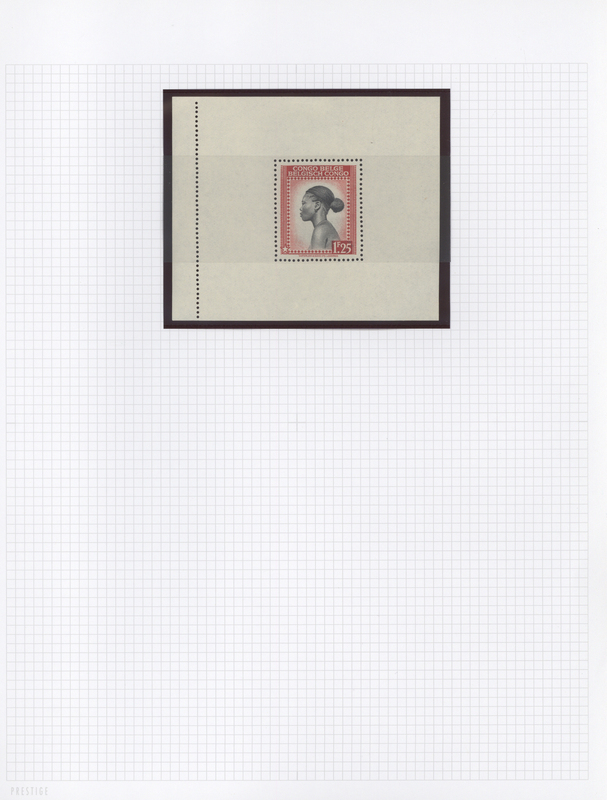 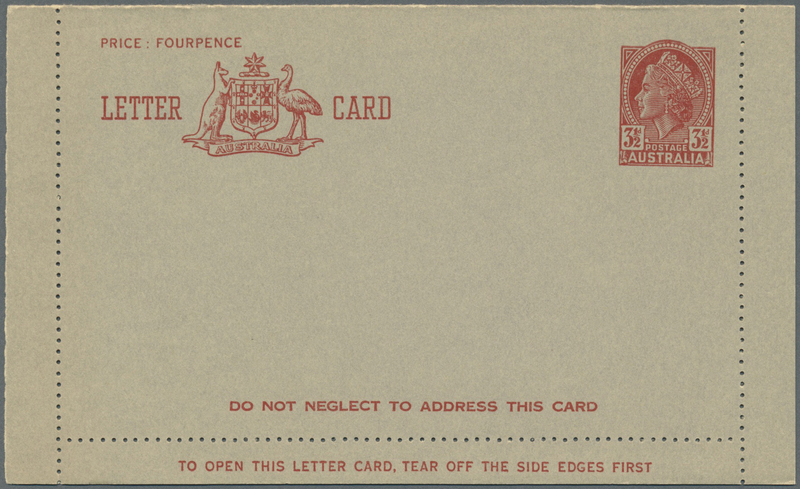 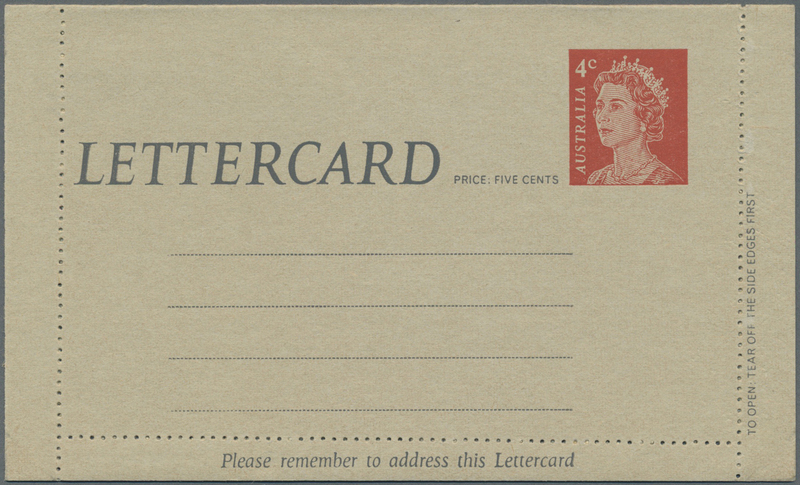 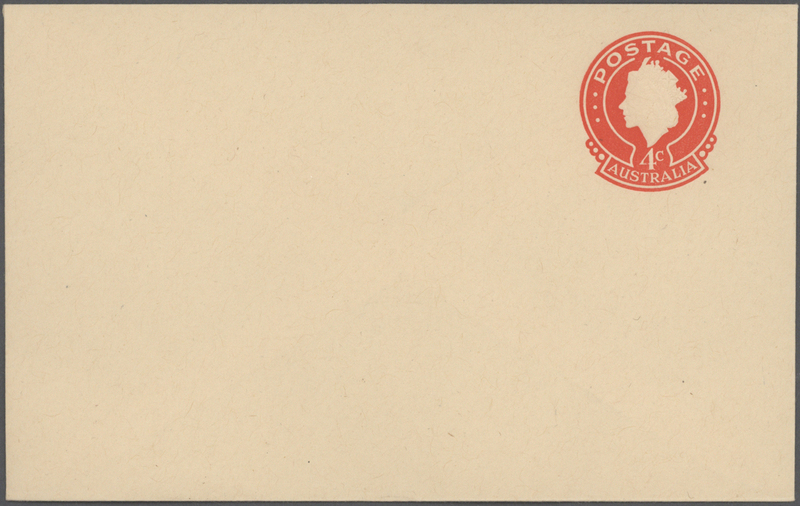 391 unused postal stationery cards incl. 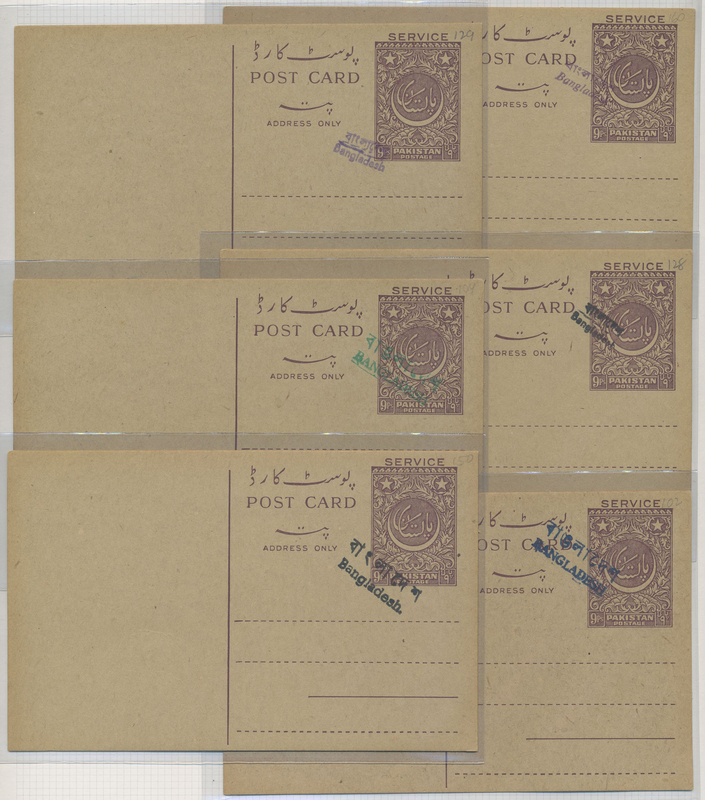 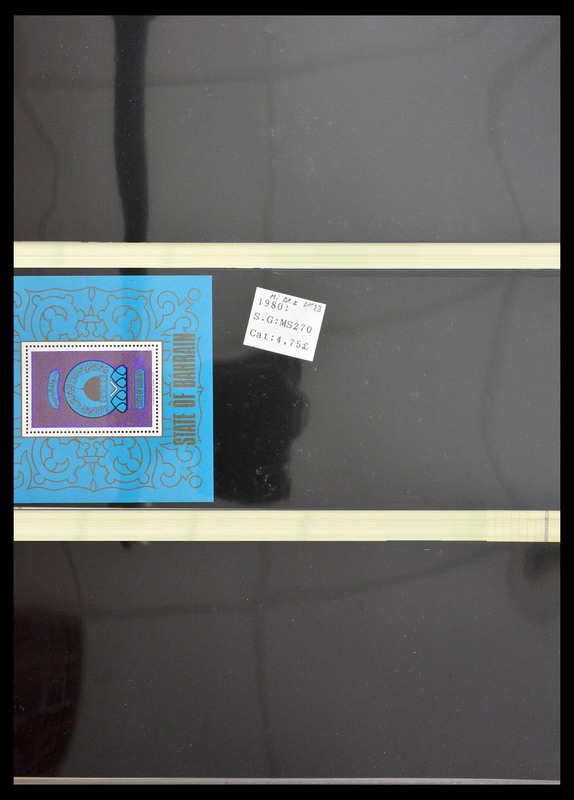 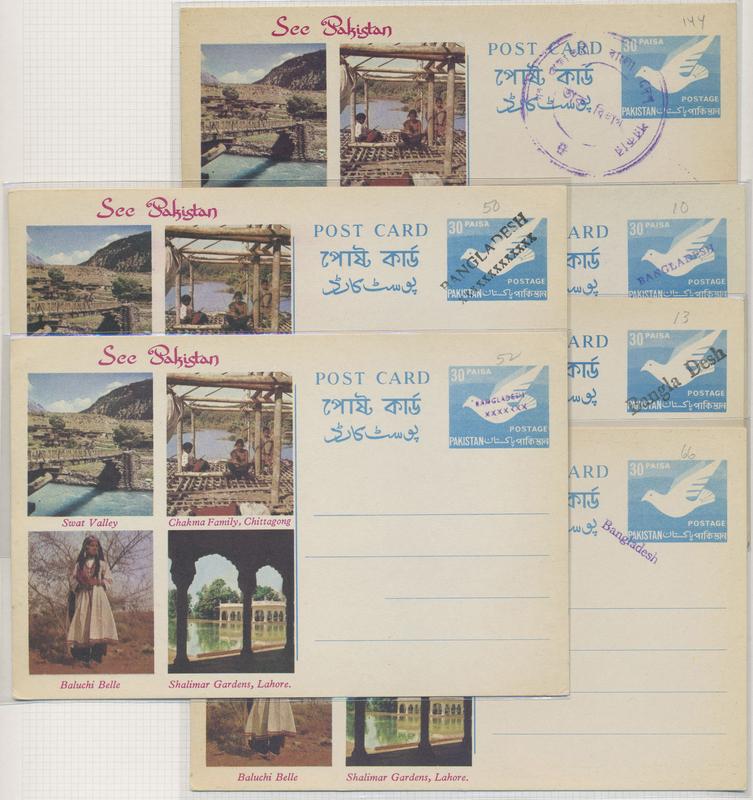 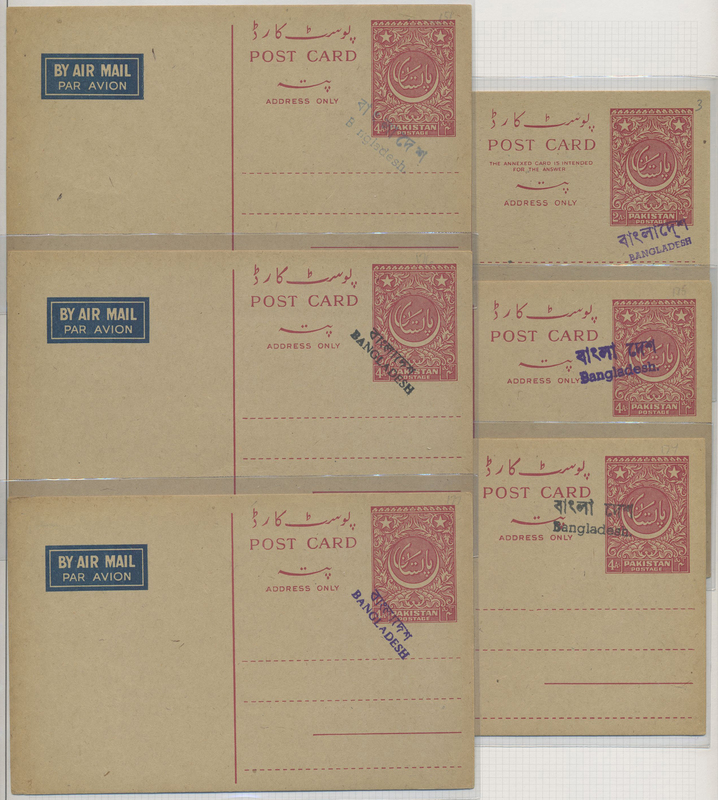 pictured postcards, one card with reversed and inverted watermark, ex. 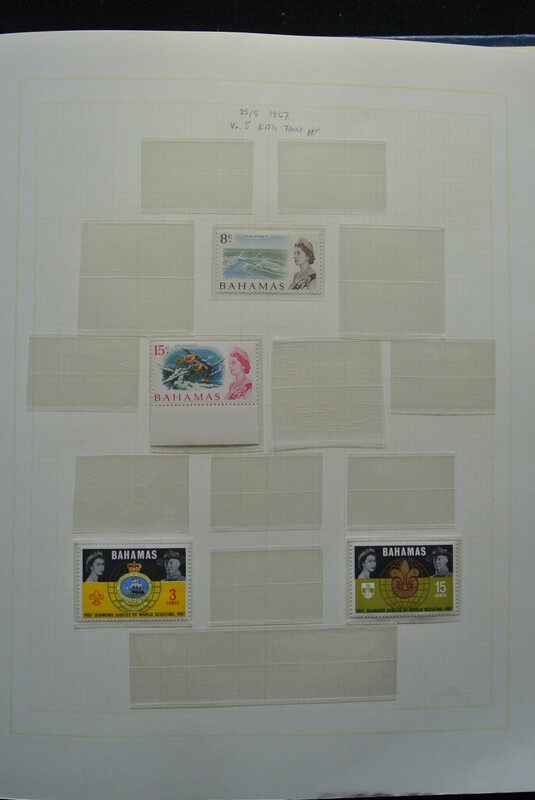 Dr. Krehan. 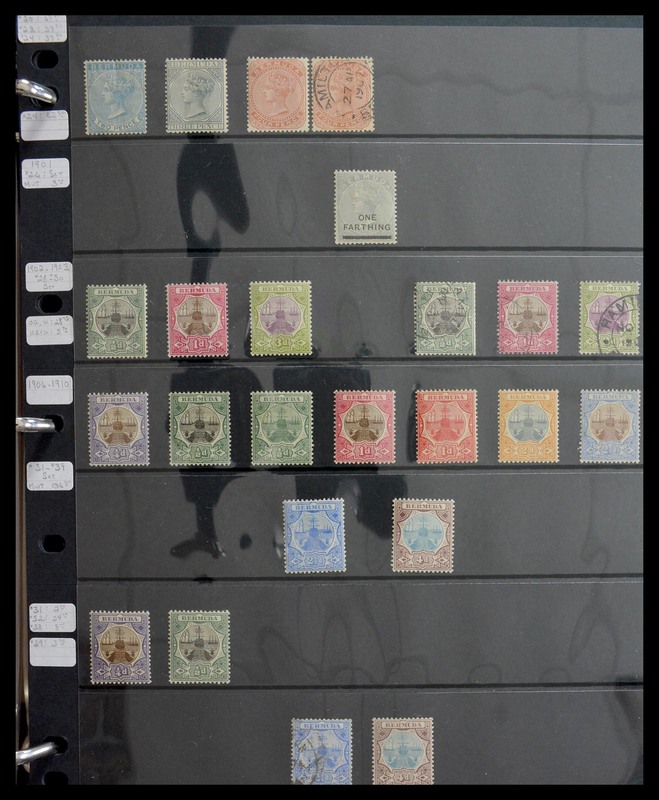 29286 postfrisch (never hinged) ** ungebraucht (hinged) * gestempelt (marked) ungebraucht ohne Gummi (unused without gum) (*) 1886/1960 (ca. 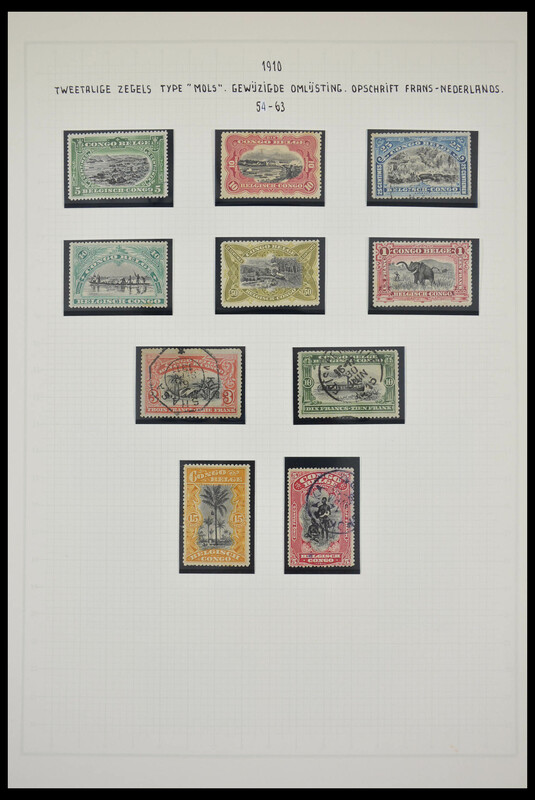 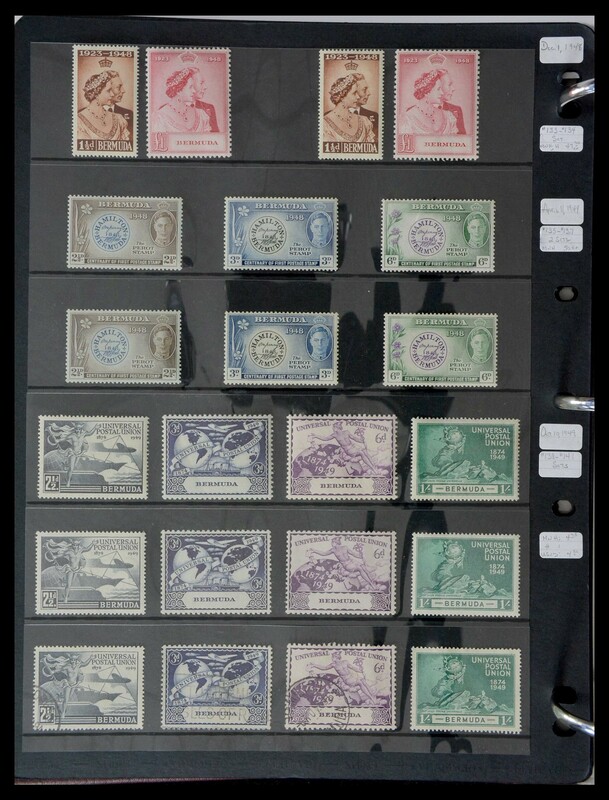 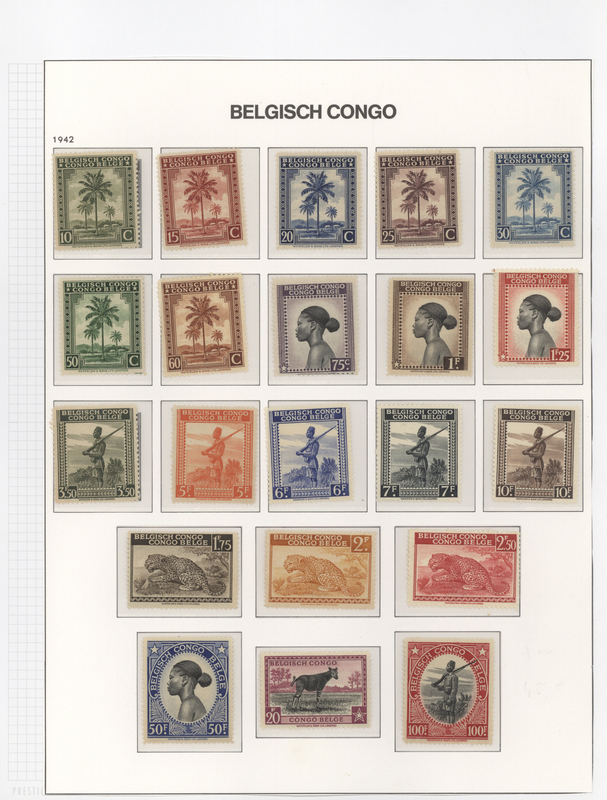 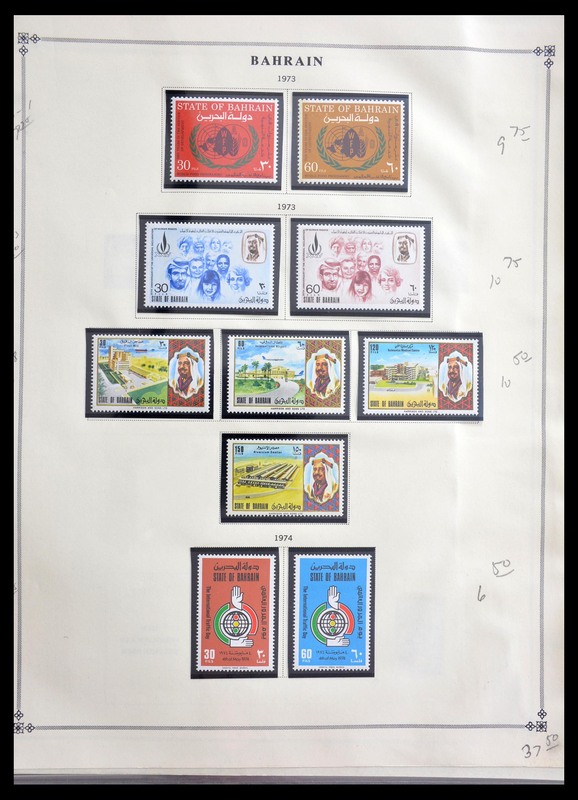 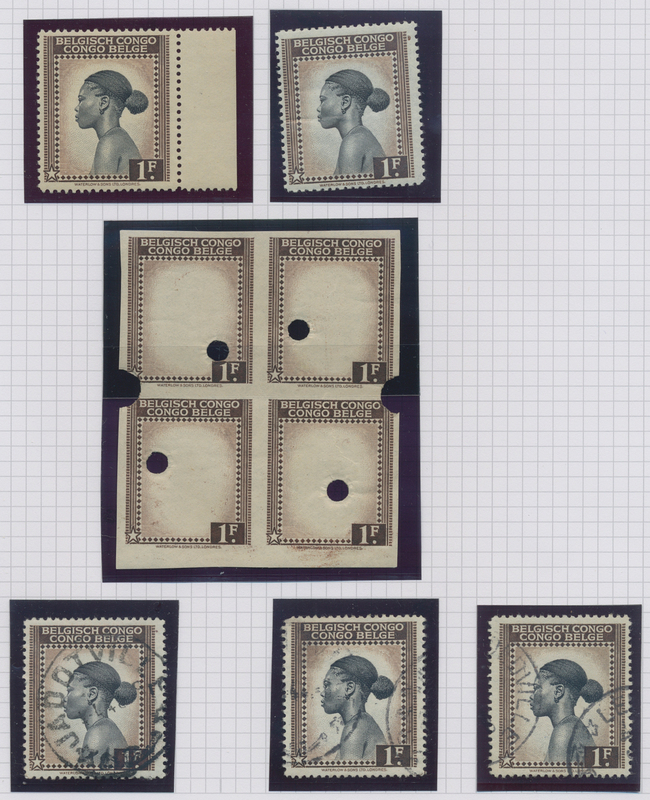 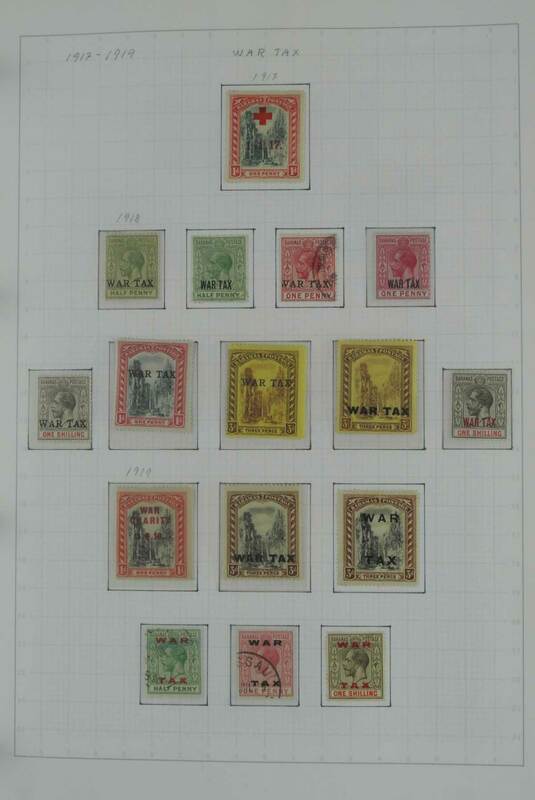 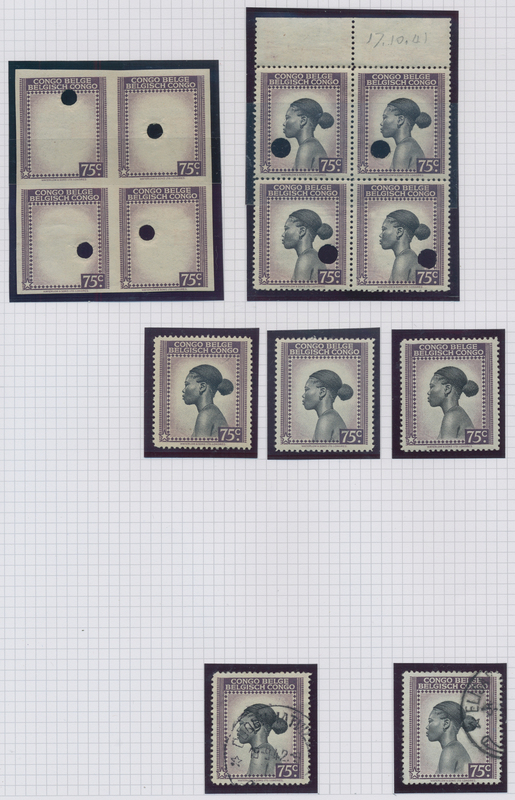 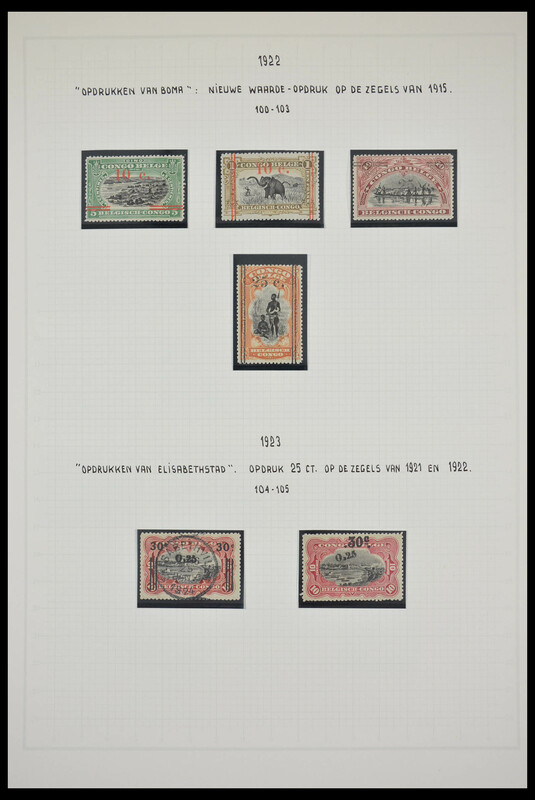 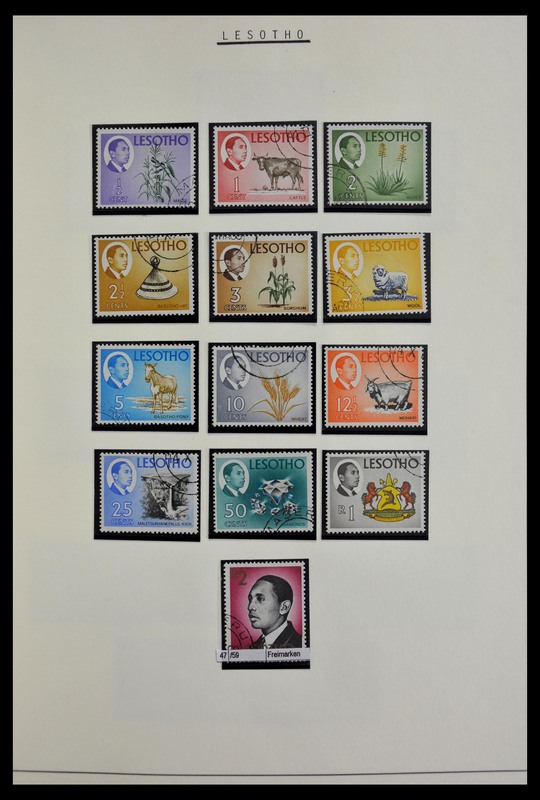 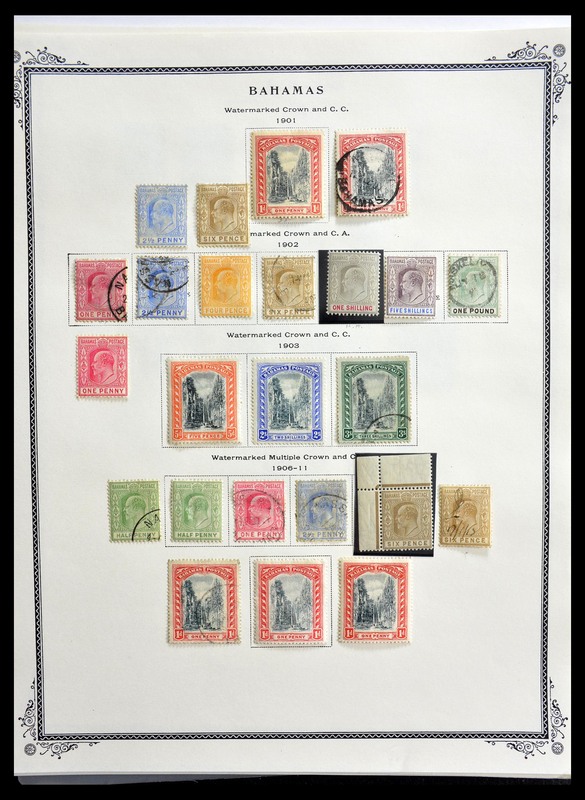 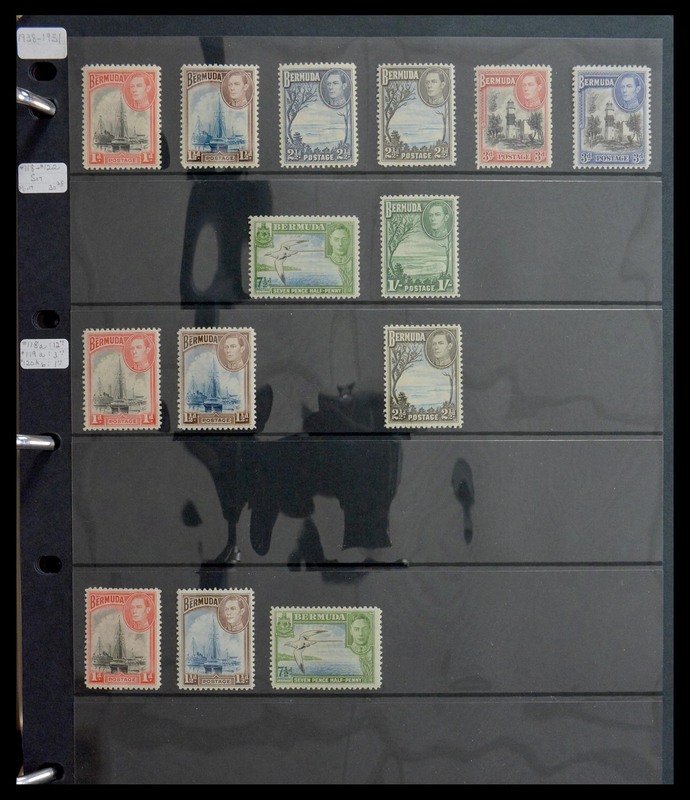 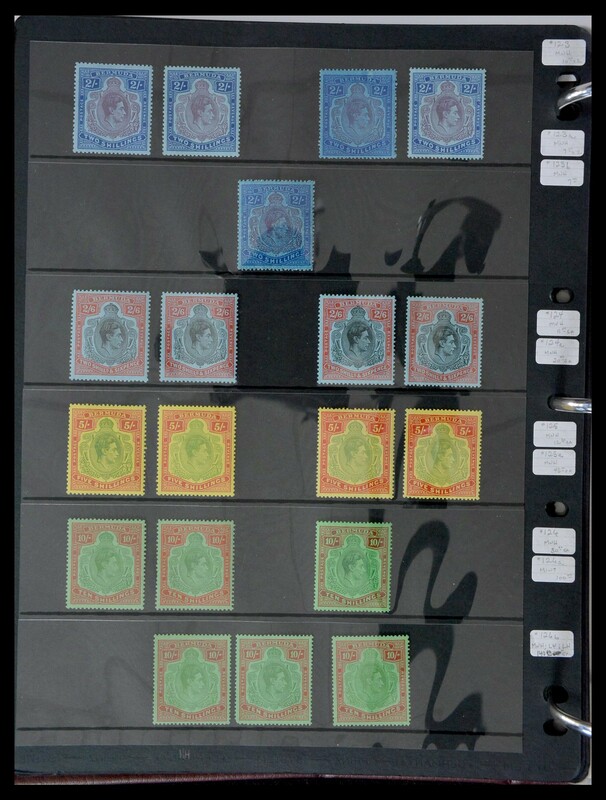 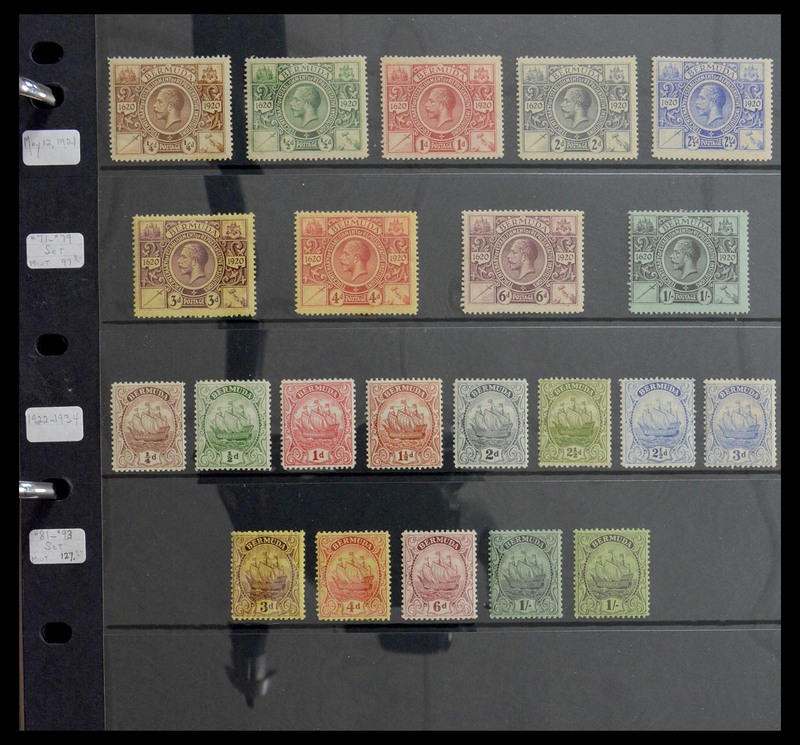 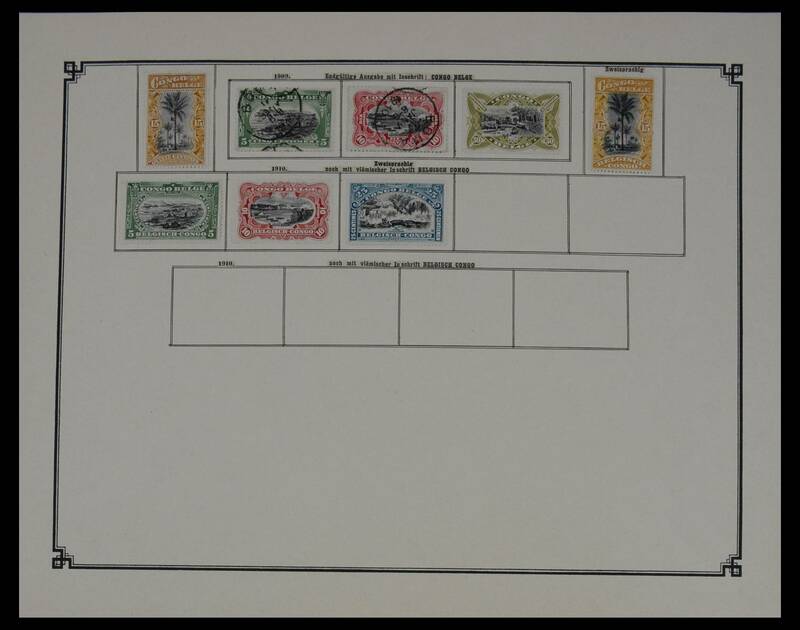 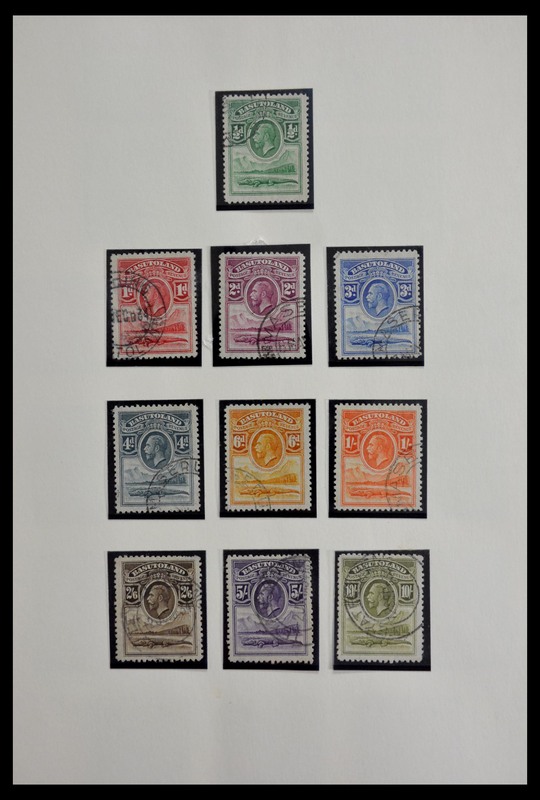 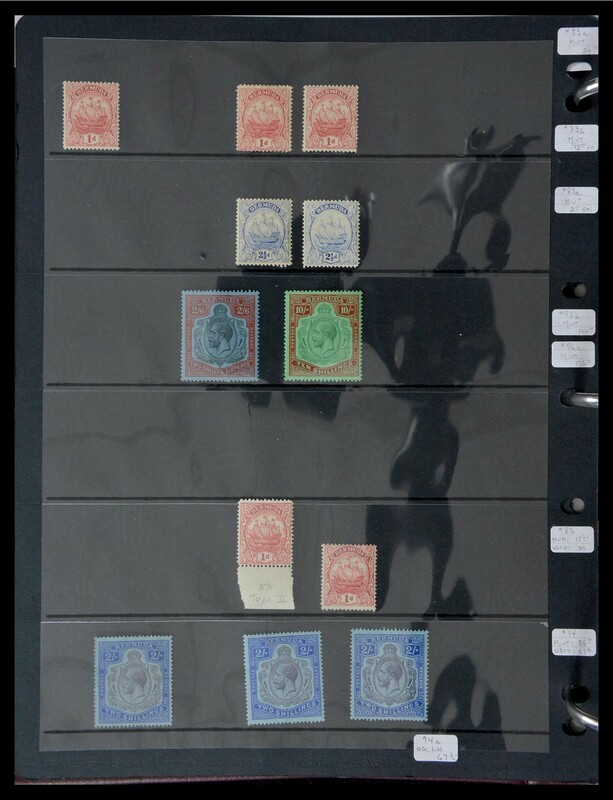 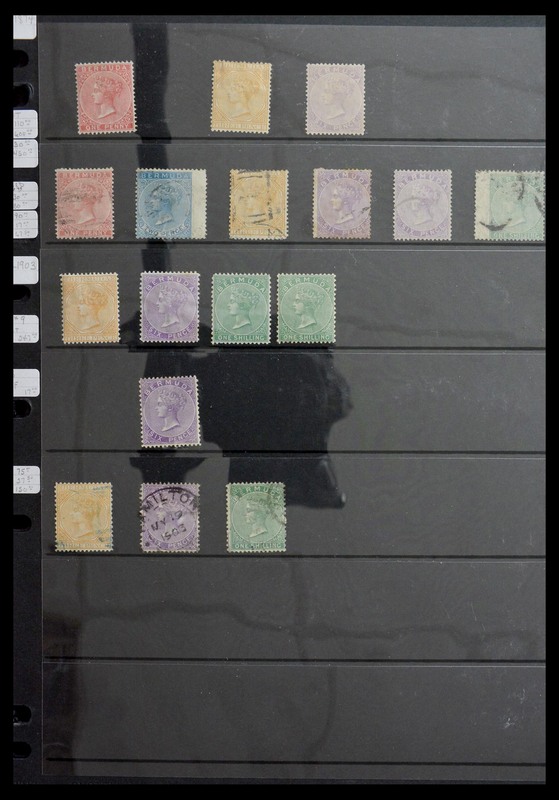 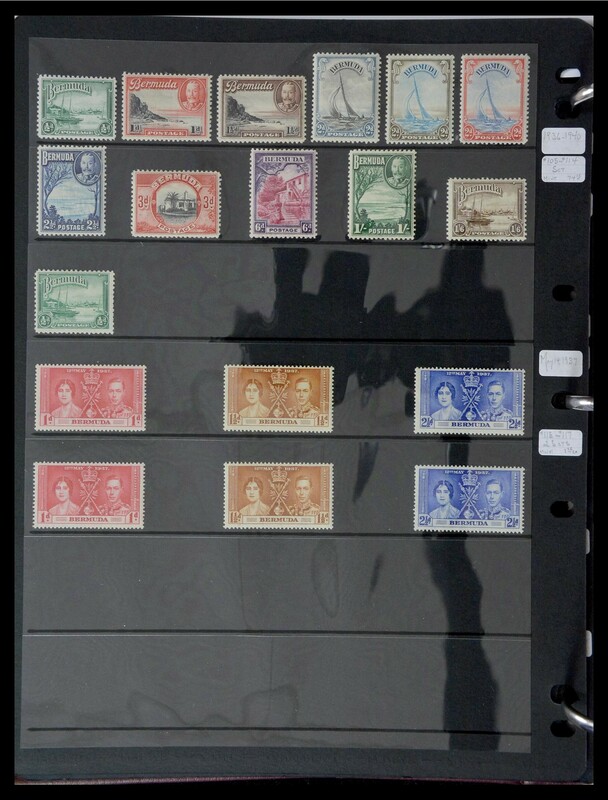 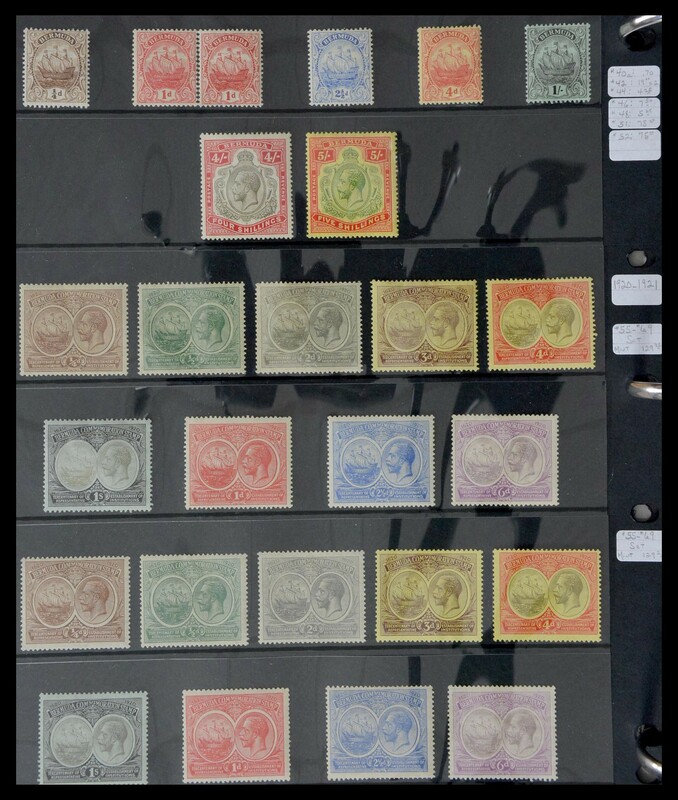 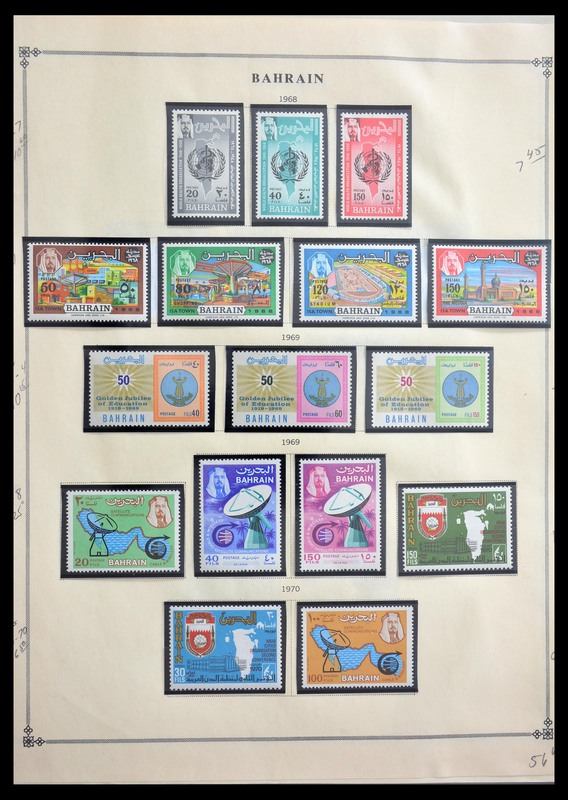 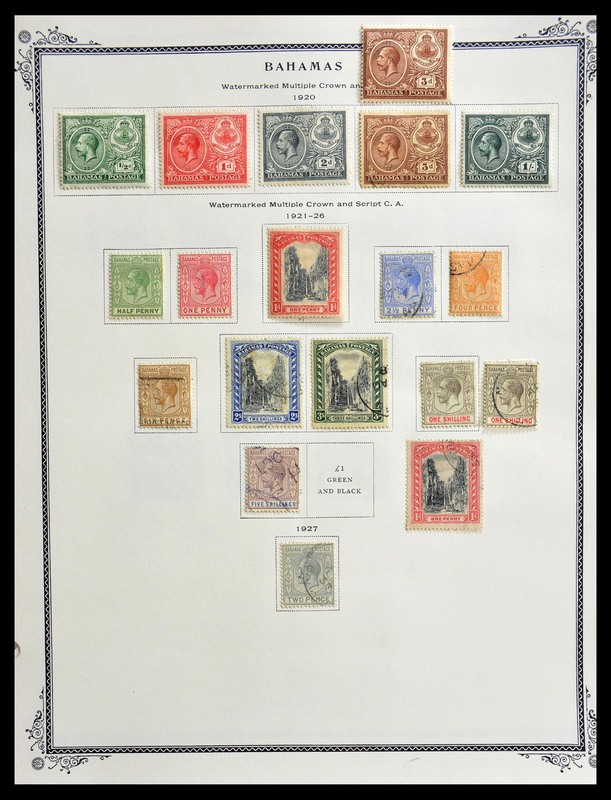 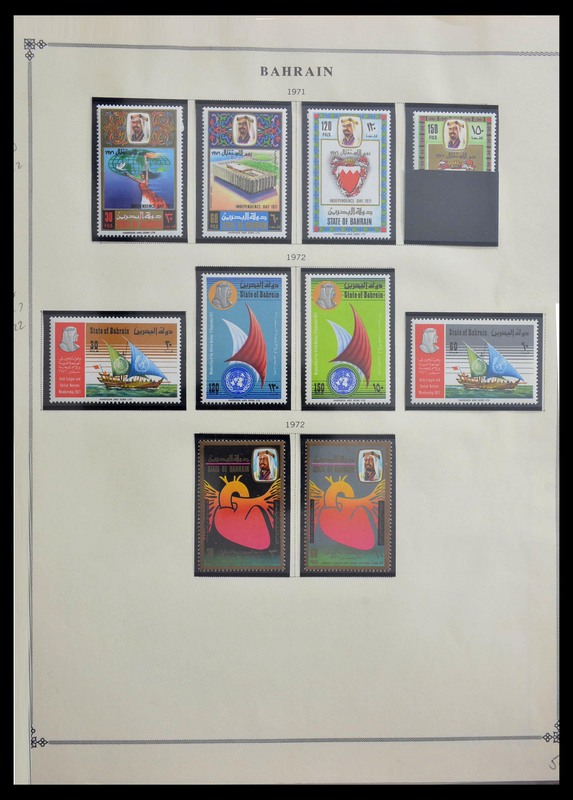 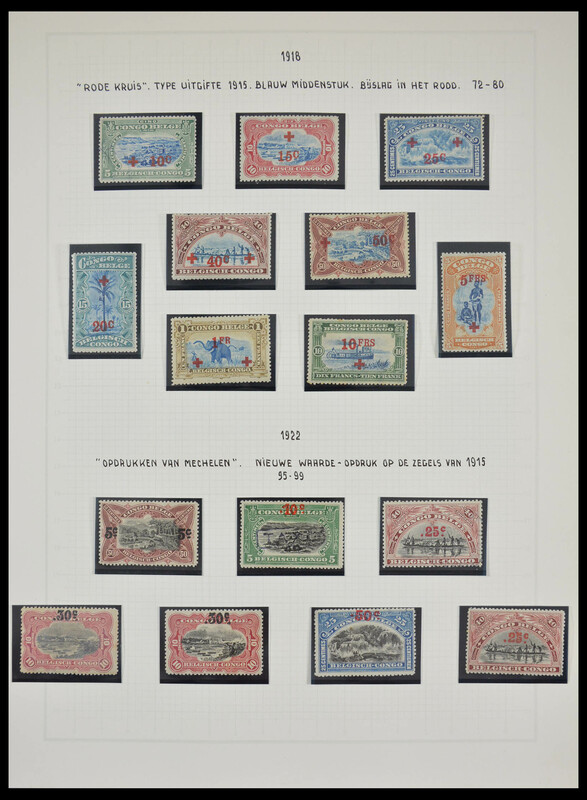 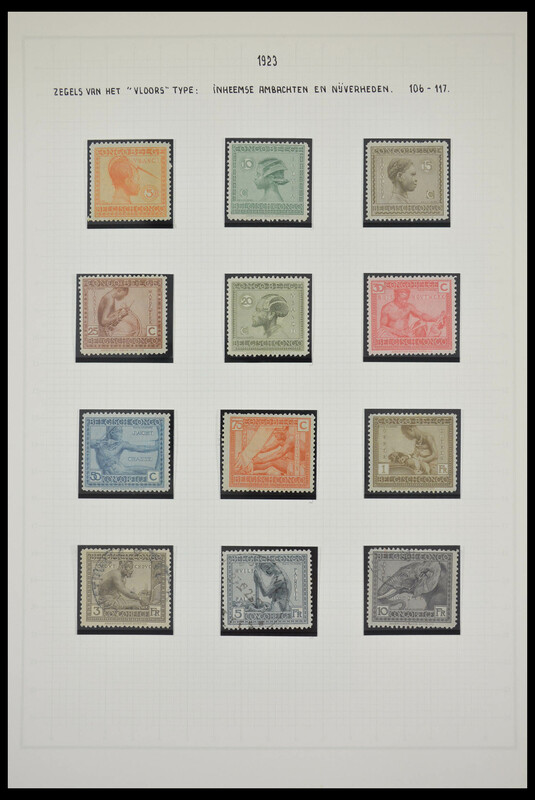 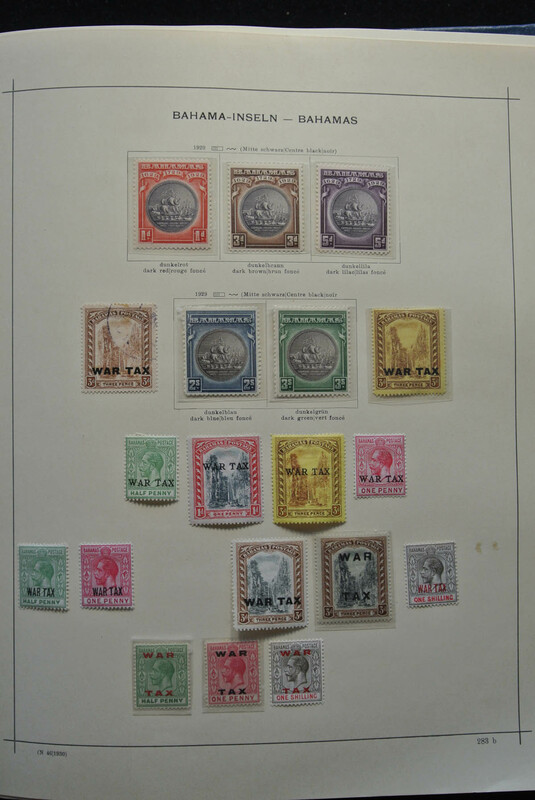 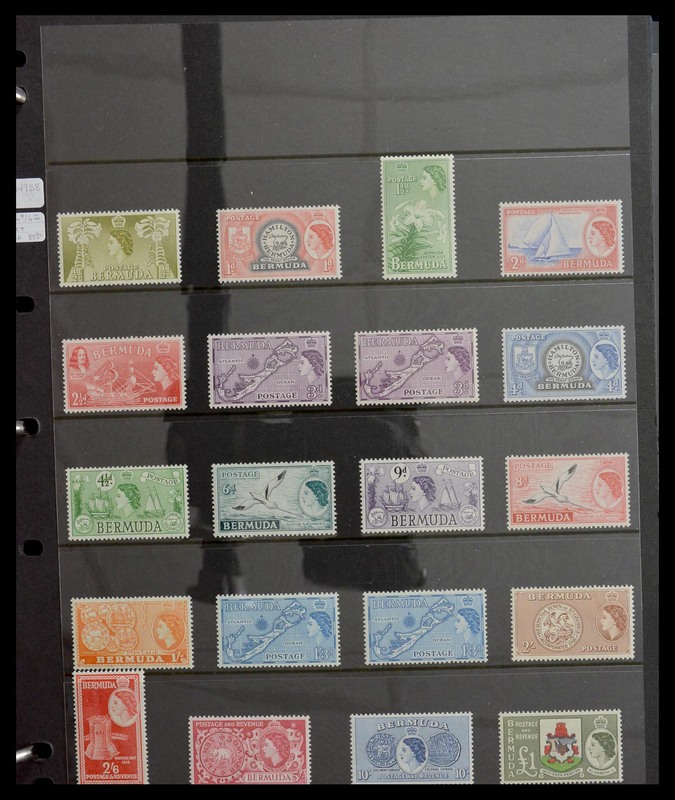 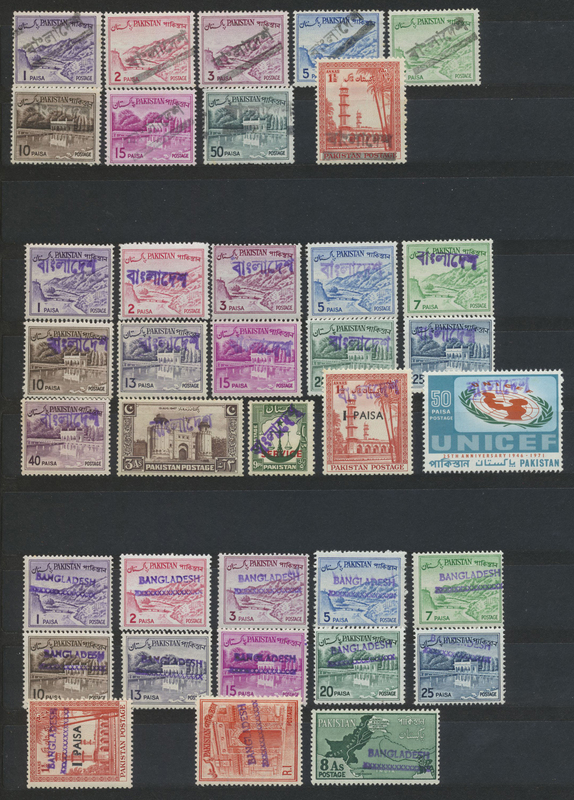 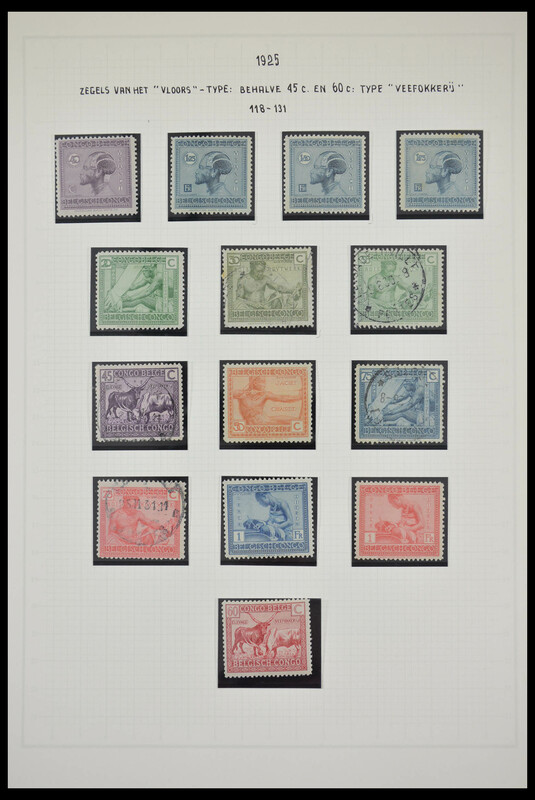 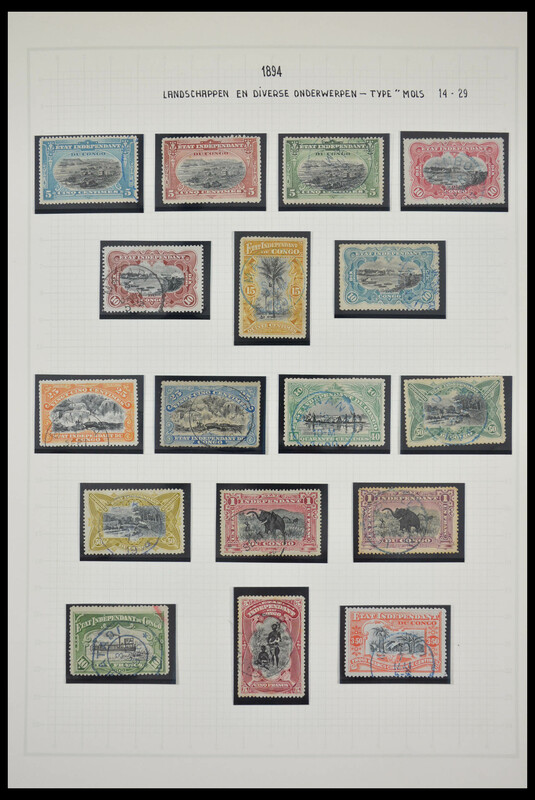 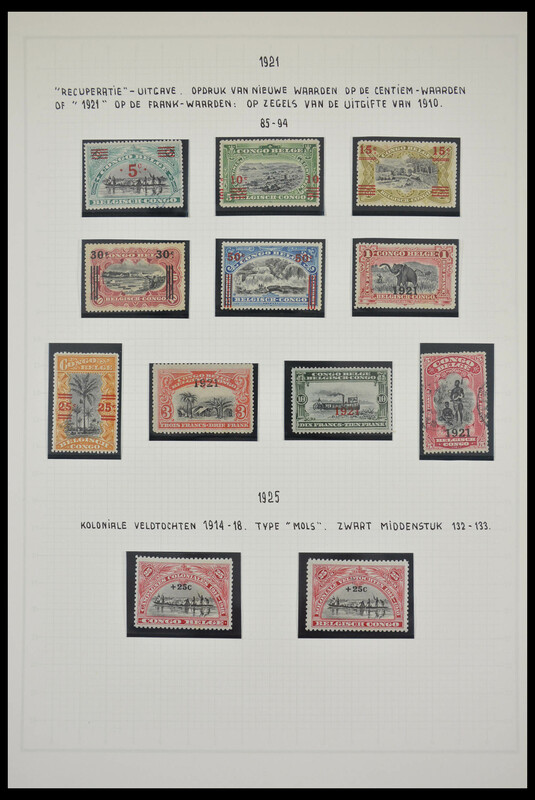 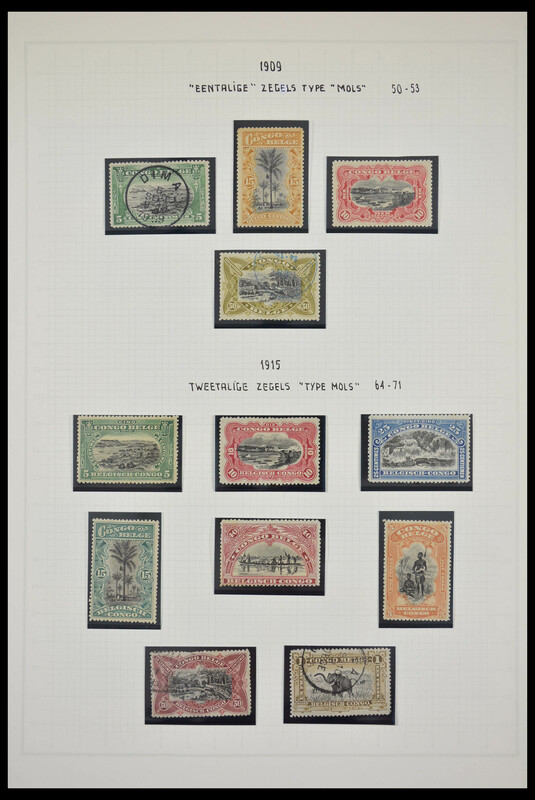 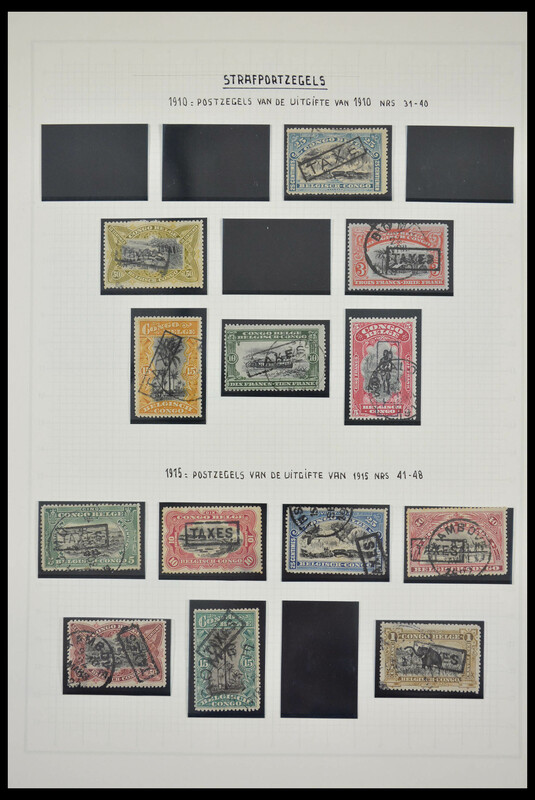 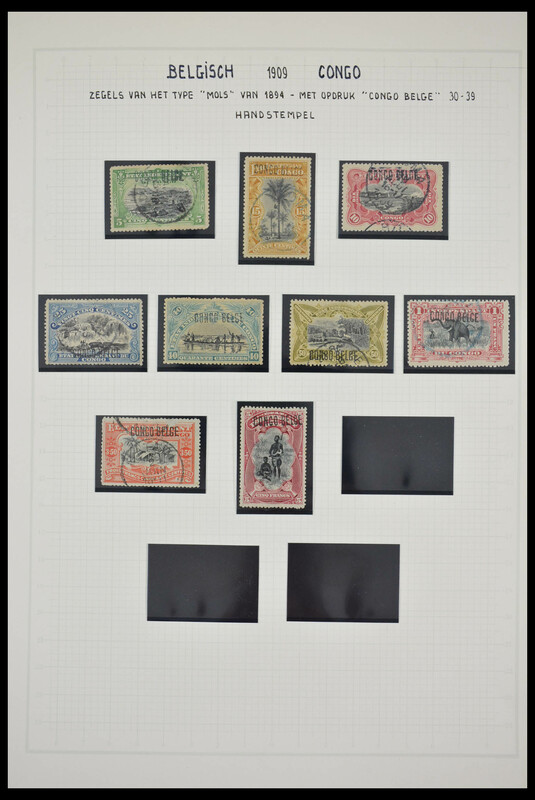 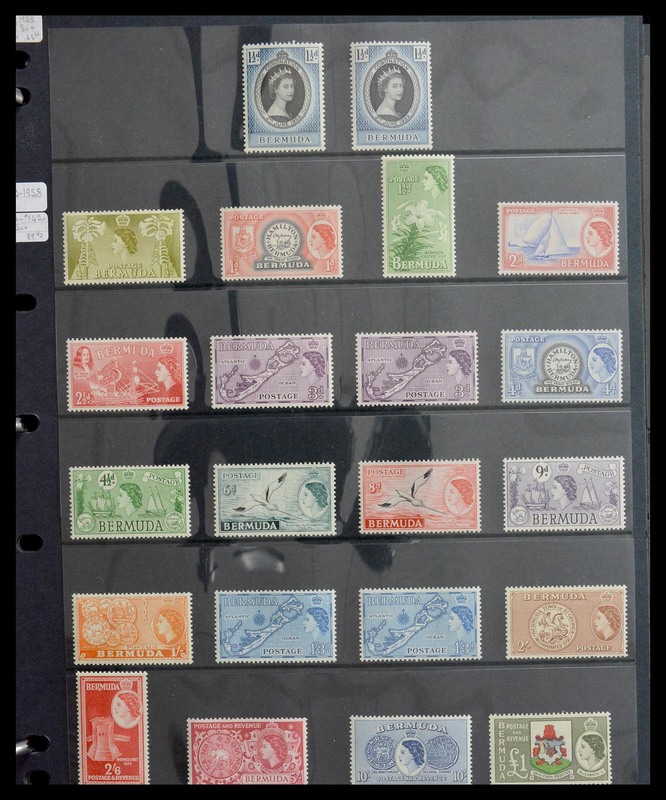 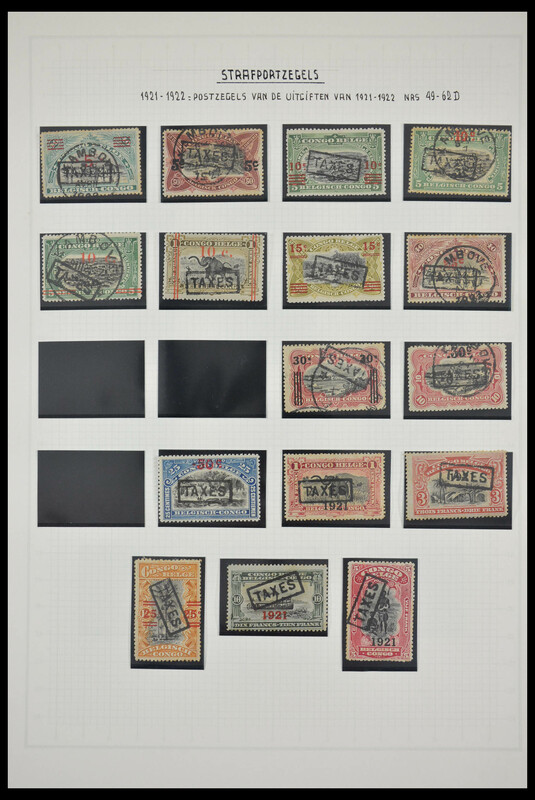 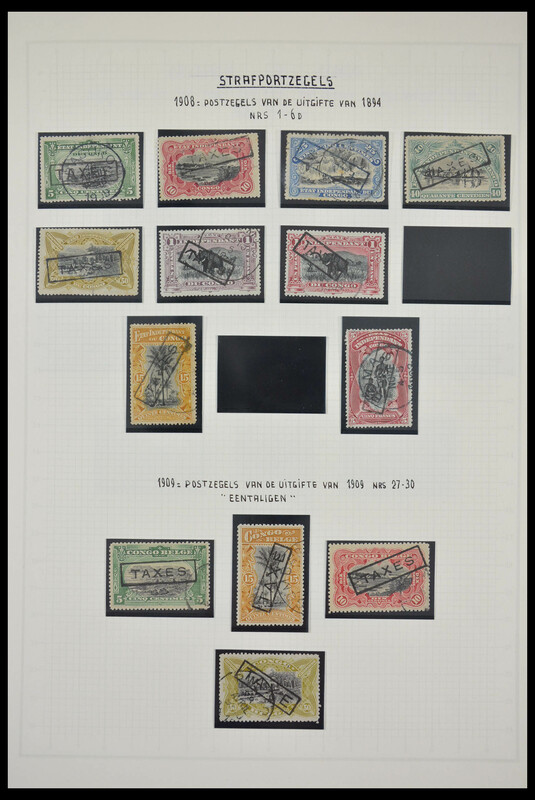 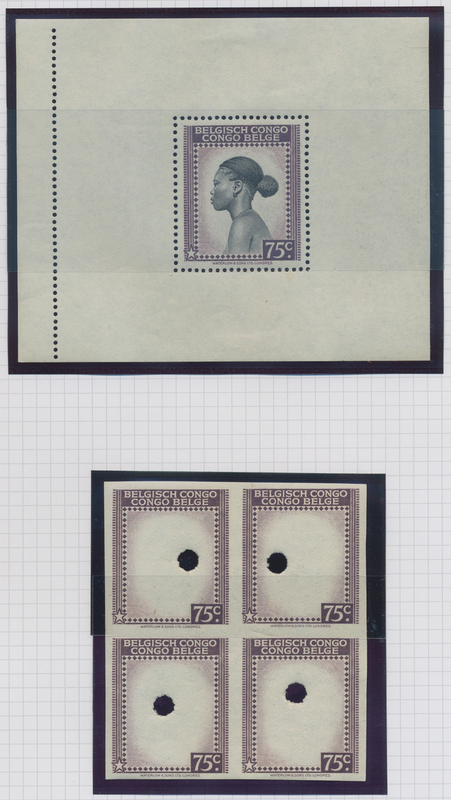 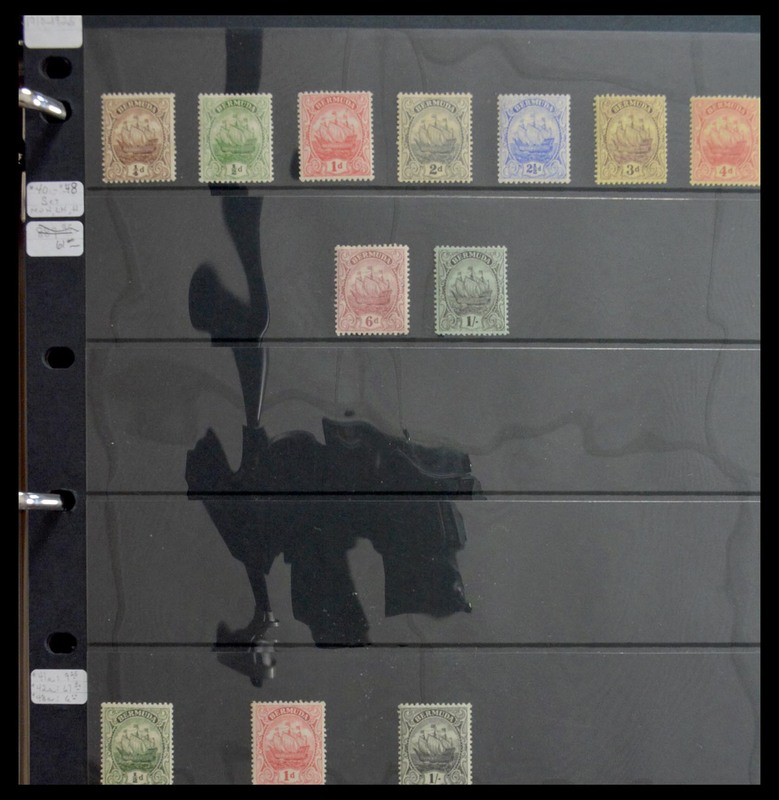 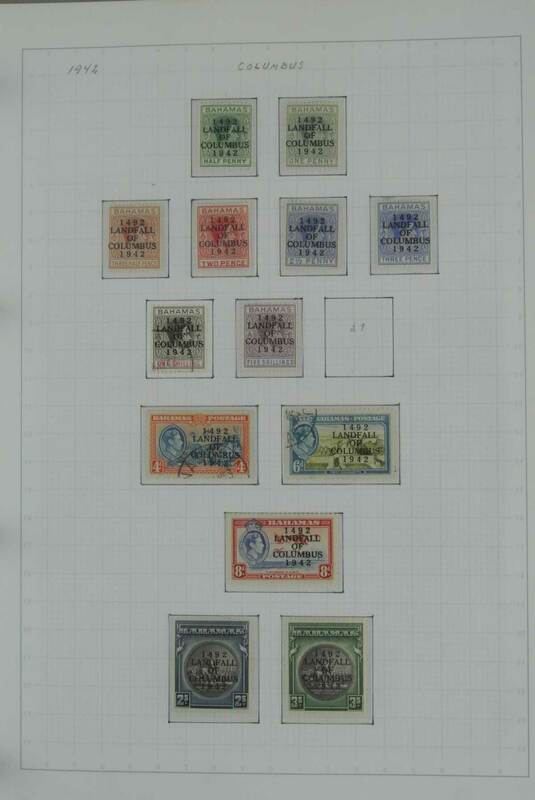 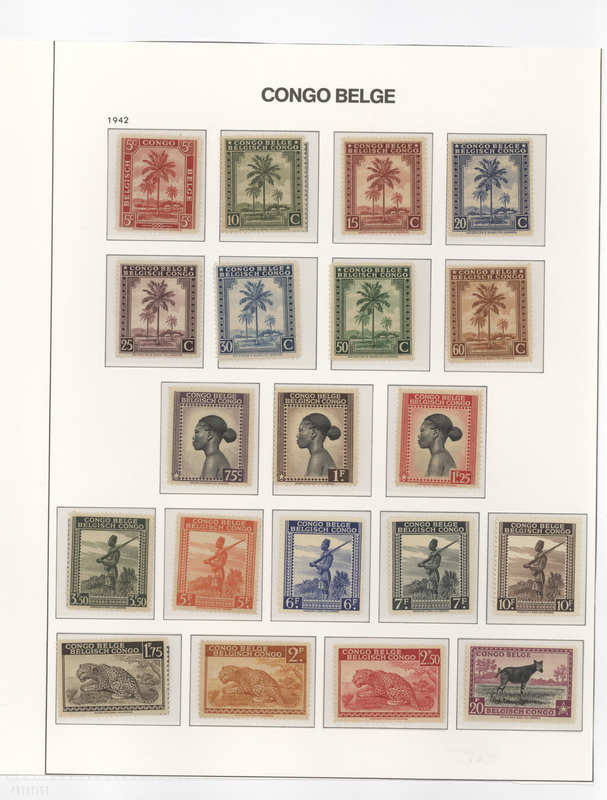 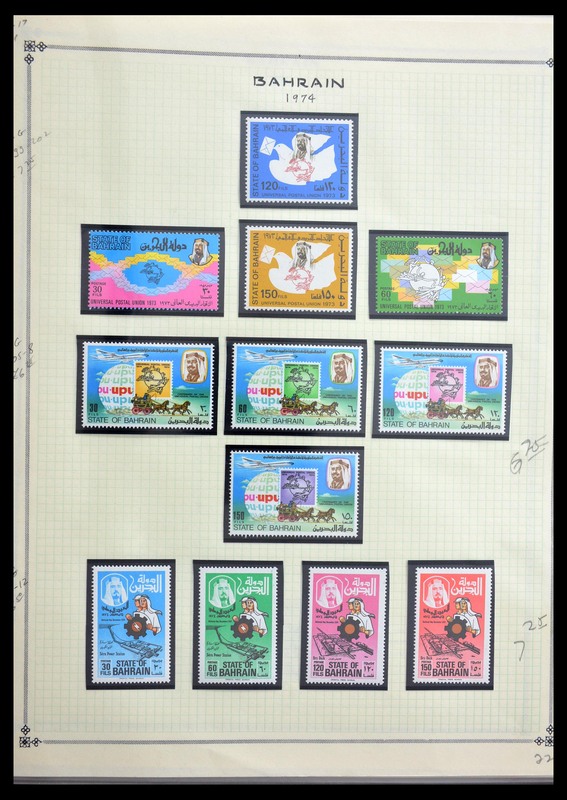 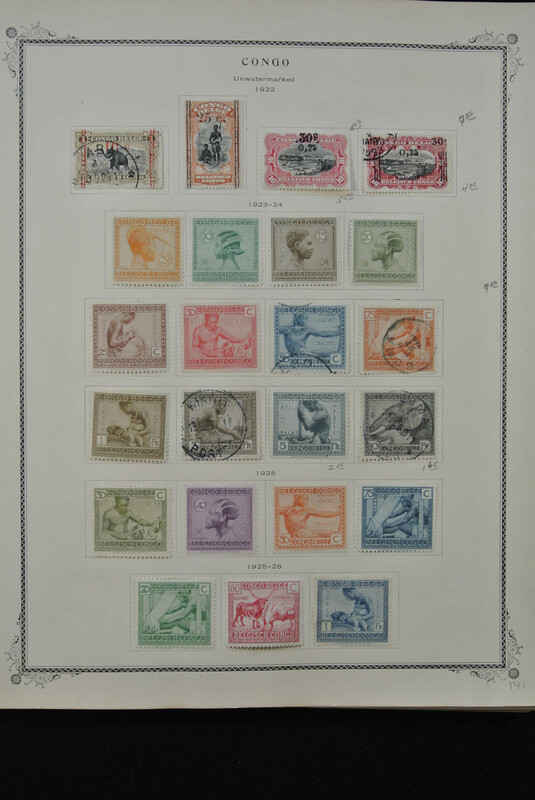 ), Independent Congo State/Belgian Congo/Ruanda Urundi, sophisticated mint and used collection on stockpages with plenty of better material, from early issues incl. 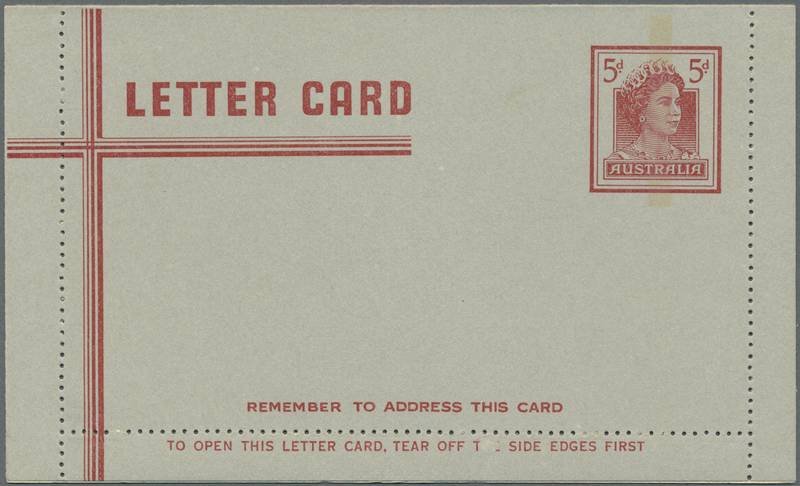 1886 5fr. 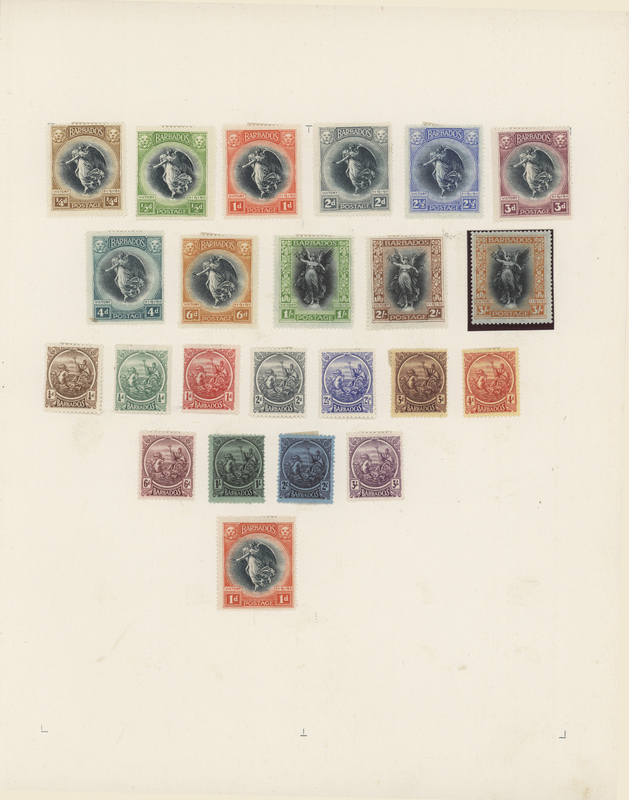 violet, 1887 5fr. 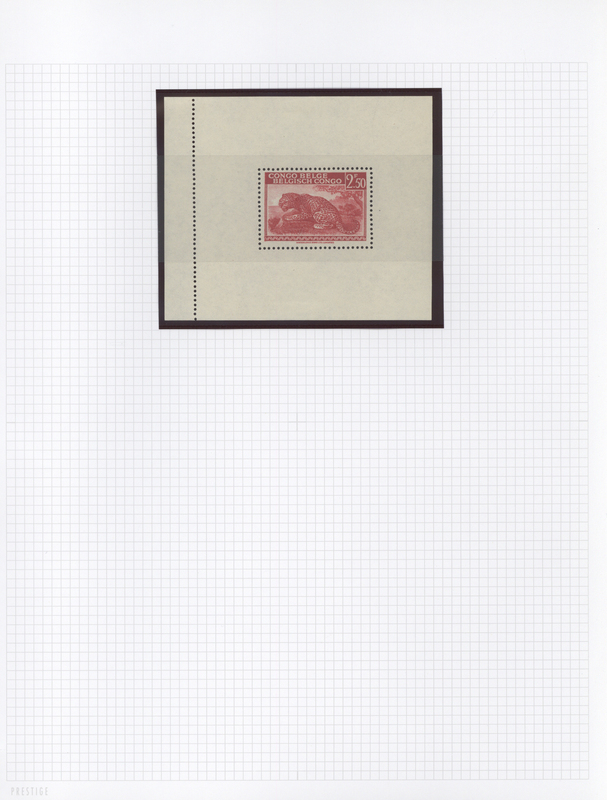 lilac, 1891 10fr. 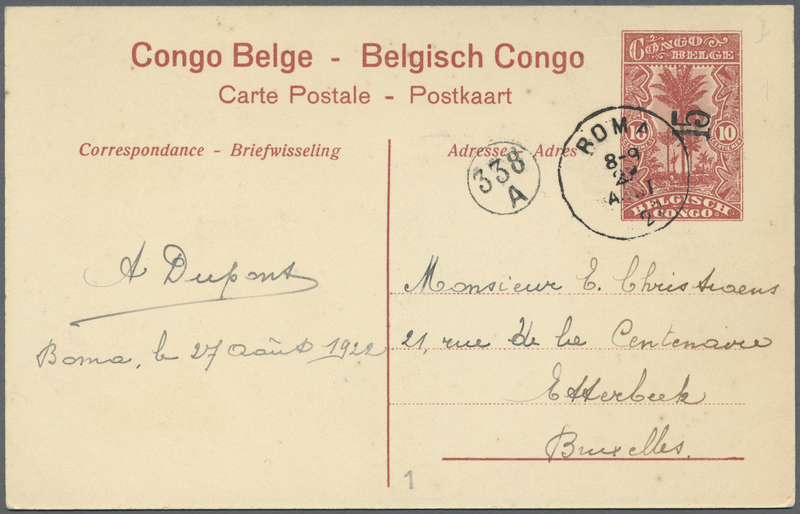 bistre, 1892 5fr. 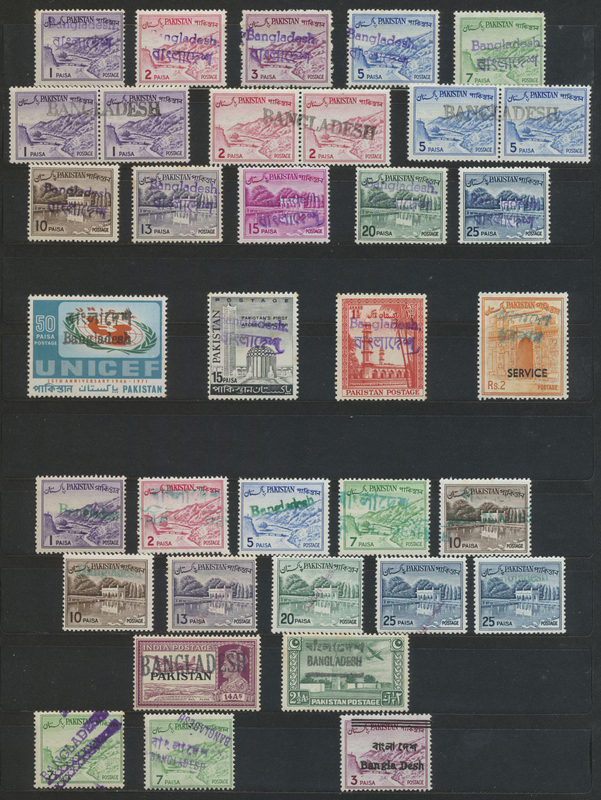 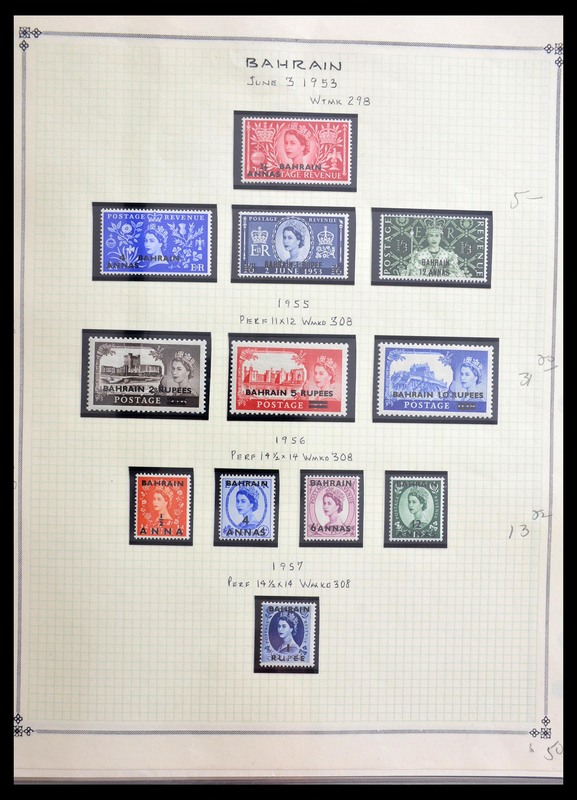 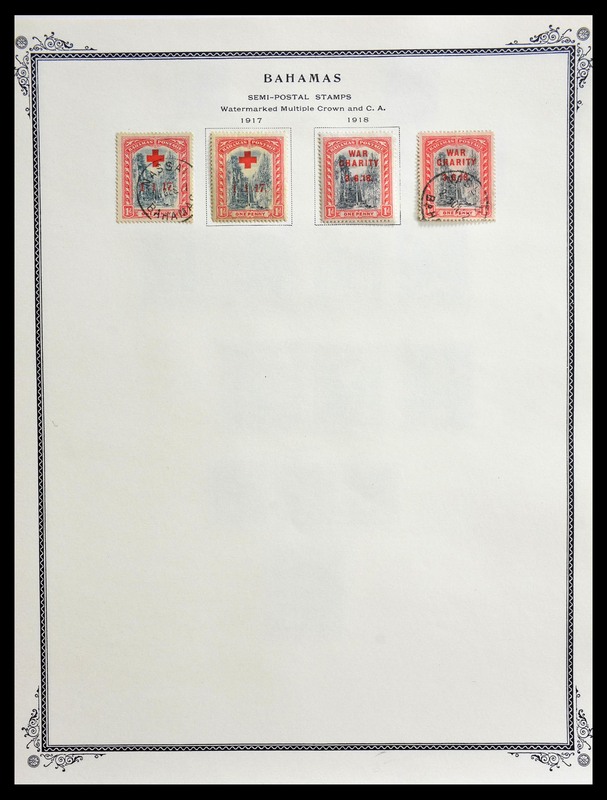 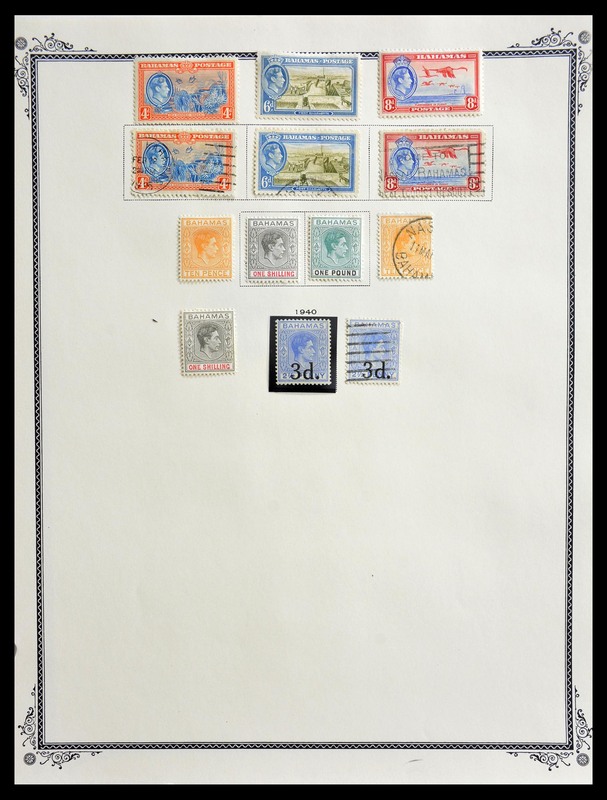 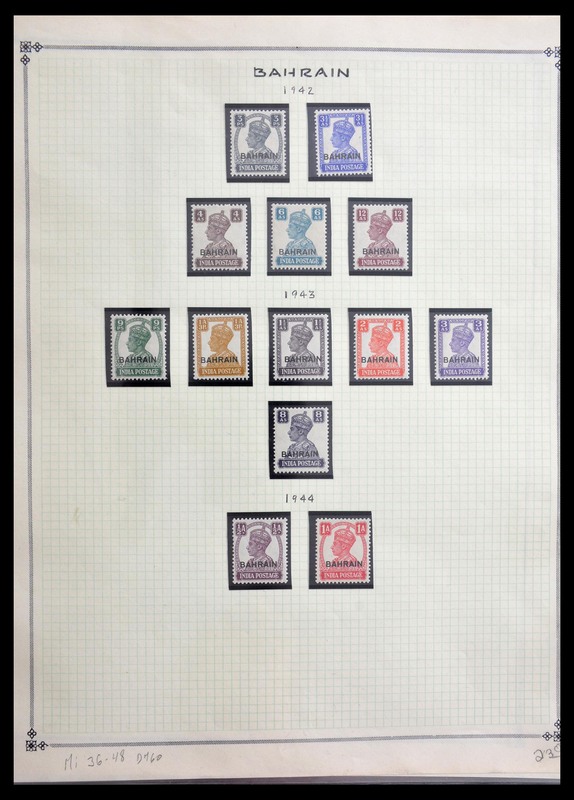 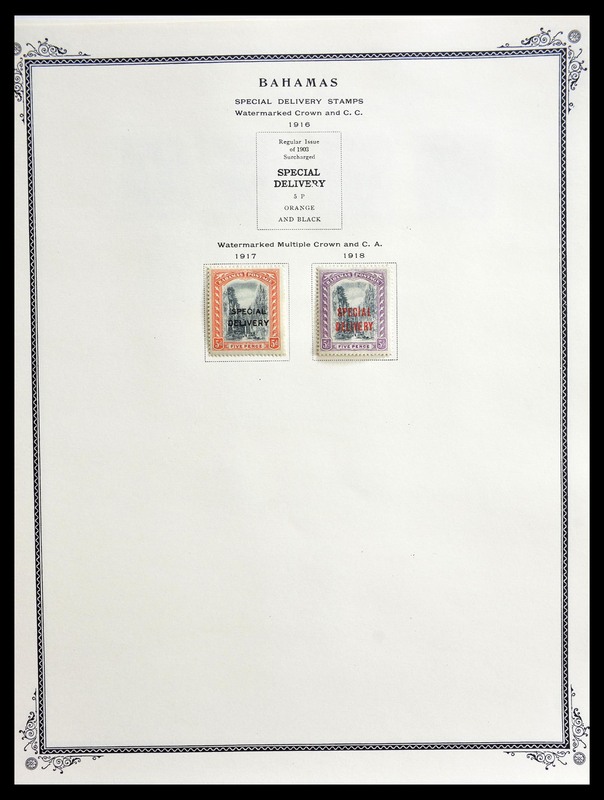 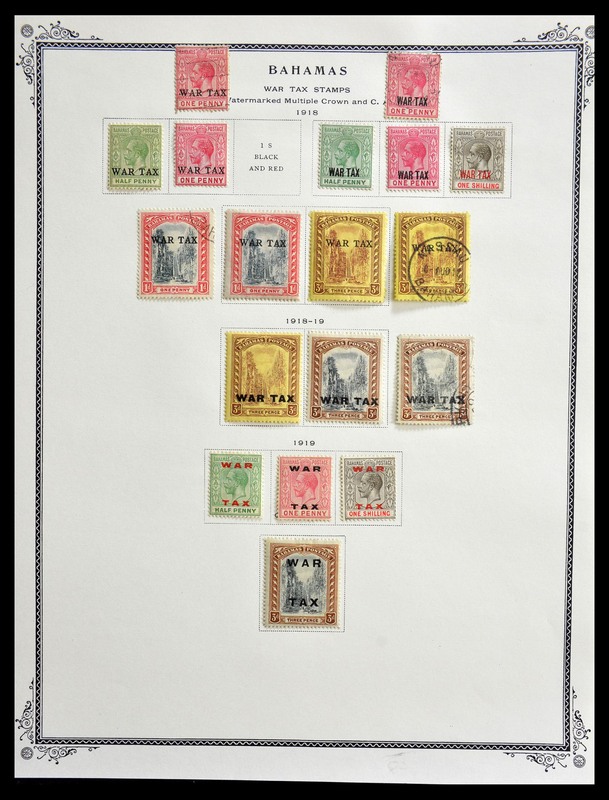 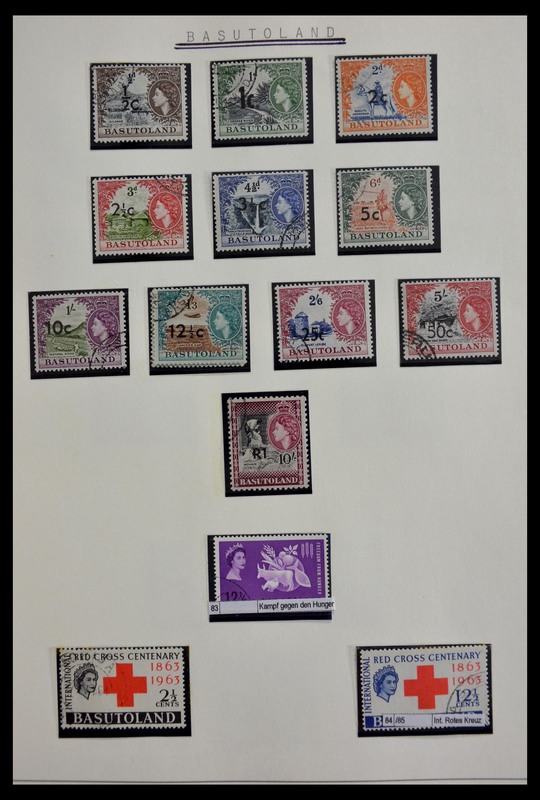 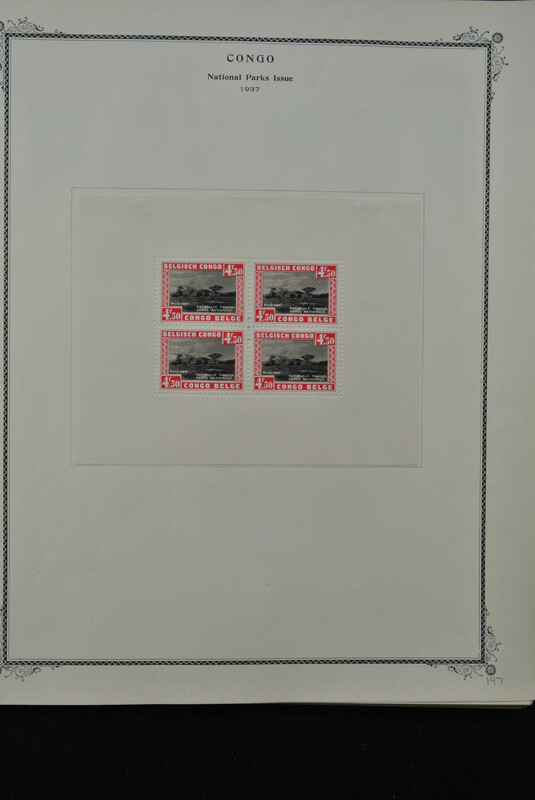 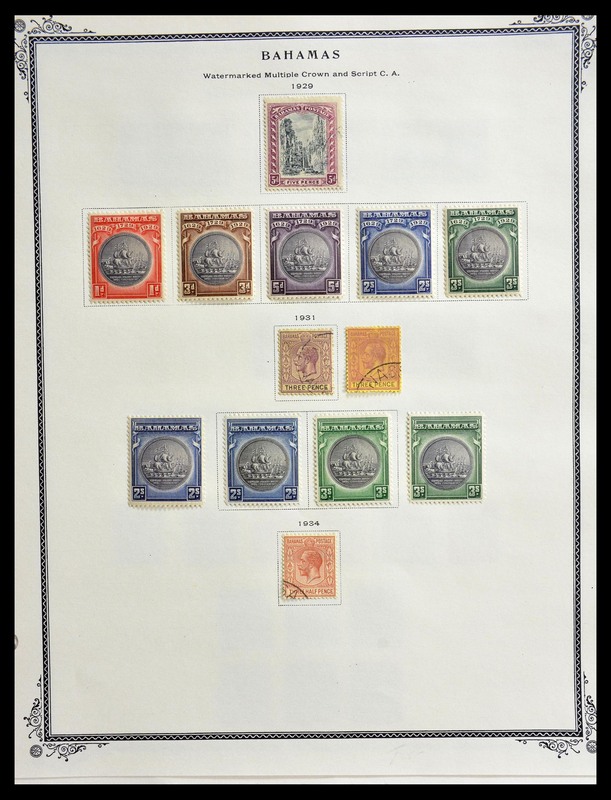 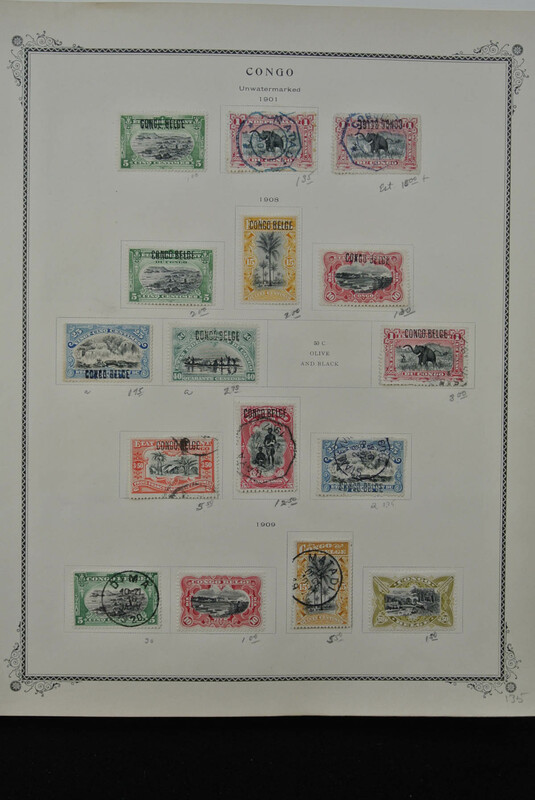 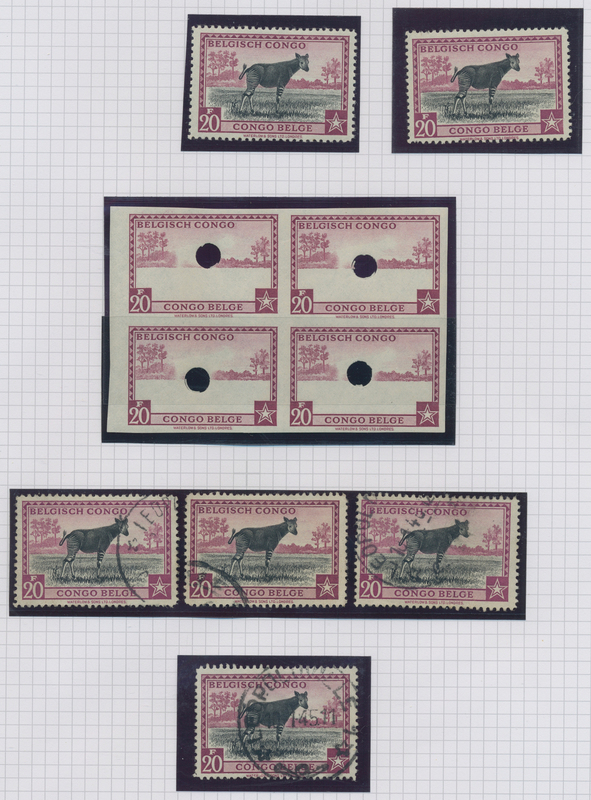 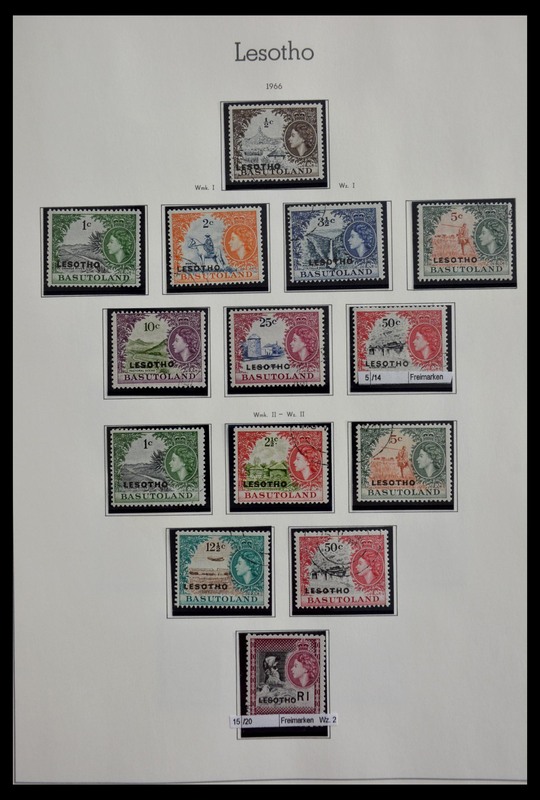 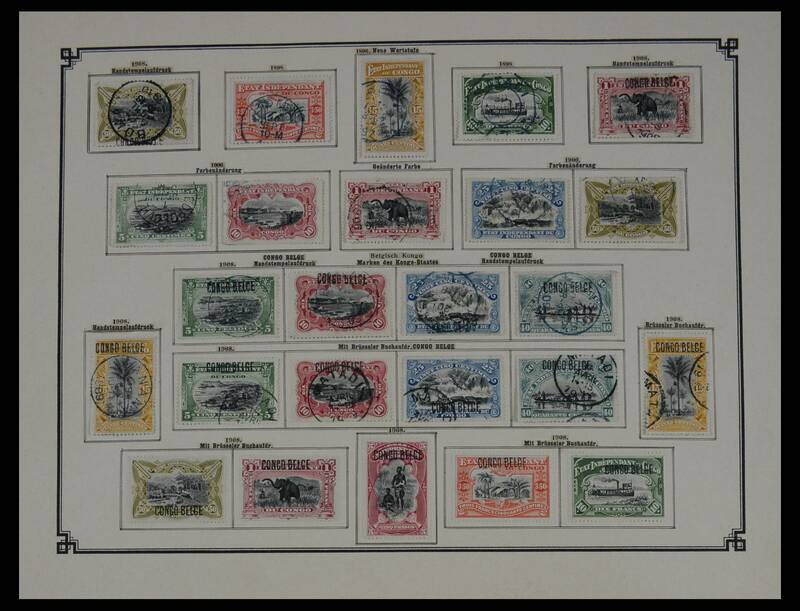 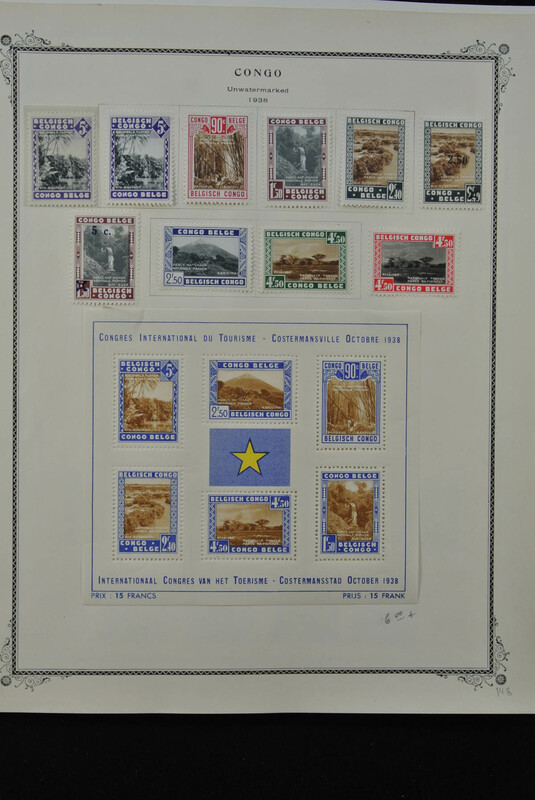 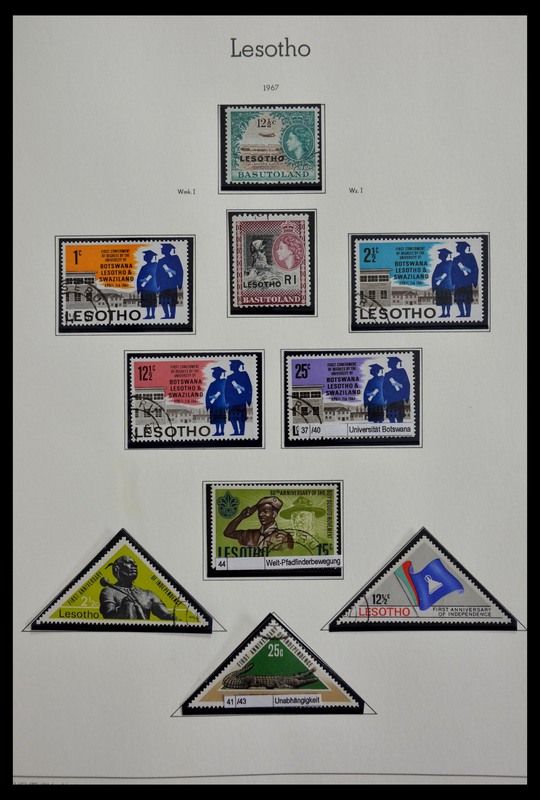 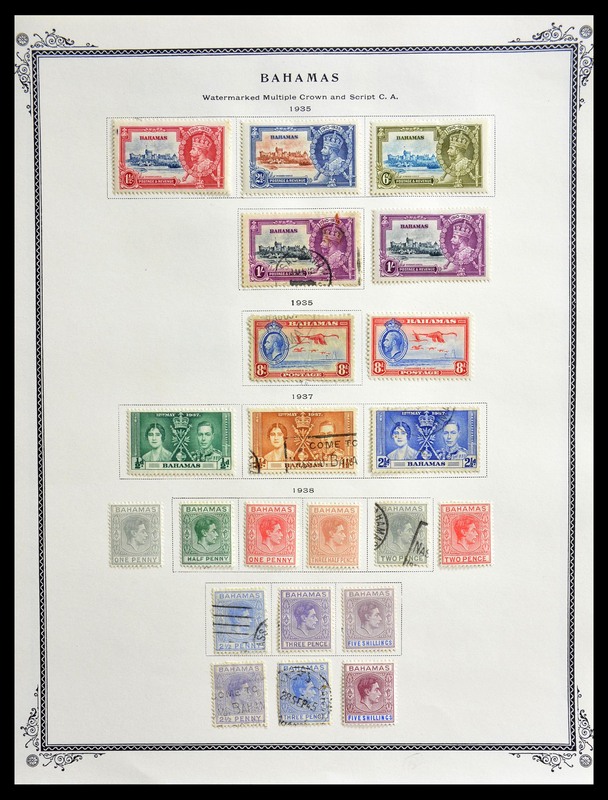 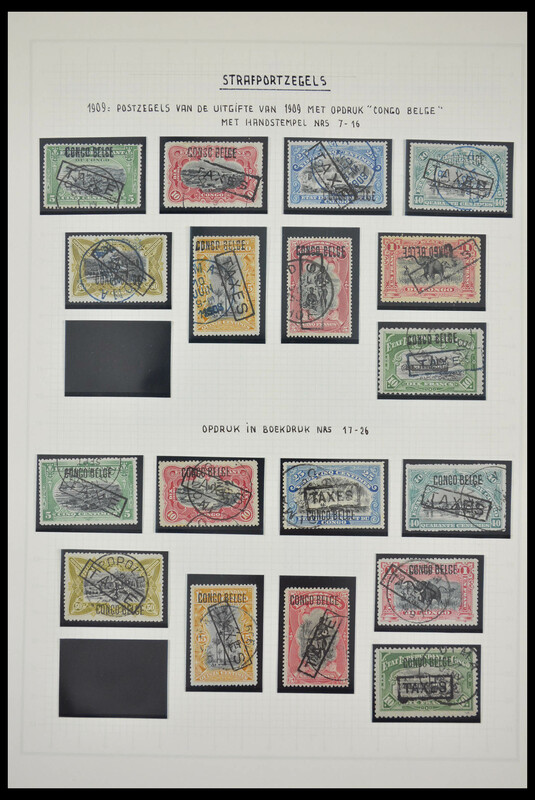 grey, 1909 "CONGO BELGE" handstamps 10 values, 1918 Red Cross, occupation of German East Africa, souvenir sheets, airmail inverted overprint, strong section postage dues etc. 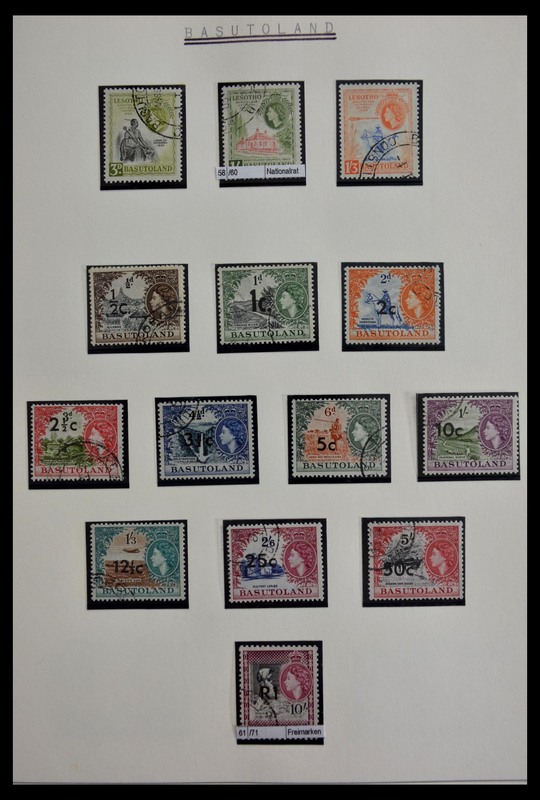 29294 Ganzsache (Complete) 1968/85 (ca.) 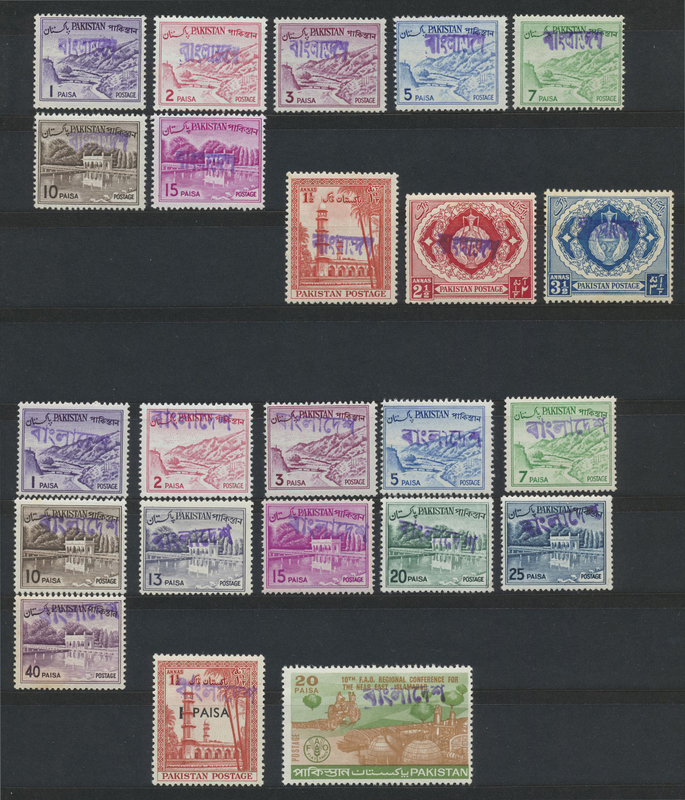 accumulation of ca. 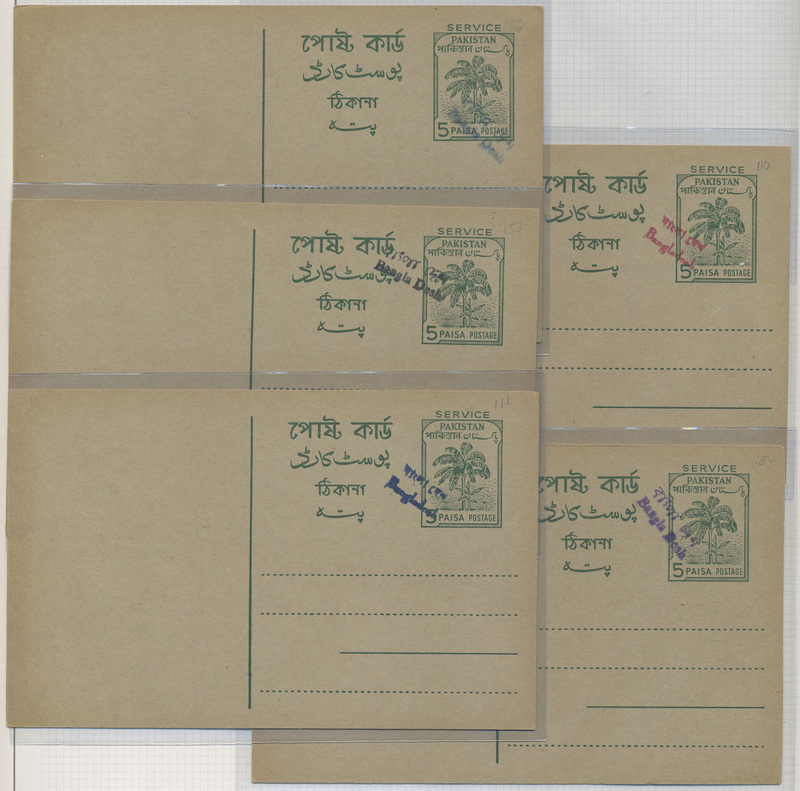 134aerogrammes mostly unused, some CTO canceled and some on postal service/O.H.M.S. 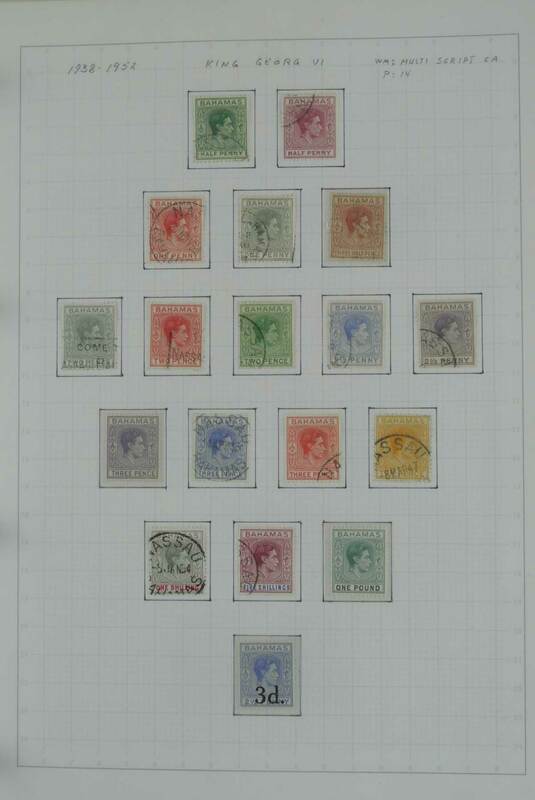 29295 253 PR 1980. 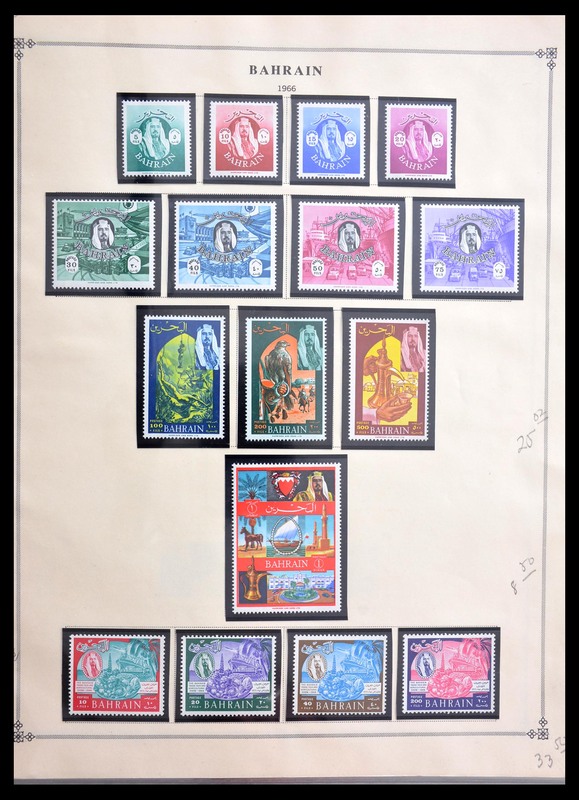 50 Fr Jacques Offenbach, original artist drawing. 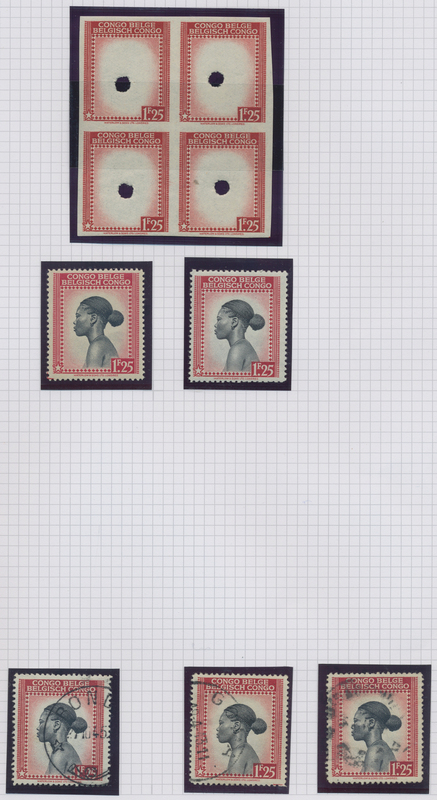 29297 gestempelt (marked) SG 116-121 (35) 1938-1953: Group of 35 used KGVI. 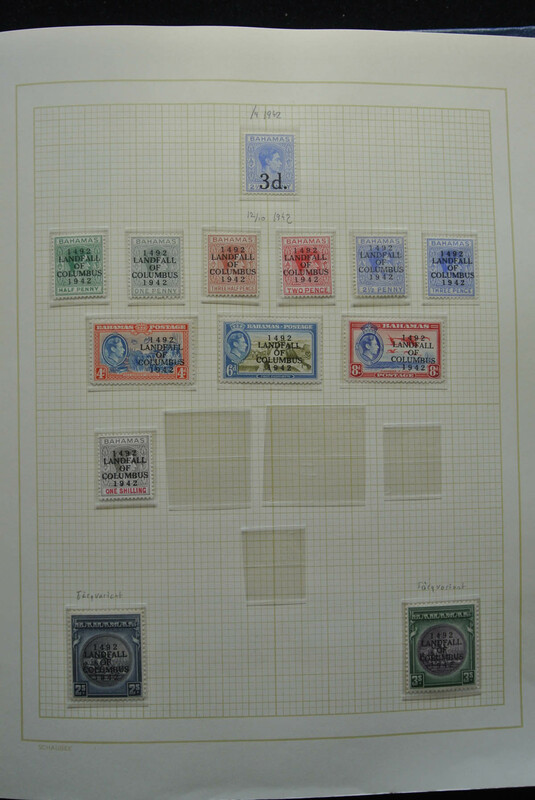 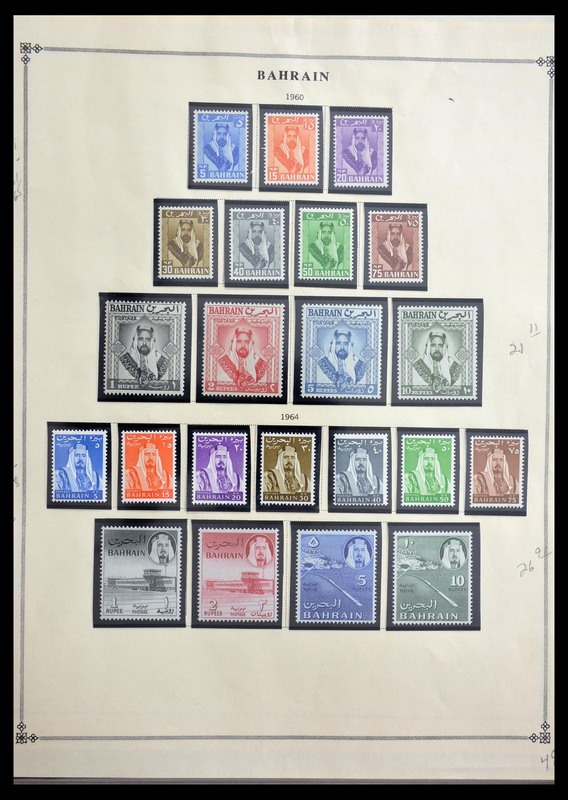 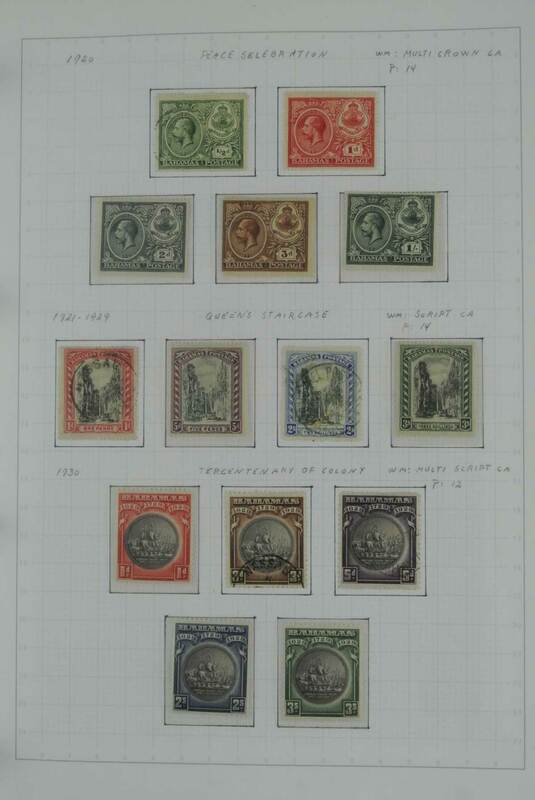 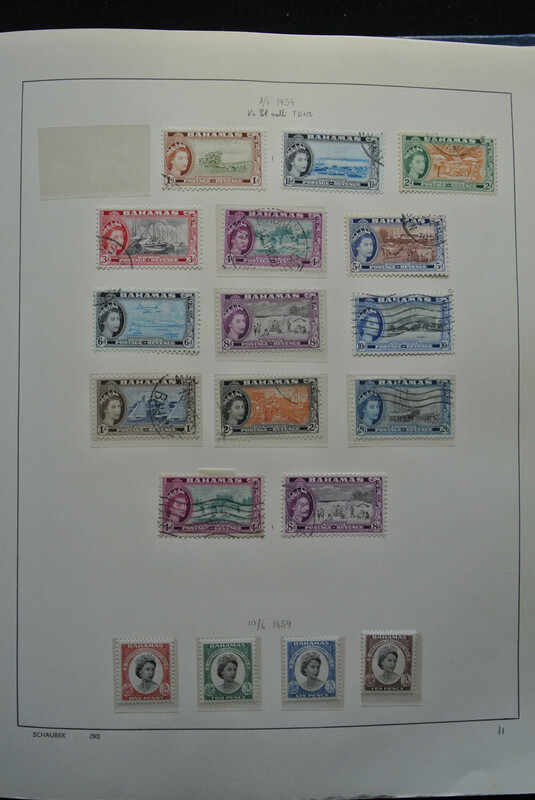 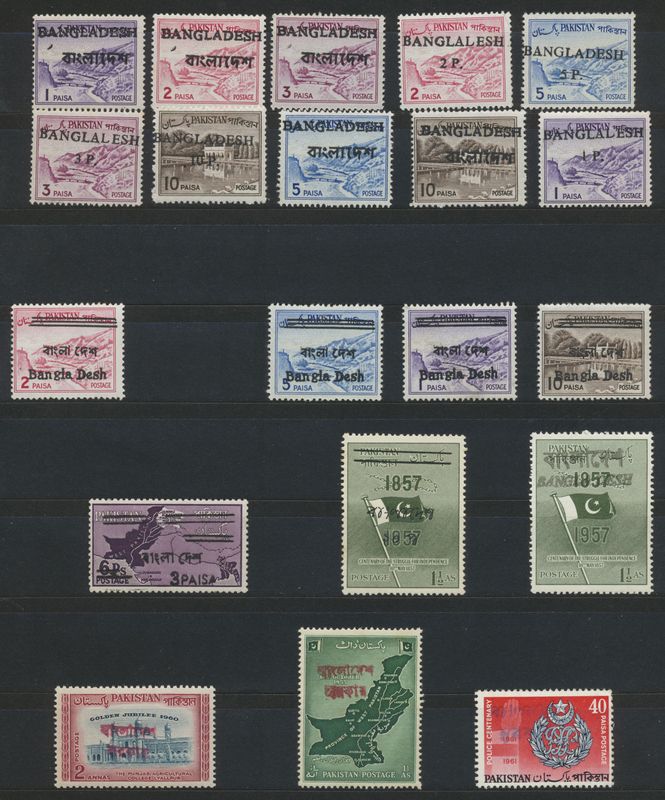 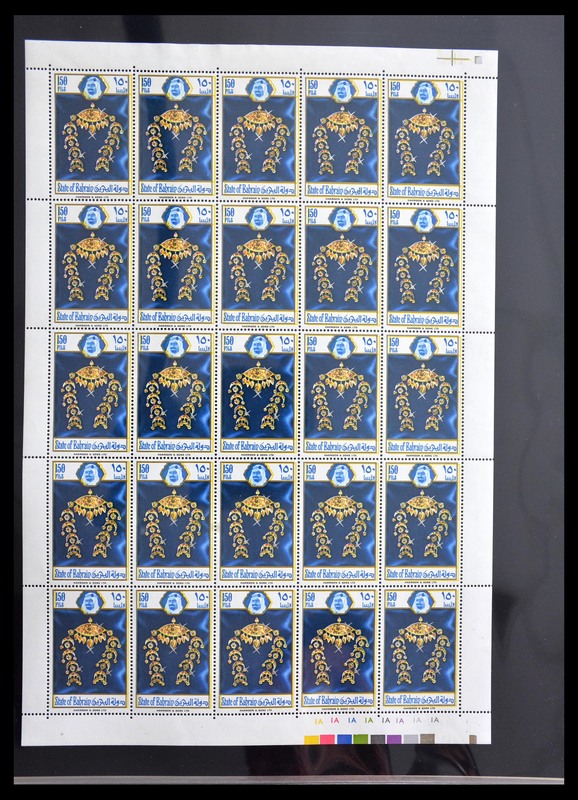 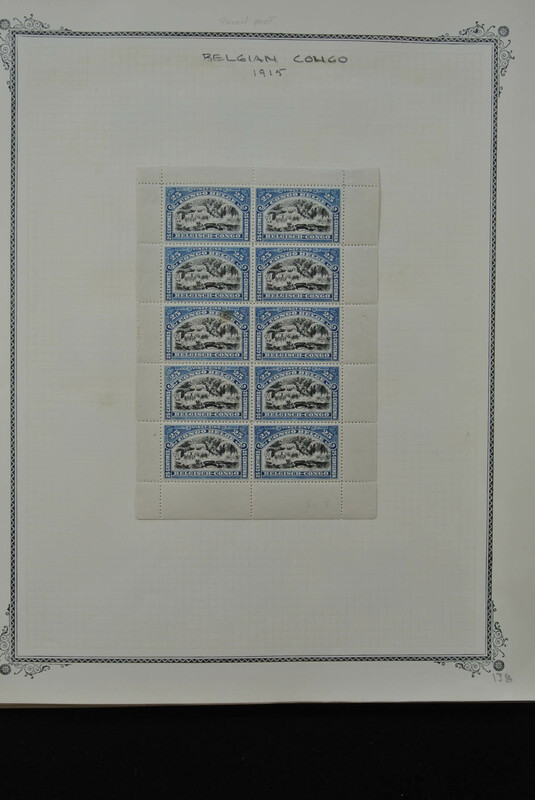 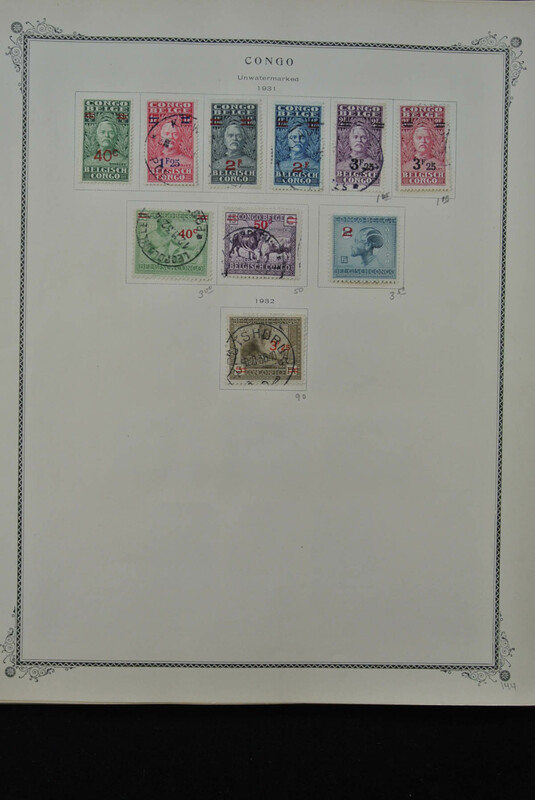 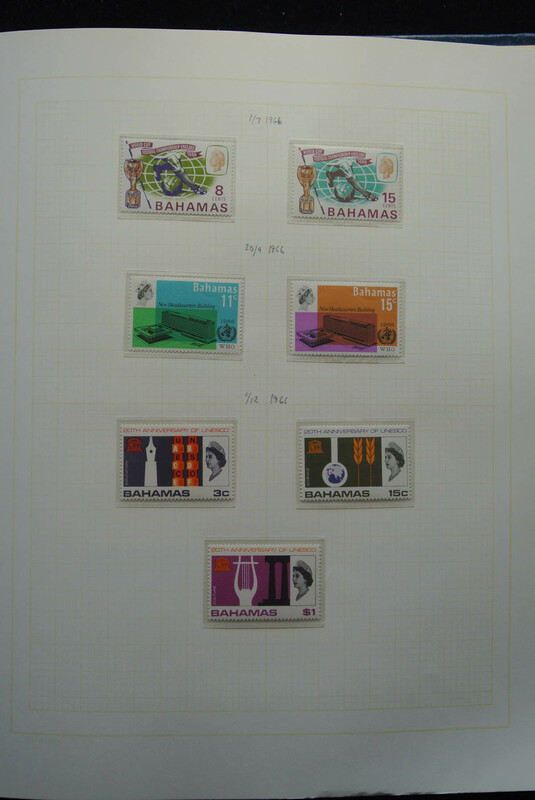 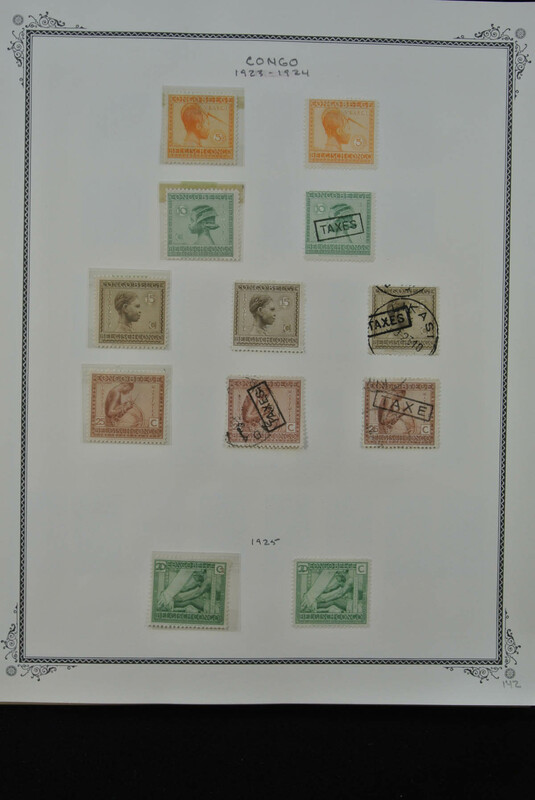 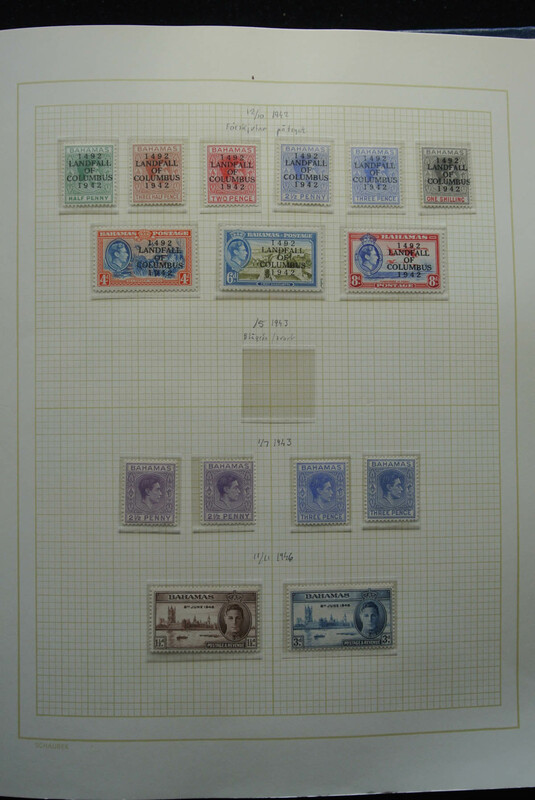 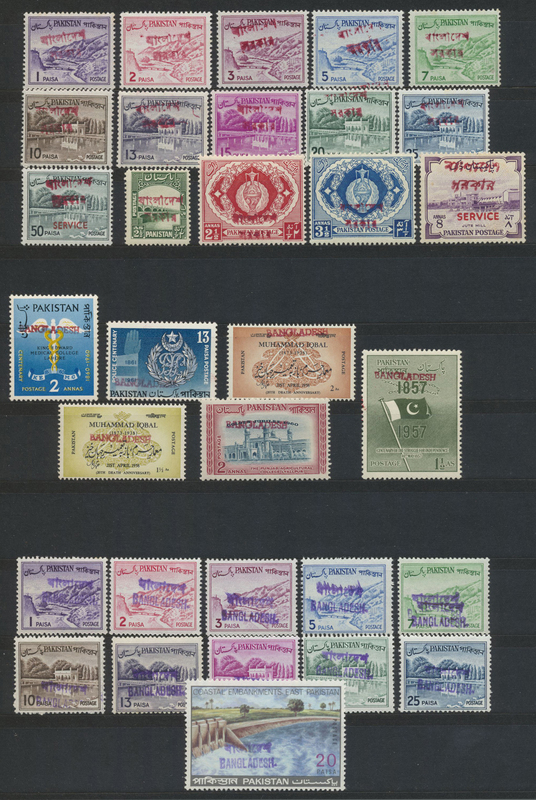 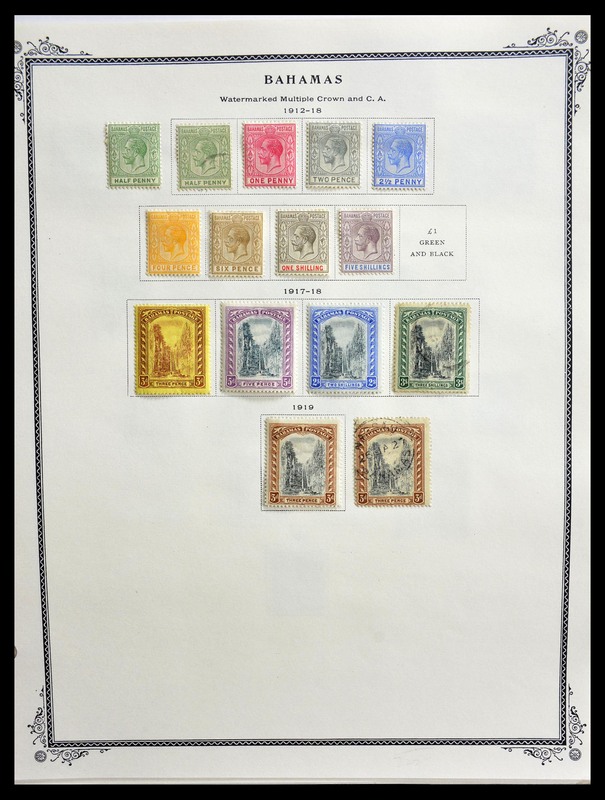 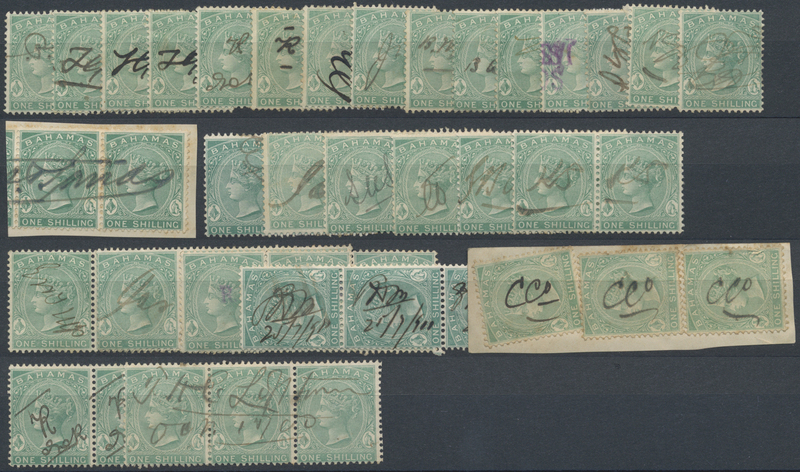 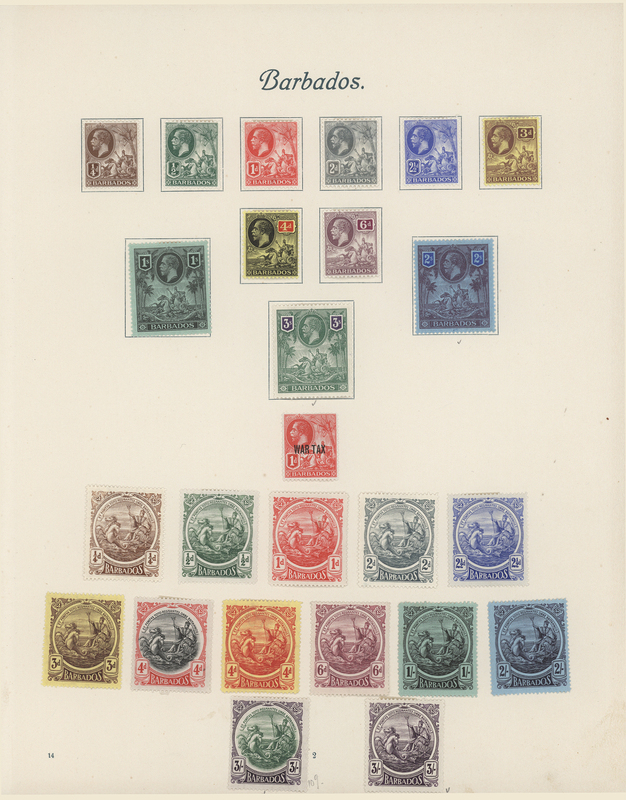 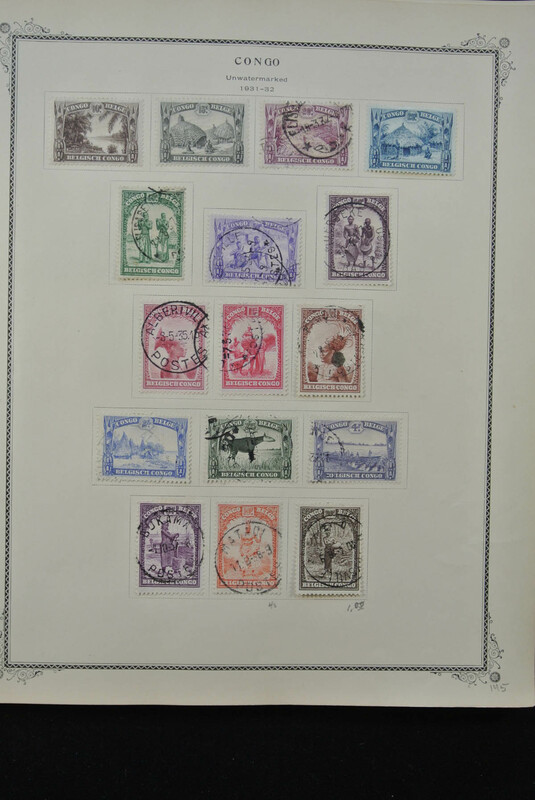 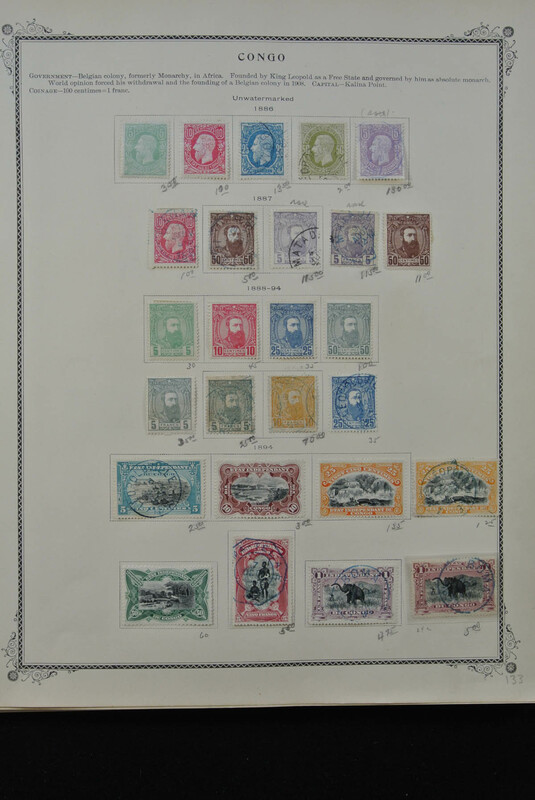 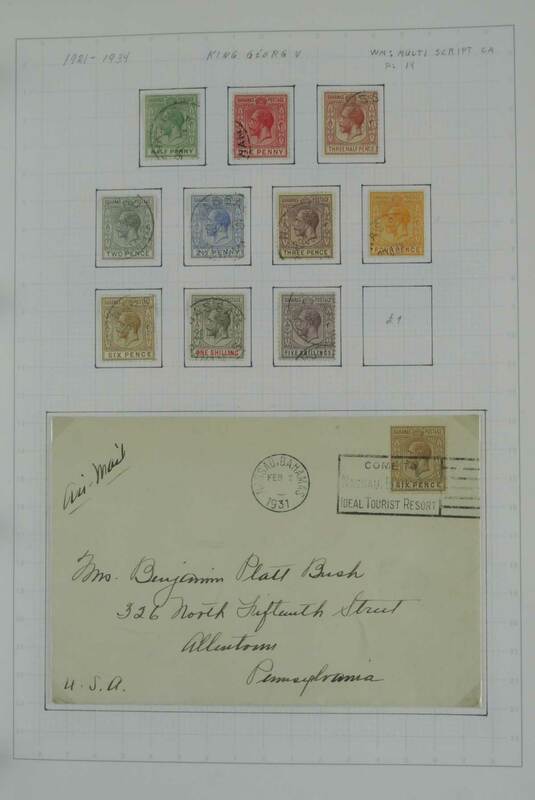 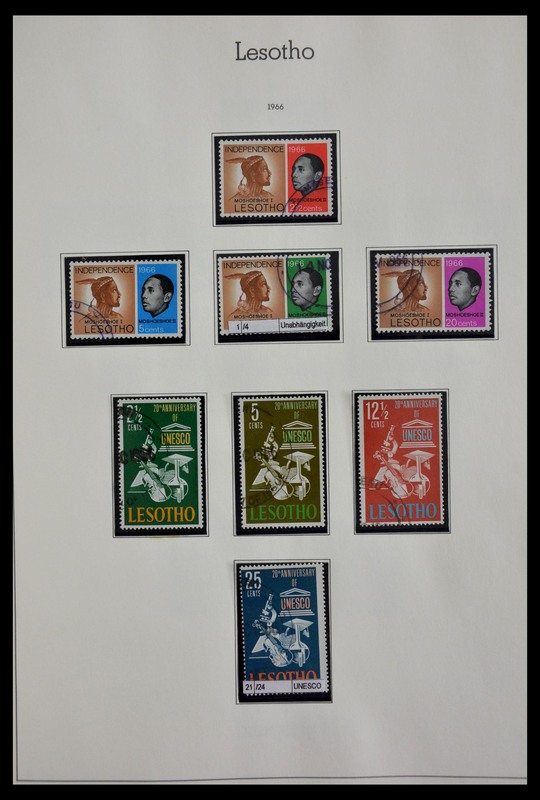 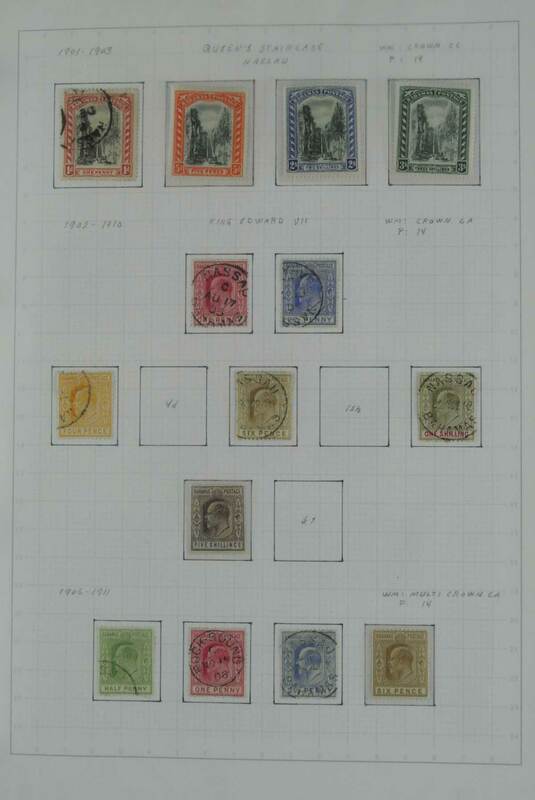 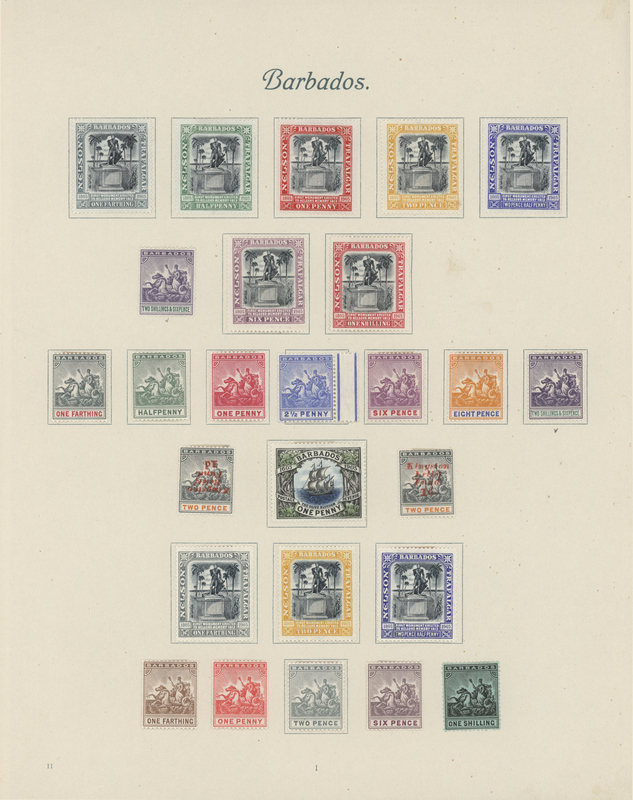 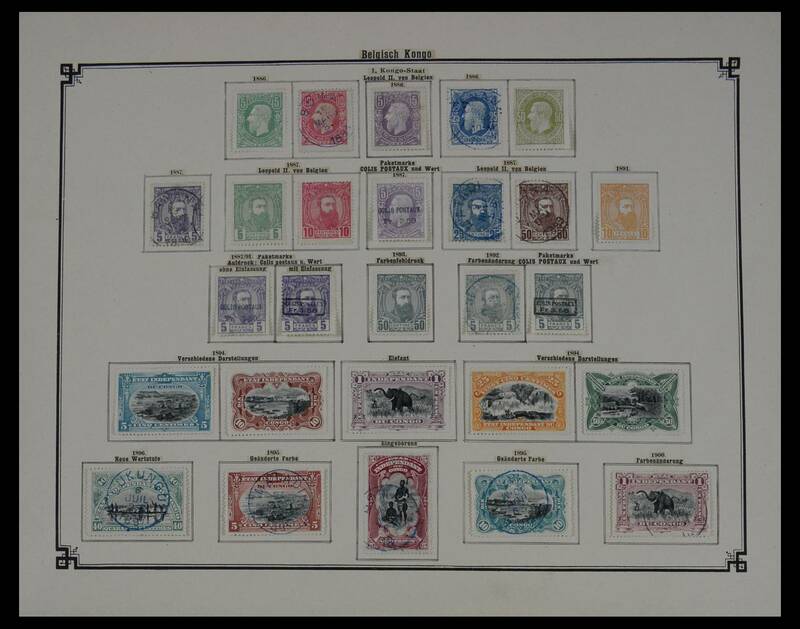 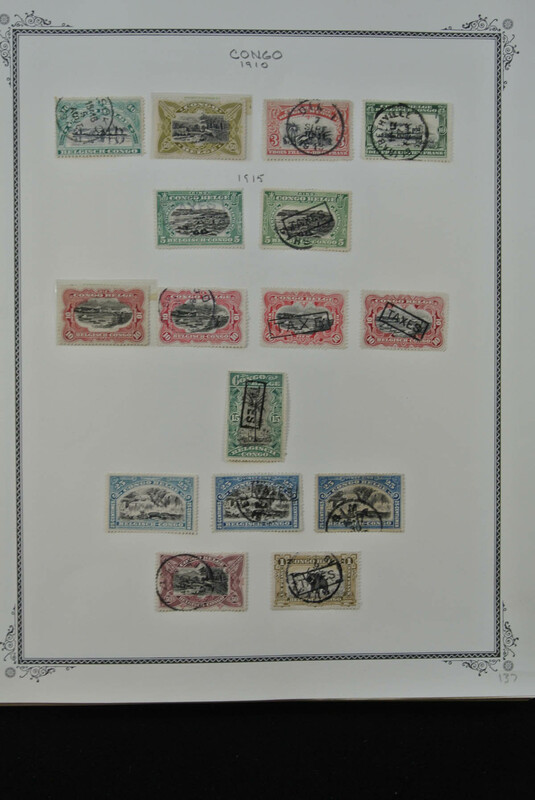 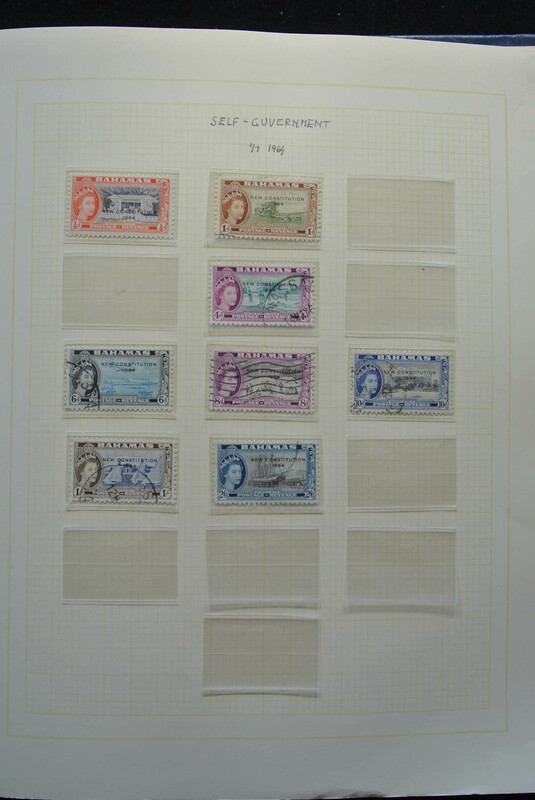 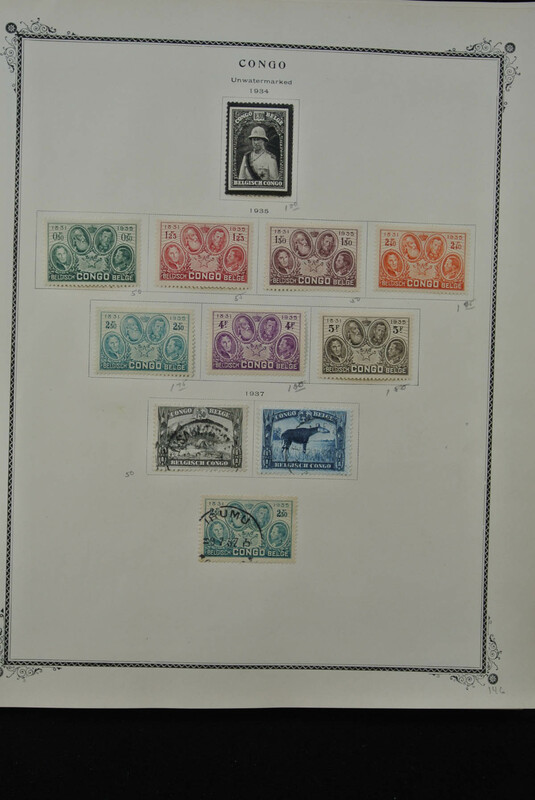 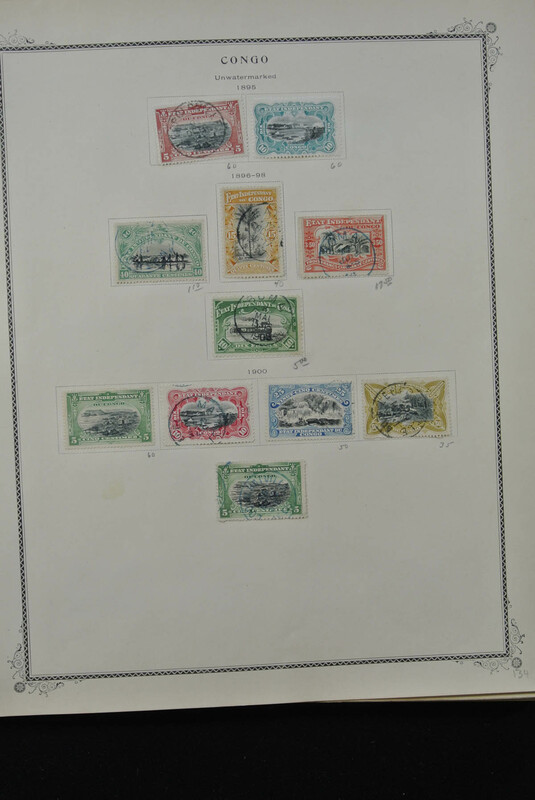 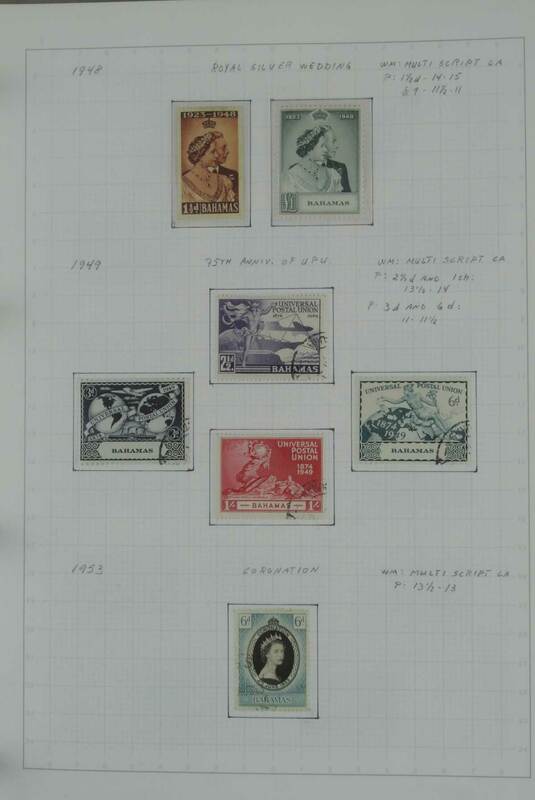 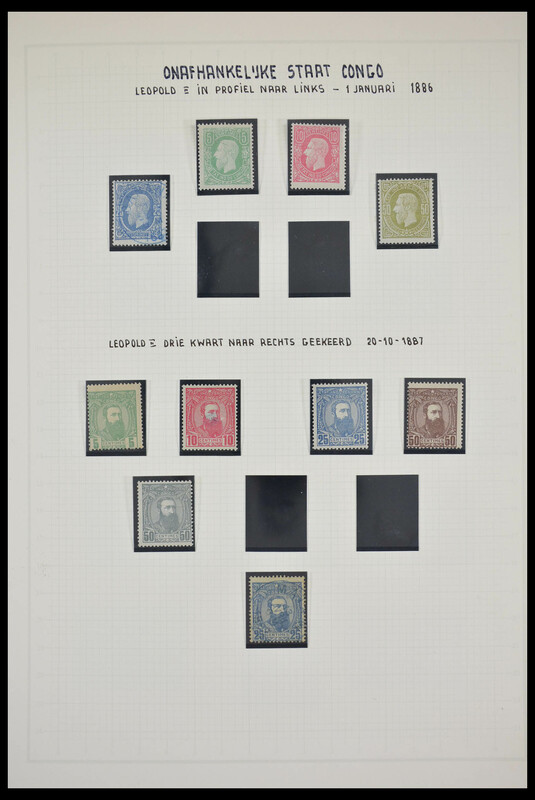 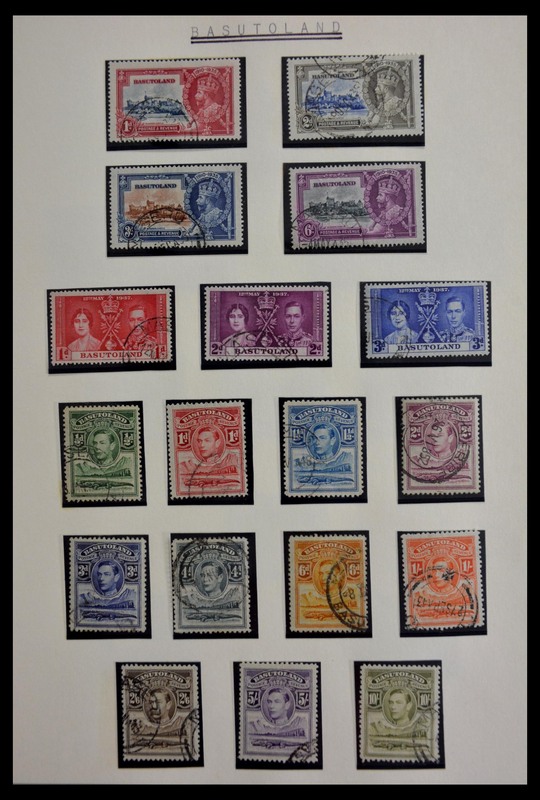 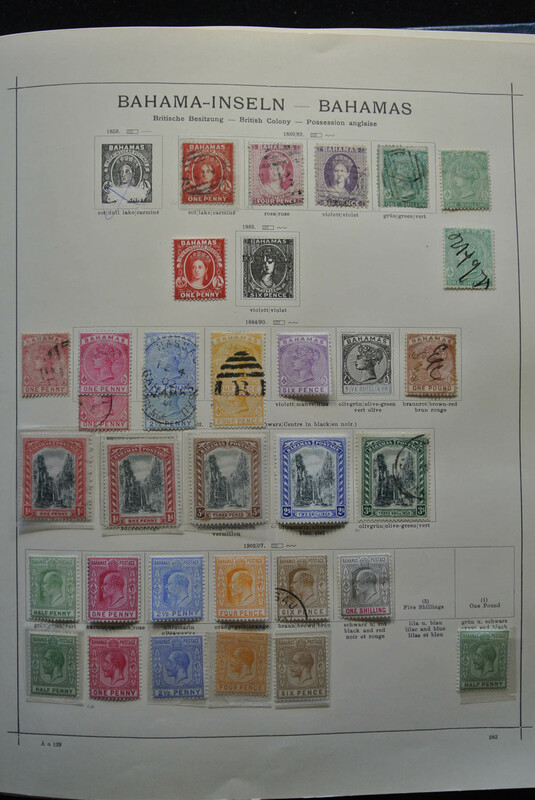 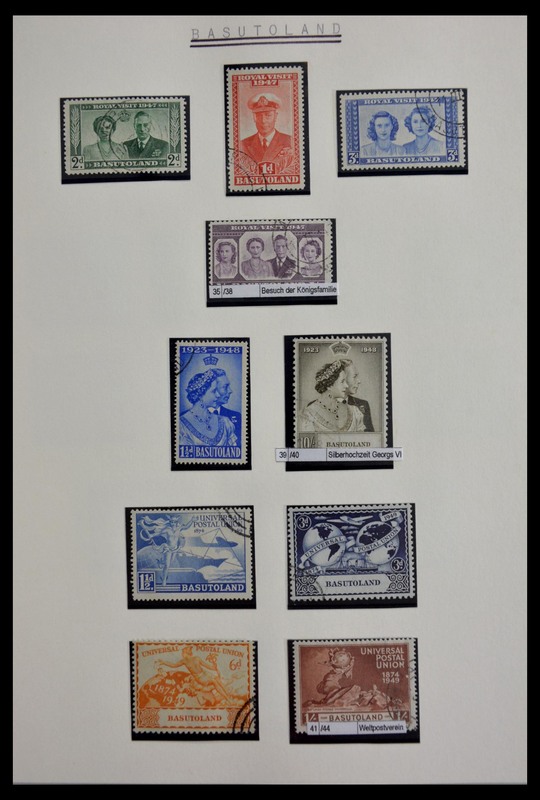 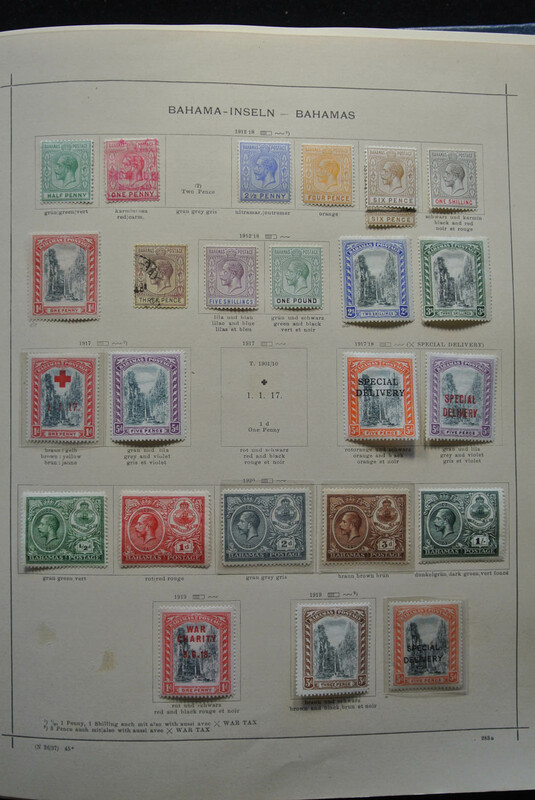 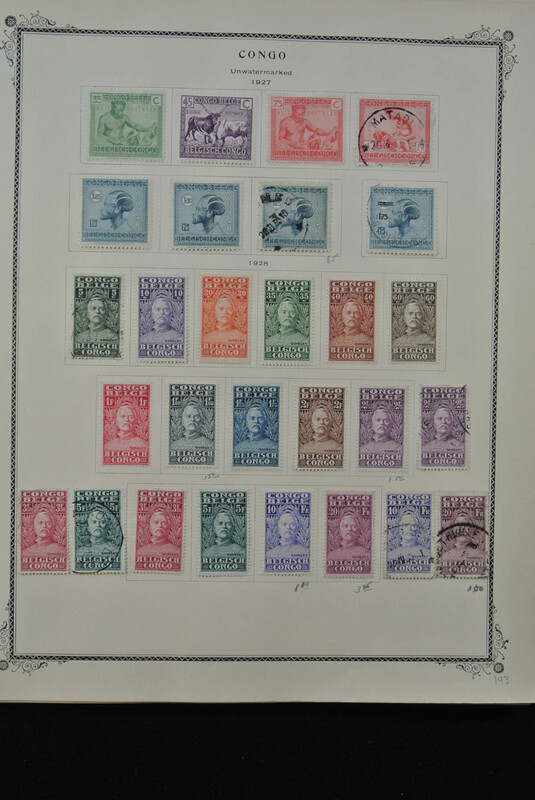 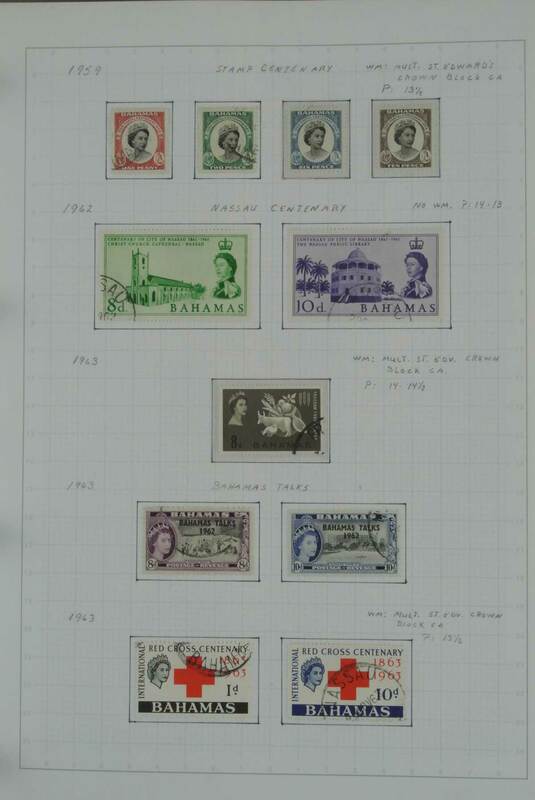 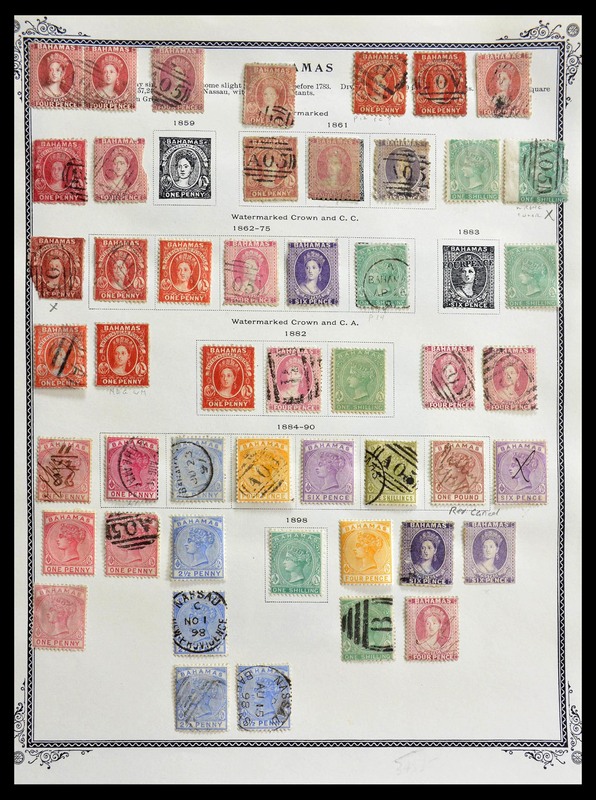 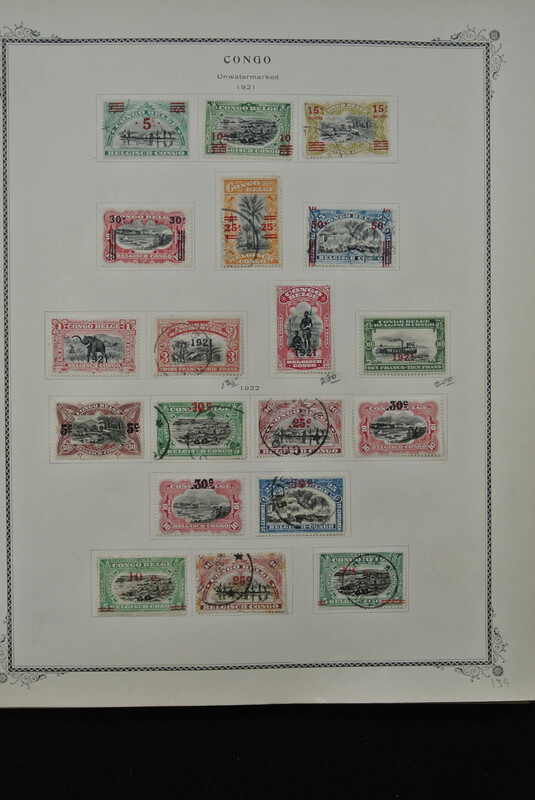 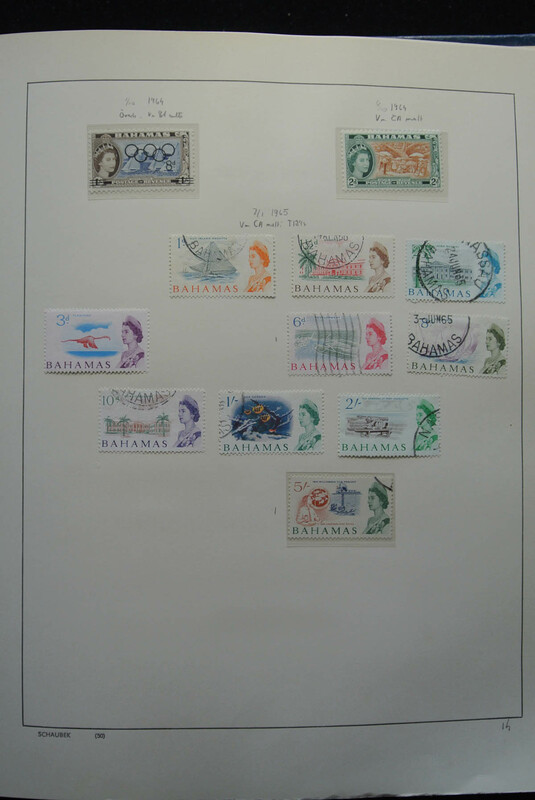 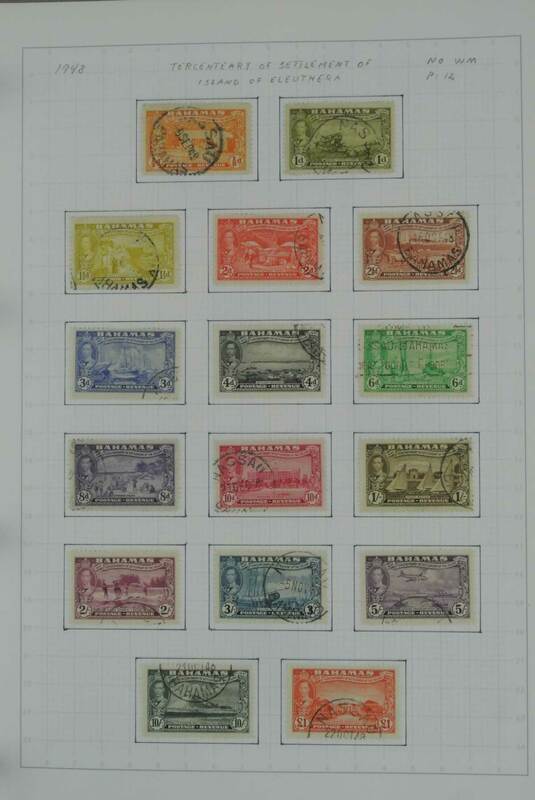 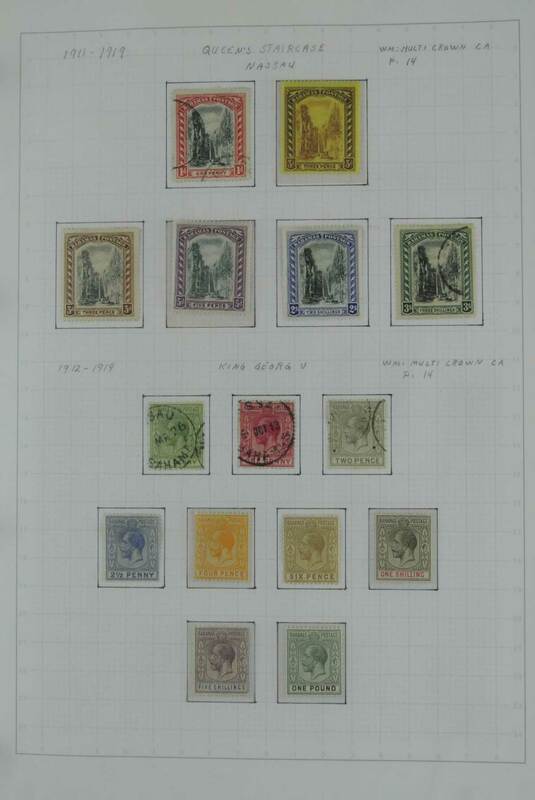 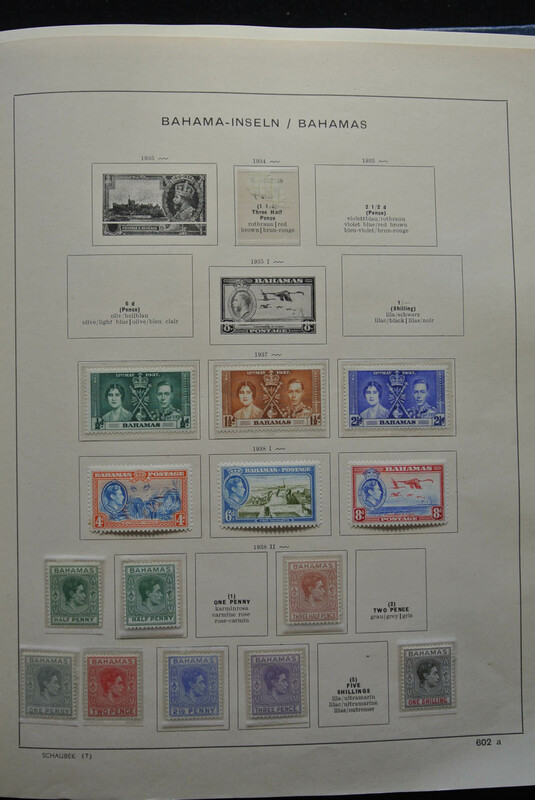 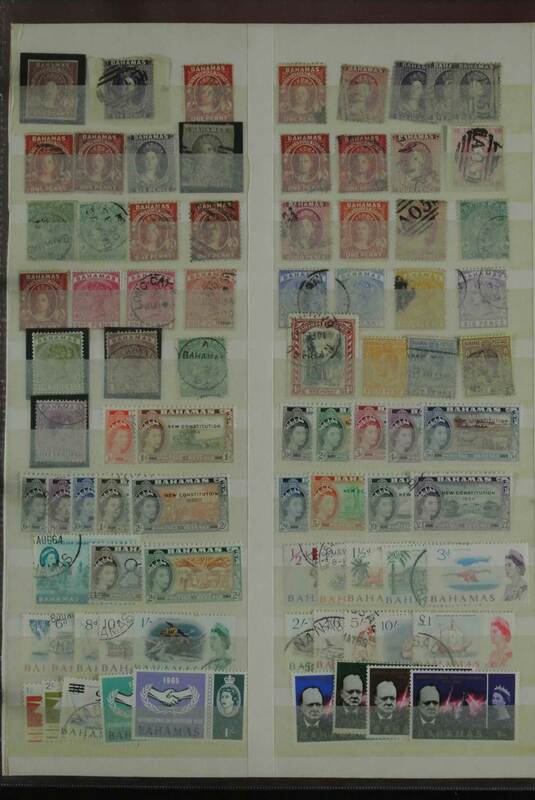 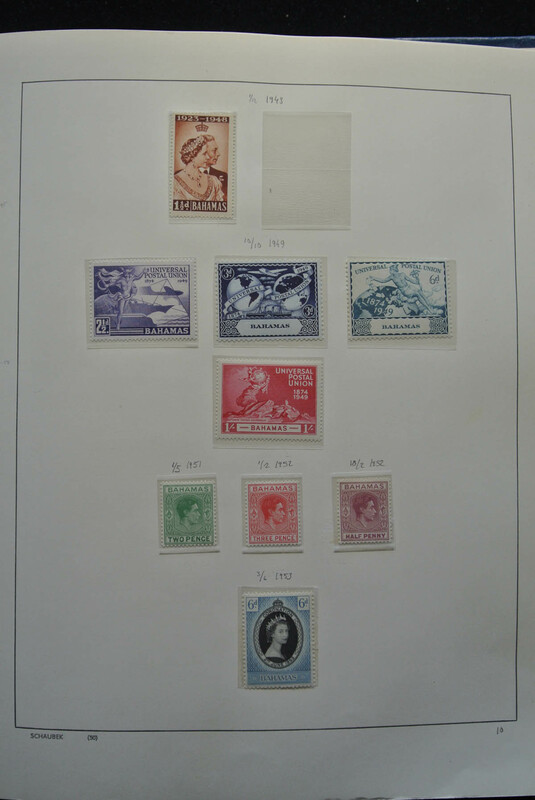 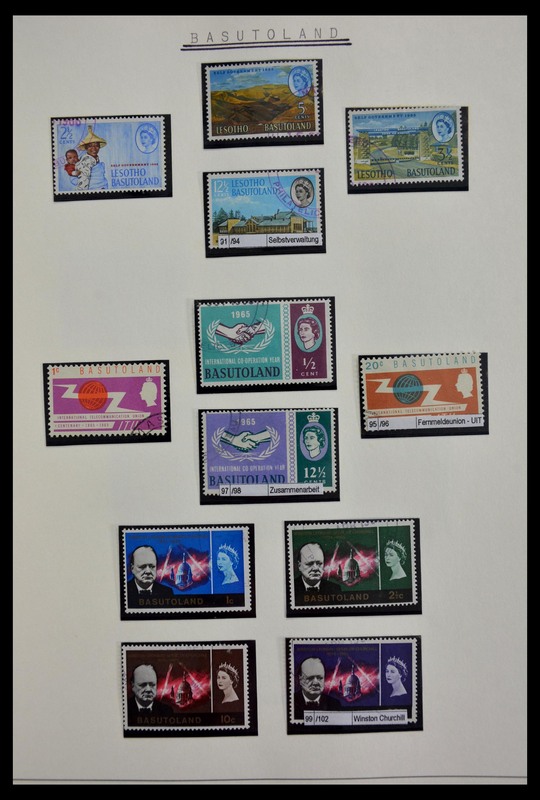 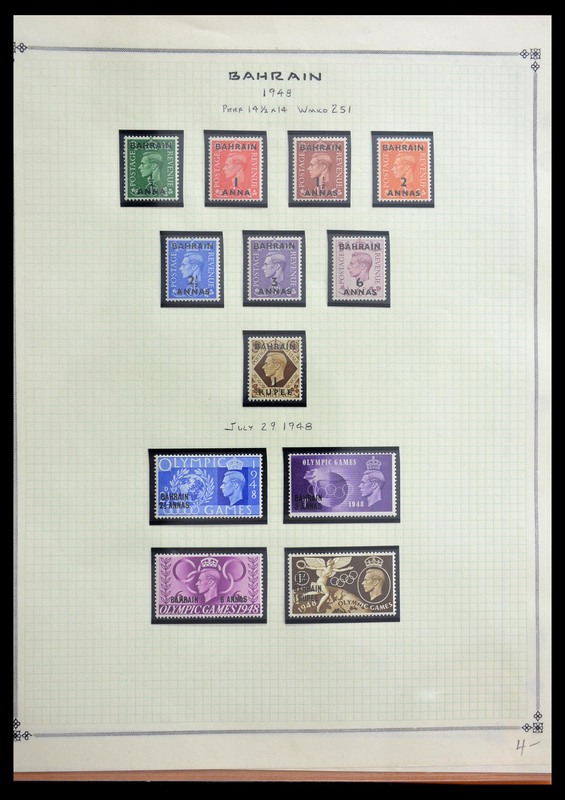 high value stamps, from 2s. 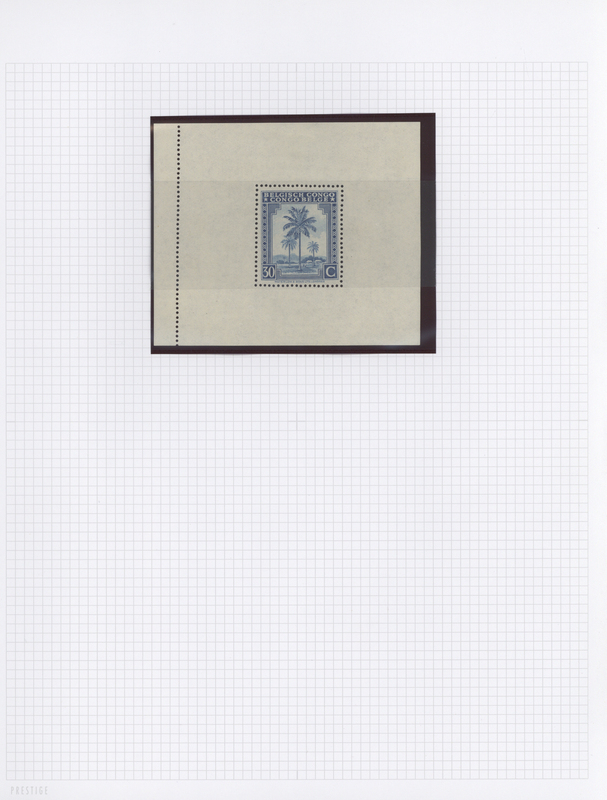 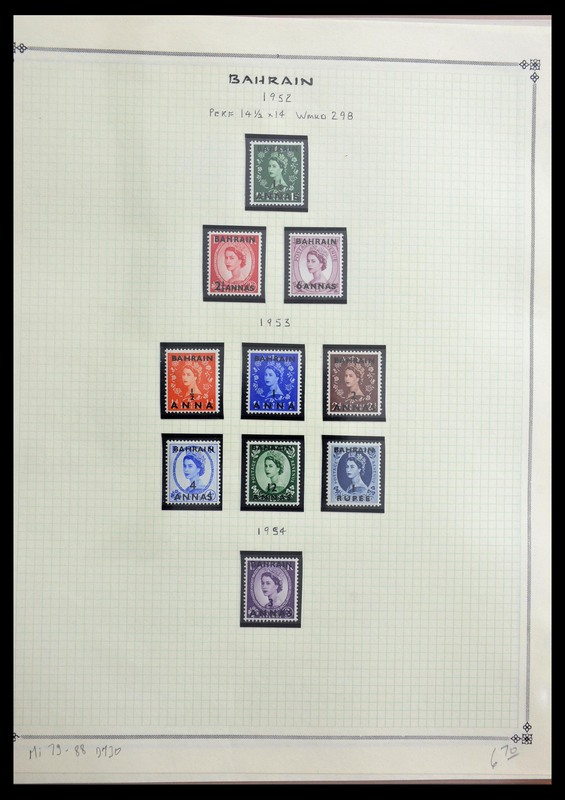 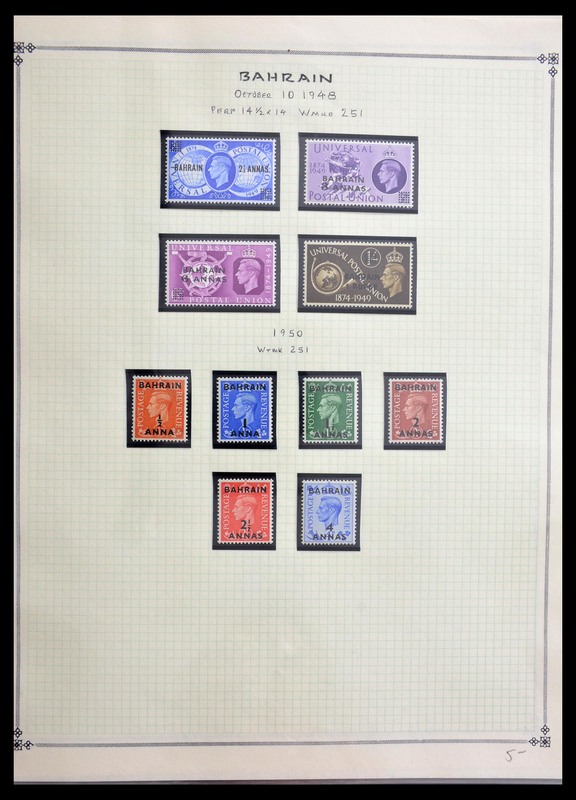 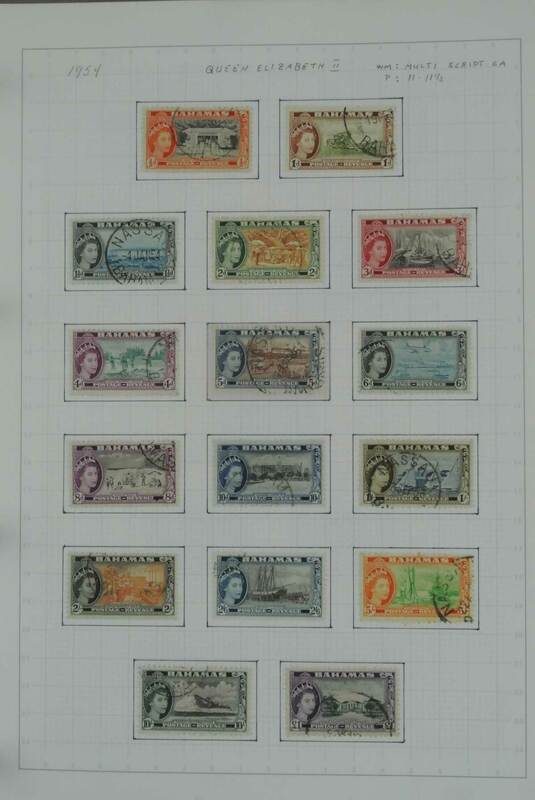 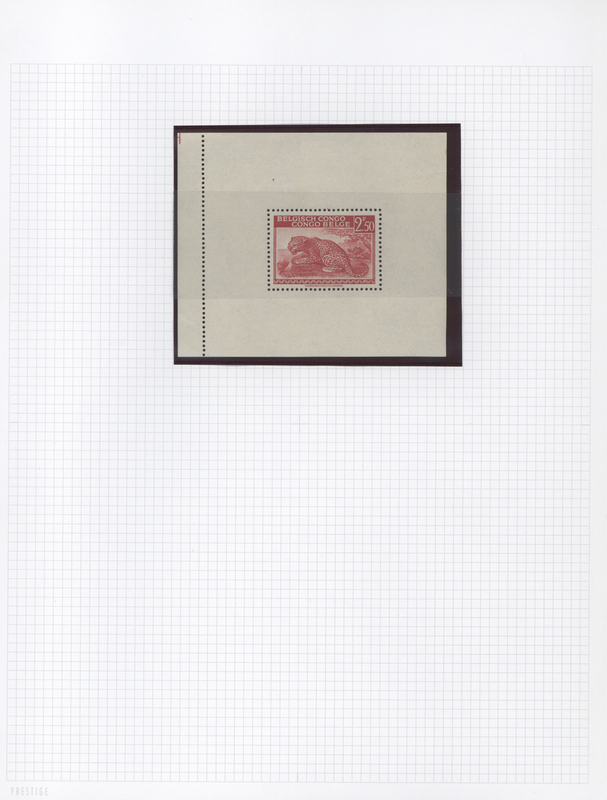 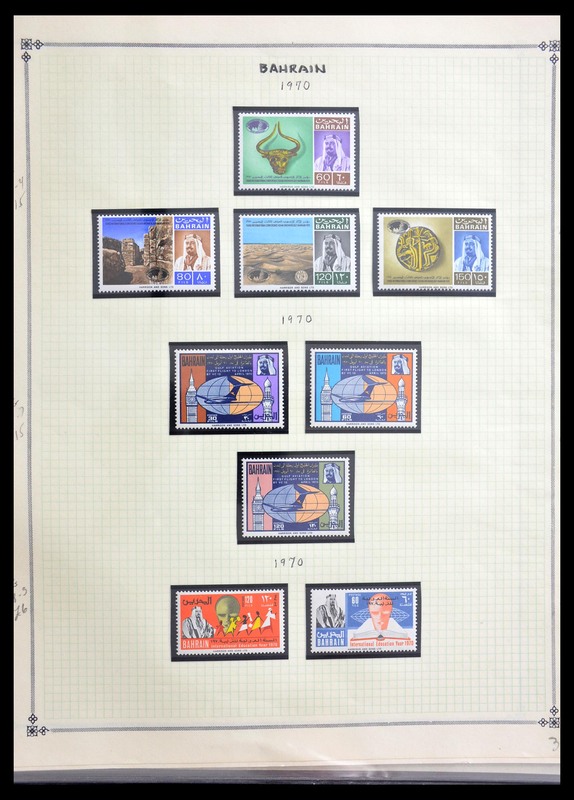 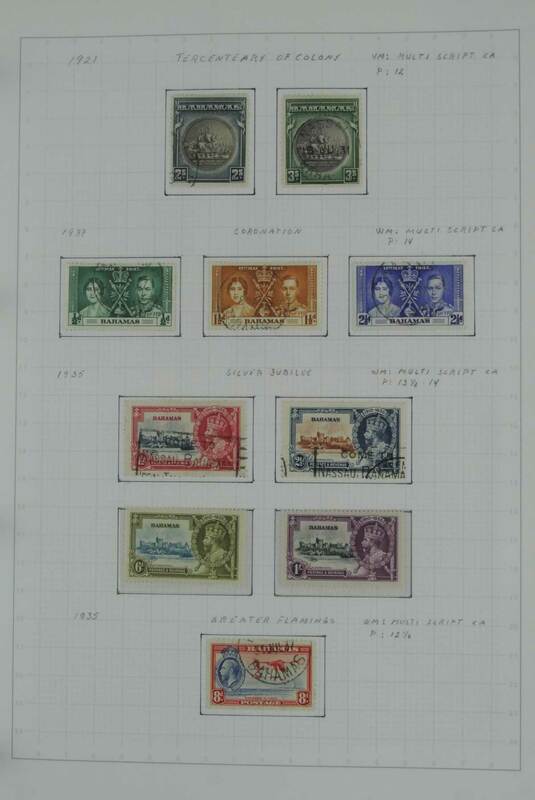 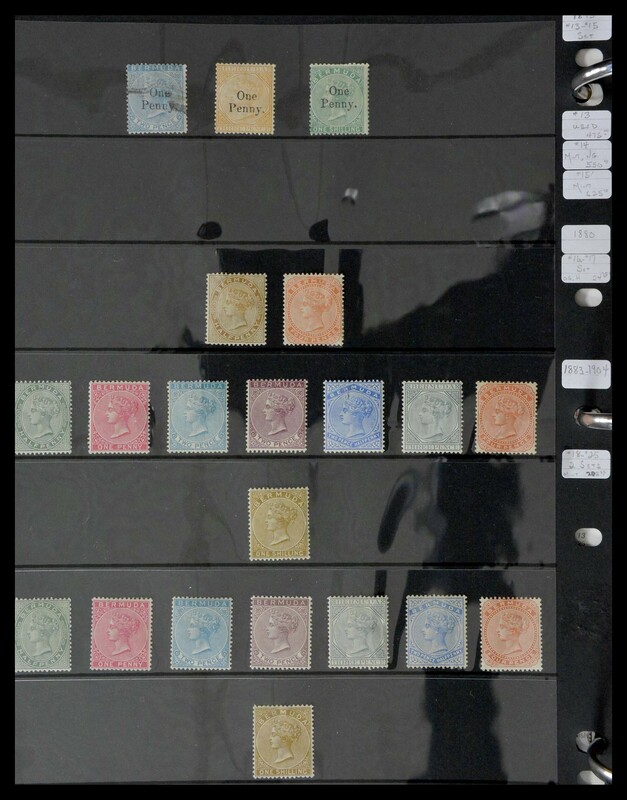 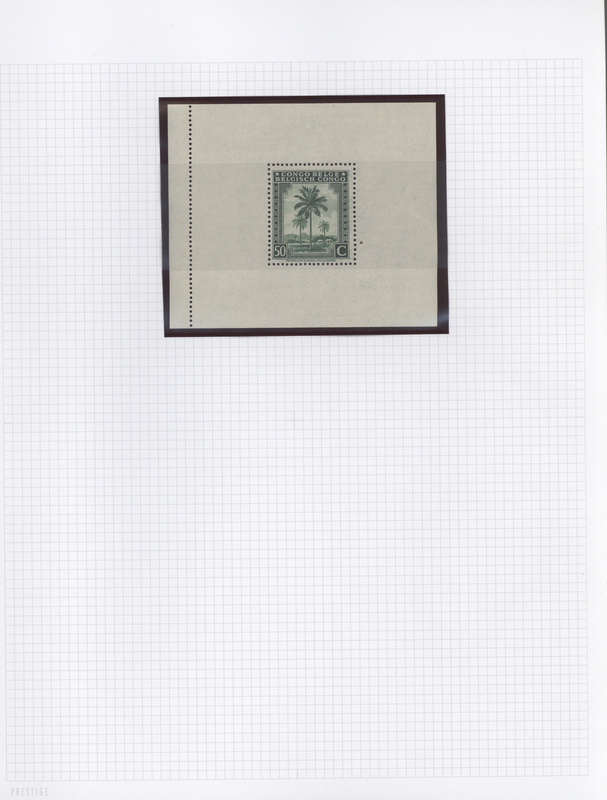 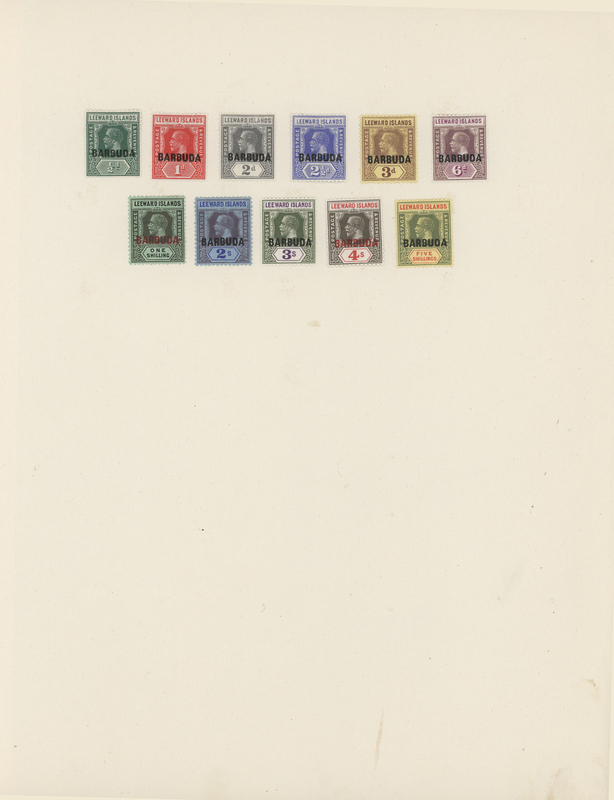 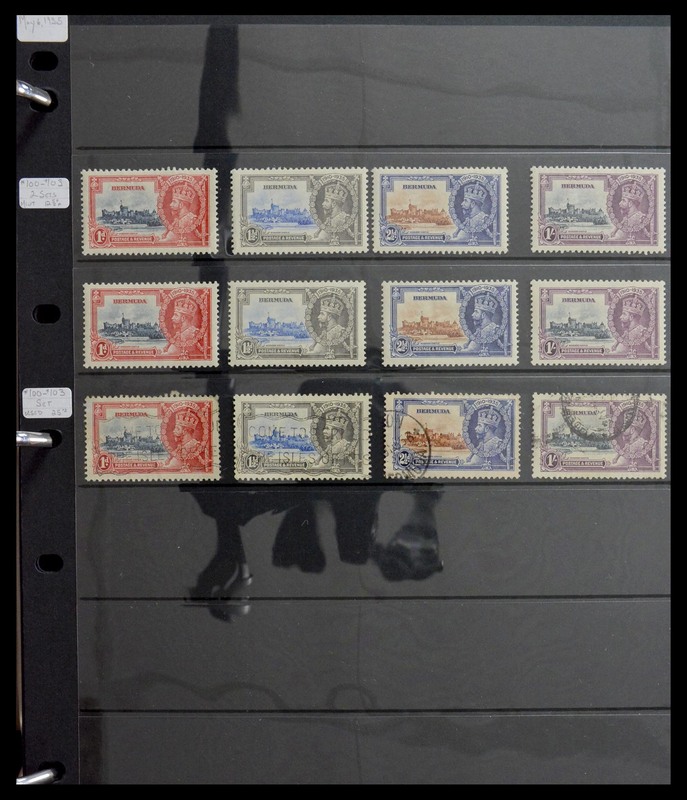 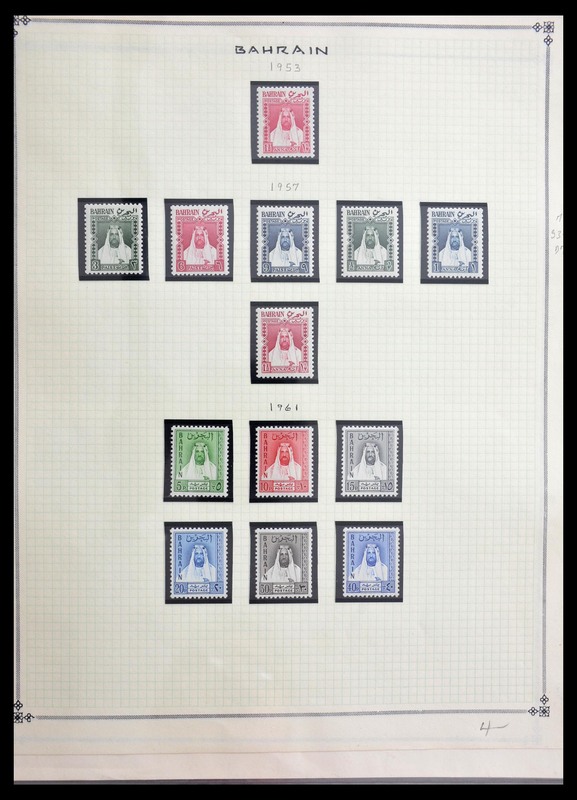 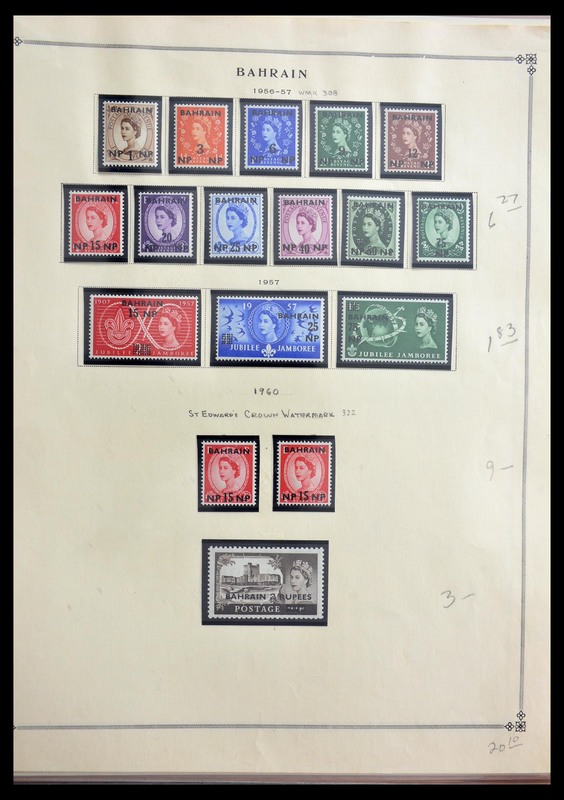 to £1, with almost different colour shades, papers and perforations from D.L.R. 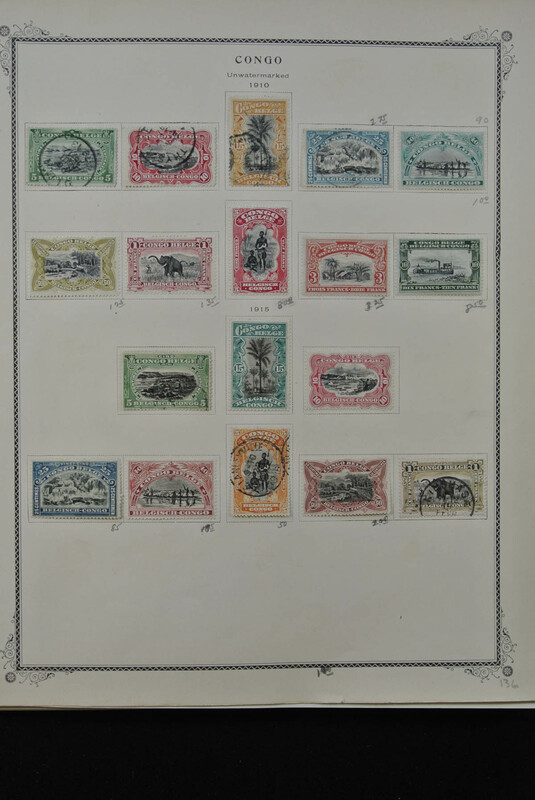 and Williams Lea & Co. printings, some with consignor's notes and identification which may be not correct in every case, almost all fresh and fine.